SPECIAL AAMAAL OF NEEMA-A-SHABAAN, SHAB-A-BARAAT WILL BE PERFORMED ON SATURDAY APRIL 20, 2019 AFTER MAGHRIBAIN PRAYERS AT 9 PM. MAJALIS-A-SHAHADATH OF IMAM MOOSI-A-KAZIM a.s.
and Majalis wafaath Hazrath Abu Talib a.s.
SUNDAY March 31, 2019 at 7:30 pm. Taboot of 7th Imam a.s. will be taken out Inshallah. TUESDAY April 2, 2019 at 7:30 pm. heaven of our Holy Prophet sawas. THURSDAY April 4, 2019 - 28 Rajab at 7:30 pm. KOONDAY, NAZAR A IMAM JAFFER AS - SADIQ a.s.
All are invited to attend with family and friends Inshallah. ALLAMA SYED ASGHAR MEHDI MURTAZAVI AT HUSAINIYAH FOR JASHAN-A-WILADATE MOULOOD-A-KAABA HAZRATH ALI A.S. WITH SHAYER -E-AHLEBAITH JANAB ARIF IMAM SAHAB ON MARCH 20, 2019 AT 7:45 P.M.
AAMAAL-A-UMM-A-DAWOOD WILL START AFTER JUMAH PRAYERS AND AFTER AAMAAL THERE WILL BE A MAJLIS FOR HAZRATH BIBI ZAINAB S.A. BEFORE MAGHRABAIN PRAYERS FOLLOWED BY IFTAAR AND NIAZ. Holy Quran, Aamaal and Duas will be followed by Jashan of Wiladath of Imam Ali un-Naqi a.s. and Imam Mohammed at-Taqi a.s. recited by Moulana Mushtaq Hussain Shahidi Saheb. Hazari of Hazrath Abbas a.s. and Dastarkhawn of Imam Hasan a.s. will be served after the Jashan. Jumah prayer on Mar. 15, 2019 at the first Imambargah of Toronto will begin with Azaan at 1:27 p.m., Khutba at 1:35 p.m. with Jamath at 2:00 p.m. led by Moulana Mushtaq Hussain Shahidi Saheb. WILADATH of 5TH IMAM A.S.
On THURSDAY March 7th, at 7:30 pm. Majlis of Imam Ali un-Naqi a.s. after Fajr prayer. Moulana Mushtaq Hussain Shahidi Saheb will recite the Jashan after Duas and Jumayrath Aamaal followed by Hazri and Niaz. Allama Dr. Sakhawat Hussain Sandralvi Saheb at Husainiyah for the Jashan of Hazrath Bibi Fatima Zahra s.a. on Sunday, Feb 24, 2019 at 7 p.m.
Aamal Shab a Jumah and Majlis of chehlum of marhoom Br. Abdool Subhan Sattaur will be on Thursday Nov. 29th, 2018. Holy Quraan recitation will begin at 7 pm and Aamaal at 7:30 pm. Majlis will be recited by Moulana Syed Farhath Hussain Moosavi at 8:30 pm. Jashn-a-Sadiqain will be on Saturday Nov. 24th, 2018 at 7:30 p.m. recited by Moulana Mushtaq Hussain Shahidi Saheb in Urdu and Moulana Syed Farhath Hussain Moosavi in English. Jumah prayer on Nov. 23, 2018 at the first Imambargah of Toronto will begin at 12:10 p.m. with Jamath at 12:50 p.m. led by Moulana Mushtaq Hussain Shahidi Saheb. PLEASE CONTRIBUTE TO THE MOHARRAM FUND AND GET THE BLESSINGS OF HAZRATH FATIMA S.A. THE TARGET FOR THE FUND IS $12,000. Sowz and Marsia will be recited by well-known reciters throughout the Ashra. Matam and Azadari will be conducted in the traditional way of the Shias at the first Islamic Husainiyah in North America. Moulana Mehboob Mehdi Al-Najafi Saheb will be at Husainiyah from 1st to 8th Rabi ul-Awwal . Jashn of Eed-a-Zahra (Eed-a-Nahum) will be on Saturday Nov. 17th, 2018 at 7:30 p.m. recited by Moulana Hussain Sherazi Saheb. Jumah prayer on Nov. 9, 2018 at the first Imambargah of Toronto will begin at 12:10 p.m. with Jamath at 12:50 p.m. led by Moulana Syed Farhath Hussain Moosavi. Moulana Syed Rais Ahmad Jarchavi Saheb from Oct. 30 (21st Safar) to Nov. 8, 2018. Moulana Rais Jarchavi is delivering amazing Majalis on maarifath of Holy Ahl al-Bayth a.s.
Majalis of Syed-ush-Shuhada 5th Ashra will start from Oct. 20, 2018 (Safar 11) at 7:30 p.m. and will continue till Oct. 25, 2018 recited by Allama Dr. Masoom Abidi Saheb. Dr Shaeba Rizvi Saheb will recite majalis from Oct. 26 to Oct. 29, 2018. Aamaal of Arbaeen will begin at 12 Noon on Oct.29, 2018. Majlis of Arbaeen will begin at Zohrain prayers on Monday Oct. 29, 2018. Shab-Baydari for Girls and Boys is on Oct. 19, 2018 at Husainiyah at 10 p.m.
Other invited scholars; Moulana Zaheer Ahmed Khan Saheb, Moulana Syed Abbas Hussain Saheb, Moulana Asad Yawer Saheb, and other distinguished scholars of Islam. Majalis of Syed-ush-Shuhada 4th Ashra has started from Oct. 11, 2018 at 7:30 p.m.
and will continue till Oct. 19, 2018 (Safar 10, 1440) recited by Maulana Syed Imam Haider Zaidi Saheb. Shabeeh of Tabooth of Janab-a-Sakina s.a. will be taken out in the ladies side on Oct. 12, 2018. Br. Inayeth Husain and family is requesting your presence for this Majlis. In Majlis on Oct. 13, 2018 your attendance is requested by Janab Maqsood Ali Saheb. In Majlis on Oct. 14, 2018 your attendance is requested by Naujawanaan of Toronto. Majalis of Syed-ush-Shuhada 3rd Ashra has started from Oct. 1, 2018 at 7:30 p.m.
and will continue till Oct. 10, 2018. Maulana Hussain Shirazi Saheb is addressing the Majalis at Husainiyah with topic of the definite success of Momineen in all aspects of life. Shabeeh of Tabooth of Imam Zainul Abideen a.s. will be brought out on Oct. 5, 2018. Moulana Haider Ali Jawadi Saheb was addressing the Majalis at Husainiyah from Sept. 23, 2018 to Sept. 30, 2018. Majalis of Syed-ush-Shuhada Imam Husain a.s. will begin from Moharram 1, 1440 i.e. Sept. 11, 2018 at 7:30 p.m.
Moulana Syed Jawed Abbas Kazmi Saheb was addressing the Majalis at Husainiyah from Sept. 10, 2018 to Sept. 22, 2018. MAJLIS SHAHADATH FARZANDAAN A MUSLIM A.S.
Niaz and Nazr a Husain a.s. will be served. Prayer lead by Moulana Syed Hussain Shirazi Saheb and Jashn by Moulana about the dramatic success of Holy Ahl al Bayth a.s. when the Holy Quraan could not convince the Nasara of Najran. On Wednesday, August 22, 2018 - NAMAZ E EID UL ADHA Jamaat will be lead by Br. Firas Al-Najim. ▪ First Jamaat at 8:30 a.m.
▪ Second Jamaat at 10:00 a.m.
▪ Snacks and sweets will be served after Eid Jamaat. On Sunday, August 19, 2018 - Majlis E Shahadat Imam Mohammad Al Baqir A.S. and Hazrat Muslim A.S. will begin at 7:30 p.m. by Moulana Agha Bahar Shah Saheb. On Thursday, August 16, 2018 - Majlis Isaal E Sawaab Syed Alim Raza Rizvi s/o Syed Ahmed Raza Rizvi will begin at 7:30 p.m. by Moulana Agha Bahar Shah Saheb. On Aug. 2, 2018 Thursday, Soorah-a-Yaseen, Hadees-a-Kisa and Doa-a-Kumail will begin at 7:30 p.m. followed by Majlis Esal-a-Sawaab for 1st year Barsi of Marhooma Zehra Sherazee binte Syed Athar Hussain Rizvi by Moulana Syed Farhath Hussain Moosavi. Hazari of Hazrath Abbas a.s. and Niaz will be served after the Maghribain prayers. Jumah prayer on Aug. 3, 2018 at the first Imambargah of Toronto will begin at 1:30 p.m. with Jamath at 2:00 p.m. Moulana Syed Farhath Hussain Moosavi will lead the Jumah prayers. On July 26, 2018 Thursday, Soorah-a-Yaseen, Hadees-a-Kisa and Doa-a-Kumail will begin at 7:30 p.m. followed by Lecture about Hazrath Imam Raza a.s. by Moulana Syed Farhath Hussain Moosavi. Hazari of Hazrath Abbas a.s. and Niaz will be served after the Maghribain prayers. Jumah prayer on July 27, 2018 at the first Imambargah of Toronto will begin at 1:30 p.m. with Jamath at 2:00 p.m. Moulana Syed Farhath Hussain Moosavi will lead the Jumah prayers. Reports of Shawwal Moon sighting were received from Ulama and Momineen from Husainiyah Toronto, NJ, TN and many parts of West Indies and South America at Maghrib time on June 14, 2018. THE FIRST SALATH WILL BE HELD AT 8:30 A.M. PERFORMED BY MOULANA SYED JAWED ABBAS KAZMI SAHEB IA AND THE SECOND SALATH WILL BE AT 10 A.M.PERFORMED BY MOULANA MUSHTAQ HUSSAIN SHAHIDI SAHEB IA. CONTRIBUTIONS OF $7500 REQUIRED FOR THE HOLY RAMADZAN FUND. After the memorable Majalis of Hazrath Ali a.s. and the well attended Juloos to Husainiyah we are thankful to the Momineen and Mominath who participated with their children. On July 12, 2018 Thursday, Soorah-a-Yaseen, Hadees-a-Kisa and Doa-a-Kumail will begin at 7:30 p.m. followed by Majlis by Moulana Syed Hussain Shirazi Saheb. Hazari of Hazrath Abbas a.s. and Niaz will be served after the Maghribain prayers. Jumah prayer on July 13, 2018 at the first Imambargah of Toronto will begin at 1:30 p.m. with Jamath at 2:00 p.m. Moulana Syed Hussain Shirazi Saheb will lead the Jumah prayers. JASHN WILADATH OF BIBI ZAINAB S.A.
SATURDAY JAN. 20, 2018 AT 7:30 P.M. FOR ALL SHIAHS OF GTA AT HUSAINIYAH. Moulana Syed Farhath Hussain Moosavi will recite the Jashn on this holy personality with mankhabath khawns and poets of distinction. JASHN WILADATH OF IMAM HASAN AL-ASKARI a.s.
THURSDAY DEC. 28, 2017 AT 7:30 P.M. FOR ALL SHIAHS OF GTA AT HUSAINIYAH. Moulana Mushtaq Hussain Shahidi Saheb will recite the Jashn on this important occasion with mankhabath khawns and poets of distinction. On Dec. 21, 2017 Thursday, Doas, Hadees-a-Kisa and Doa-a-Kumail will begin at 7:30 p.m. followed by Hazari of Hazrath Abbas a.s. Moulana Mushtaq Hussain Shahidi Saheb will recite the Majlis. Jumah prayer on Dec. 22, 2017 at the first Imambargah of Toronto will begin at 12:15 p.m. with Jamath at 12:45 p.m. Moulana Mushtaq Hussain Shahidi Saheb will lead the Jumah prayers. Majlis for Eesal-a-Sawaab for Mohtarama Jafri Begum bint Syed Ashfaq Hussain resident of Chicago and previously of Toronto will be held on Thursday Dec. 14, 2017. She was the mother of Br. Syed Zamir Hadi and mother-in-law of Sr. Dr. Mahjabeen Hadi. We regretfully inform you of the passing of Sr. Jafri Begum bint Syed Ashfaq Hussain resident of Chicago and previously Toronto. Salaat-ul Mayyit at 12:00 pm at IEC, Thursday, Nov 30, 2017. Burial at Wadi-ul Salaam, Valley of Peace Cemetery, Elmhurst, at 1:00 pm. Please recite Fateha and Namaz-a-Wahshath of first night on Thursday, Nov. 30,2017. EID-A-NAHUM (NAVI KI EID) EID-A-ZAHRA S.A.
After 2 months and 8 days of mourning for our beloved Imam Husain a.s. and his noble family the Husainiyah had an amazing Eid function with Shairy of the best from GTA and enjoyable and knowledgeable Jashan addressed by Moulana Mehboob Mehdi Najafi Saheb. Moulana Syed Farhath Hussain Moosavi thanked the Momineen and Mominaath for their active participation this year and the Ulama and Zakireen for their yeoman service to Islaam. The volunteers from the gents and ladies side performed impeccably and deserve the thanks from the Husainiyah management and the community for their services Fee Sabeel-illaah. Thousands of believers in GTA, North America and worldwide benefitted from the best Zakireen this year and those who could not attend can still benefit from the recorded speeches. Another season of mourning of the King of Martyrs Imam Husain a.s. is continuing. Majalis begins at 7:30 pm and Moulana will be on the Mimber at 8:30 pm IA. Moulana Mehboob Mehdi Najafi Saheb will be addressing from Nov 20, 2017 to Nov 28, 2017 at 8:30 pm. Moulana Syed Riaz Akbar Abedi Saheb was addressing majalis from Nov 15, 2017 to Nov 19, 2017. Special Ashra begins with Moulana Ahmed Raza Husaini Saheb reciting the Majalis of Ashra-a-Arbaeen from Oct 31, 2017. Majlis begins at 7:30 pm and Moulana addresses at 8:30 pm IA. Arbaeen day program begins at Zohrain prayer and will be announced later. Shab-Beydari is on Nov. 3, 2017 at 10:30 pm. Juloos of Arbaeen is on Nov. 5, 2017 at 1:00 pm from Milliken Park and ends at Husainiyah as in the past. Moulana Imam Haider Saheb will be addressing from Oct 22, 2017 to Oct 30, 2017 at 8:30 pm. Janab Zafar Abbas Zafar will be reciting Soz, Salaam and Naoha at 8:15 pm. MOULANA SYED MOHAMMAD HUSAINI HAS BEEN INVITED FOR THE MOHARRAM PROGRAM FROM SEPT. 20, 2017 TO OCTOBER 10TH, 2017 FROM INDIA. MOULANA SYED JAWED ABBAS WILL BE RECITING MAJALIS DURING HOLY MOHARRAM AT HUSAINIYAH. MOULANA SYED SAMAR ZAIDI WILL BE AT HUSAINIYAH FOR SAFAR MAJALIS. Allama Javed Jaffri Saheb will at Husainiyah for the 3rd Ashra Majalis from Oct. 14 to Oct. 20, 2017. Moulana Ijmal Asghar Naqvi Saheb will deliver 2 Majalis on Oct. 12 and 13, 2017 about the difficult journey of the family of Imam Husain a.s. towards Shaam. The First Ashra Moharram program will start from Friday Sept. 22, 2017 at 7:30 p.m. with Maghrabain prayers. Moulana Syed Farhath Hussain Moosavi will address the English Majlis followed by Allama Masoom Abidi Saheb in Urdu. The Mehman Shair invited for these important days Janab Alamdar Rizvi Saheb will recite Soz and Salam during the Ashra. Majlis of Martyrdom of 9th Imam a.s. will be held on Thursday August 24,2017 at 7:30 p.m. Moulana Mushtaq Hussain Sahidi Saheb will recite the Majlis. Jumayrath Aamaal will be performed and Hazri of Hazrath Abbas a.s. and Niyaz will be served. JASHAN WILL BE ON WEDNESDAY AUGUST 23, 2017 AT 7:30 P.M. WITH HOLY QURAN, DOAS AND MANQABATH FOLLOWED BY PRAYERS AND SHAIRY. MOULANA SYED FARHATH HUSSAIN MOOSAVI WILL DELIVER THE DETAILS OF THIS UNIQUE MARRIAGE IN THE UNIVERSE, PERFORMED AT ARSH AND IN HIJAZ. PLEASE ATTEND WITH FAMILY AND FRIENDS TO HUMBLY REQUEST MASOOMEEN A.S. FOR EARLY MARRIAGE OF YOUR ELIGIBLE DAUGHTERS AND SONS BY BLESSINGS OF THE SHADI IN THE HOUSE OF THE HOLY PROPHET SAWAS. BR. M A HUSSAIN AND FAMILY IS REQUESTING YOUR ESTEEMED PRESENCE AND NIYAZ WILL BE SERVED. Allama Dr. Sakhawat Hussain Sandralwi Saheb will be at Husainiyah for the Jashn of Wiladath of Imam-a-Zamana a.s. on Friday May 12, 2017. The Annual Jashn will start at 7:30 p.m. with Manqabath Khawn, Shoara, Maghribain prayers and the well-known amazing Zikr of Imam al-Mahdi a.s. by Allama Sakhawat Hussain Saheb for many years. Aamaal of Neema-a-Shabaan will be held on Thursday May 11, 2017 at Husainiyah after the Maghribain prayers. Jumayrath Aamaal and Hazri of Hazrath Abbas a.s. will start at 7:30 p.m. sharp to finish before Maghrib prayers. The family of Anwar Ali Mirza Marhoom is sponsoring the Niyaz for Isal-e-Sawaab. This is a once in a lifetime opportunity to show Imam Zain al-Abideen Syed us-Sajideen that we love and remember him for the ultimate sacrifice he a.s. made to save our Deen even though in chains during sickness and being marched from Karbala to Shaam. younger generation with functions and gifts to make them true followers of our beloved 4th Imam a.s. They should take part in it daily even for a few moments as a sign of respect and to demonstrate to the whole world that we remember our Imams a s even during ease of living and plenty of luxuries rather than going after worldly greed. Again remember April 28 to May 2, 2017 to show respect and ask the 4th Imam a s for our Hajath of this world and Hereafter. IMPORTANT CELEBRATION OF 1400TH BIRTH ANNIVERSARY OF IMAM ZAINUL ABIDEEN A.S. AT HUSAINIYAH DURING SHABAAN WITH LECTURES BY DR. SALMAN TURABI SAHEB. 5 day program of Qaseedas, Manqabat and lectures on this grand occasion will be held on a remarkable scale with the co-operation of Momineen worldwide. Please contribute generously with time, effort and money for thankfulness to the 4th Imam a.s., whose sacrifices and patience brought the Deen of Islam to the masses. ATTEND REGULARLY AND ELEVATE YOUR CLOSENESS TO MOULA ALI A.S. THIS IS A RARE OPPORTUNITY FOR THE SHIAS OF GTA. Dr. Salman Turabi Saheb will deliver his research on various aspects of the Life and Excellences of Hazrath Ali a.s. in 10 presentations. The program begins at 7:30 p.m. with Holy Quraan and Duas of Rajab followed by Jamat prayers , Manqabat and poetry. Moulana will start the speech around 9 p.m. daily. Wiladath of Moula Hazrath Ali a.s. will be commemorated from Saturday April 1st to 10th, 2017 (4th to 13th Rajab) with major presentations by Ulama and Shoara IA. Urdu and English scholars are being invited for the grand occasion. Janab Agha Saroosh Saheb and Janab Sajjad Nazar Saheb from India have been specially invited for this important function. The Momineen of Toronto are lucky to benefit in this manner unheard of anywhere and fortunate to celebrate the Zuhoor a pur Noor of Hazrat Ali a.s. in the Holy Kaaba. Please attend daily for Sawaab and to show that we are true Shiahs of Hazrath Ali a.s. THE MOMINEEN WERE ABLE TO GIVE PURSA TO HAZRATH FATIMA S.A. DURING THE PERIOD OF MOHARRAM MOURNING WHICH IS CONTINUING DURING THE WEEK DAYS ALSO AND NOT JUST ON WEEKENDS. LET US PERFORM A SACRIFICE FOR IMAM HUSAIN A.S. BY DONATING TOWARDS PAY-OFF OF HUSAINIYAH MASJID AND AZA-A-KHANA-A-ZAHRA S.A. THE TARGET IS 450,000. CONTRIBUTE FOR THE FUTURE OF THE INTELLECTUAL GROWTH OF OUR SHIAH YOUTH. THE MONTH OF MOURNING IS STARTING FROM OCTOBER 3, 2016 AND MAJALIS WILL BEGIN ON CHAND-RATH SUNDAY OCTOBER 2, 2016 INSHA ALLAAH TAALA AT 8:30 P.M. WITH SALAM AND MARSIA AND MOULANA SYED HUSSAIN SHIRAZI SAHEB ADDRESSING AROUND 9:30 P.M.
HUSAINIYAH WILL HAVE THE MAJALIS FOR 2 MONTHS AND 8 DAYS WITH SINCERE, WELL-KNOWN ULAMA AND ZAKIREEN TO HONOUR THE EXCELLENT FAZAIL OF HOLY AHL AL-BAYTH A.S. AND OFFER CONDOLENCES TO HAZRATH FATIMA S.A. ON THE DESTRUCTION OF HER HOUSEHOLD AT KARBALA STARTING WITH THE FIRST CONFRONTATION AGAINST HAZRATH ALI A.S. AT THE BATTLE OF JAMAL. IMPORTANT FACTS OF THE HISTORY OF ISLAM AND MUSLIMS WILL BE EXPOSED ABOUT THE HATRED OF MUSLIM HYPOCRITES WHO MARTYRED THE NOBLE FAMILY AND CONTINUE MASSACRING THE FOLLOWERS OF THE HOLY AHL AL-BAYTH A.S. TILL TODAY. THE NEED FOR FOLLOWING THE MASOOMEEN A.S. SINCERELY BY THE SHIAS BY HAVING TRUE FAITH AND AKHLAAQ WILL BE EMPHASIZED. THE NEED TODAY IS FOR SUPPORTING THE CAUSE OF ISLAAM AND STAYING AWAY FROM PLACES WHERE THE ENEMIES OF HOLY AHL AL-BAYTH A.S. ARE PRAISED AND SUPPORTED. THE HUSAINIYAH WILL HOLD MAJALIS, MATAM, JULOOS, HAZARI AND OTHER SYMBOLS OF HUSAINIYATH AS HAS BEEN DONE FOR ABOUT 50 YEARS BEING THE OLDEST IMAMBARGAH WHERE EVERY MOMIN AND MOMINAH ARE WELCOME WITHOUT DISTINCTION OF NATIONALITY, TRADITION AND LANGUAGE. LET US MOURN, CRY, WEEP AND WAIL FOR OUR BELOVED IMAM HUSAIN A.S. WITH SINCERITY AND SELFLESS DEVOTION. HUSAINIYAH MASJID AND AZA-KHANA-A-ZAHRA S.A. PAY-OFF PROGRAM STARTED ON THE ZOHOOR-A-PUR-NOOR OF BIBI FATIMA S.A. DONATE FOR THE HOLY AHL AL-BAYT A.S. AND FOR THE FUTURE OF THE YOUTH IN THE FIRST INSTITUTION IN NORTH AMERICA. CONTRIBUTIONS TO PAY OFF ONE UNIT OF $30,000 ARE REQUIRED BY OCTOBER 1, 2016. PLEASE DONATE MUSALLAS FOR MARHOMEEM OR CONTRIBUTE KHUMS FOR THIS CAUSE. THE MUSALLAS ARE IN PLACE AND FULL CARPETING OF THE MASJID AND MEN'S AREA HAS BEEN COMPLETED AND THE FIRST JUMAH PRAYERS ON MUSALLAS WAS PERFORMED BEFORE THE HOLY MONTH. IT IS A REMARKABLY AMAZING ACHIEVEMENT FOR THE SAWAAB OF MARHOOMA FATIMABAI ASARIA BINTE NAZARALI SAHEBA. PLEASE RECITE FATEHA FOR THE MARHOOMA AND ALL MOMINEEN AND MOMINAATH ESPECIALLY THE SHOHADA OF SHIAS. THE LADIES SECTION HAS BEEN COMPLETED ALSO A.H. Please contribute for the Husainiyah Masjid and AzaKhana-a-Zahra s.a. to make them a shining presentation of the Haqq of Islam in the West and donate a Musalla for $1000 (installments also arranged) and spend your Khums in the noble project at the Husainiyah and AzaKhana-a-Zahra s.a. Monthly donations can be set up for Sawaab-a-Jariyya and you may donate with Credit/Debit cards. Islamic Hijri Calendar 1438 will be available at the Husainiyah soon. 1437 MAJALIS WERE HELD TO FULFILL THE MISSION OF IMAM HUSAIN A.S. This time the mourning of the tragedy of Holy Karbala will be commemorated with the specific aim of spreading the knowledge of Islam (Ilm-a-Deen). The concept of Love of the Masoomeen a.s. and the hatred towards the enemies of Allaah SWT and the torturers of Masoomeen a.s. and their followers will be presented from the Noble Quraan by the Ulama and Zakireen of Holy Ahl al-Bayth a.s. madhab. Special topics of Tawalla and Tabarrah in Holy Quraan and the many verses of Lanath will be presented. The reason for the destruction of the idols by Hazrath Ibraheem a.s. and by the Holy Prophet sawas and Hazrath Ali a.s. in Holy Kaaba will be analyzed with wisdom, Hikmah and Irfan. The severity of azaab on sinners mentioned in the Holy Quraan and the punishment given by Hazrath Mukhtar a.s. to the murderers of Imam Husain a.s. and his family will be dealt with in an intellectual manner. The baseless allegations against the Shiahs and the massacre of the Shiahs throughout history and especially today will be answered with Holy Quraan and the books of the opponents of Holy Ahl al-Bayth a.s. The sacrifice of Hazrath Ibraheem a.s. and Hazrath Ismail a.s. and the events of the miracle of the shirt of Hazrath Yusuf a.s. and the cutting of fingers due to amazement, the Command of Allaah Taala to kill the offspring of noble parents in front of Hazrat Moosa a.s. will be presented in detail. This Moharram I.A. will increase the knowledge and Aamaal of the Momineen and Mominaath, especially the youth of the community. Azakhana-a-Zahra s.a. will be open for the Ladies after completion of the major renovations of kitchen, roof, lights,walls, heating and air-conditioning. All the members of the Shiah community are invited in the special landmark event of North American Masjid and Imambargah, the oldest Association for and by those who love, respect and honour the teachings of Imam Husain a.s. May Allaah Taala Bless the Momineen and Mominaath for the donations to complete this amazing facility for our Imam-a-Zamana a.s. by reserving a Musalla for $1000. THE IMPORTANT PHASE OF COMPLETING THE LADIES SECTION OF THE HUSAINIYAH IS PROCEEDING A.H. DONATIONS FOR THE CONSTRUCTION HAVE BEEN PLEDGED ON THE HAPPIEST OCCASION FOR MOMINEEN AND MOMINATH IN THE JASHAN FOR IMAM MAHDI A.S. PLEASE SEND THE PLEGDED AMOUNT OF $1000 FOR EACH MUSALLA AS THE RENOVATION HAS STARTED. The kitchen floor and wall have been tiled, new gas furnaces have been bought, shelving installed, electrical work and heating and airconditioning work has completed and the unit installed with duct work. The dedicated volunteers and honest and sincere helpers in the cause of Imam Husain a.s. and Hazrath Fatima s.a. are actively taking part in the noble effort to preserve the original Deen of Holy Ahl al-Bayth a.s. in Toronto, N.A. and worldwide. The accounts of this project are available as were presented for the Masjid AH. Please contribute generously in the Holy Moharram fund and Pay-off program of the Husainiyah. Only the fortunate are granted this rare opportunity to be associated with Holy Ahl al-Bayth a.s. and spend their Khums and donations where sincere work is being performed 24/7 all through the lunar year of 354 days. This Husainiyah is open year round for Prayers, Majalis, Matam, Nazr, Hazri, Aamaal, Koonday, Recitation of Hadees-a-Kisa, Doa-a-Kumail, Teaching of Holy Quraan, Nahjul Balagah, Saheefa-a-Kamelah, Saheefa-a-Alawiyyah, Tibb-a-Masoomeen a.s. by the Grace of Almighty Allaah SWT and blessings of 14 Masoomeen a.s. Monthly contribution can be made with Bank Account/Credit & Debit Card. DONATIONS FOR THE CONSTRUCTION HAVE BEEN PLEDGED ON THE HAPPIEST OCCASION FOR MOMINEEN AND MOMINATH IN THE JASHAN FOR IMAM MAHDI A.S. AND ARE DUE AT THIS TIME. Important changes are taking place all over the world with implications for Islam and Muslims. Please attend the regular daily prayers at Husainiyah being attended by adults and children and there is discussion on different topics about Islam and recitation of Holy Quran, Nahjul Balagha, Saheefa-a-Kamelah and Saheefa-a-Alawiyyah Duas. The amazing Khutbah of Hazrath Ali a.s relating to current situation in the community of believers Khutbah 234 was being recited after Maghribain prayers and Dars was conducted by Moulana Syed Farhath Hussain Moosavi. Khutbah 110 was read and pondered upon in the daily prayers recently. It was a memorable sight to see the enthusiasm and eagerness of the people to pledge the amount required for the renovation and construction of the hall for Aza Khana-a-Zahra s.a. which was expanded on April 19th, 2015 and inaugurated on the night of 13th Rajab, May 1 2015 and $44,000 pledged on 15th of Shaban, June 1 2015 for the completion of the ladies side of Husainiyah, Aza Khana-a-Zahra s.a. Thanks are due to Allama Sakhawat Hussain Saheb for supporting our volunteers and Br. Ahsan Zaidi to provide the cake for sponsorship by Momineen. We have more donations coming in daily to complete the project in a short time as was done with miraculous speed in the Gents side of Husainiyah Masjid by dedicated Momineen. We have worked hard to please the Living Imam a.s. as per His a.s. indication and are achieving miracles at the Husainiyah by the co-operation of His a.s. followers. All the Momineen and Mominaath of Toronto and North America are witnessing this special Moment in the history of followers of Holy Ahl al-Bayth a.s. The Imam Husain a.s. Association has been the the oldest Holy Ahl al-Bayth a.s. organization in North America established in the name of Imam Husain a.s.
With the completion of the ladies and gents side of the Husainiyah we will ensure that important historical events and established rituals of the Shiahs of Holy Ahl al-Bayth a.s. are commemorated with sincerity and grandeur. We have started and supported Azadari on a community level with Partitions for men and women, Nazr and Niaz on a regular basis with Langar on Thursdays including Hazari and Special Occasions like Nawchandi Jumayrath, helped establish personal Aashoorkhans and Imambargahs at homes with Alams and Taziyas, Supported Zuljanah procession and all the important Juloos, encouraged and established Sina Zani and Zanjeer Matam in North America with Tabooth, established Koonday of 22nd Rajab, Dastarkhawn of Imam Hasan a.s., Aamaal of Nawrooz and Amal-a-Umm-a-Dawood. The Majalis program for 2 months and 8 days with Azadari and majalis by the world renowned Ulama and Zakireen , have been appreciated and eagerly awaited throughout the Shia world. The World Conference of Imam Mahdi a.s. and Nabi Eesa a.s. has brought major changes in the Muslim world about the Living Islam a.s. and resulted in acceptance of the true Deen of Islam by thousands of peoples throughout the world. The messed up environment in 1960’s of North America was changed by the yeoman effort and consistent management of our organization without the Saqeefa mentality. The support of only the sincere Momineen and Mominath brought the dramatic change in the society and there were many unfortunate people who could not take part in it due to lack of confidence about the propagation of Islam and influence of the polluted surroundings. We started the Sunday schools and holding Camps for youngsters in 1970’s and the effect has been widespread and the Hijab was established with the effort of this Association even though some ‘Mullahs’, scholars for dollars and organizations openly opposed it. Today this Association is unique in holding all the functions with the highest level of excellences and praise for Holy Ahl al-Bayth a.s. and the enthusiasm expressed with frequent Salawath and Naara-a-Hyderi, rarely heard at other institutions. Our projects include establishing Educational and Research Institutions for publications and encouraging scholars to present Majalis with wisdom and scientific reasoning for satisfying the needs of the youth and the educated masses. Please donate in the Musalla program of $1000 for each Musalla for Marhomeen and Sawaab-a-Jariyya for your own Hereafter. We are pleased to announce that the Hall for Aza Khana-a-Zahra s.a. has been expanded on April 19th, 2015 before the Month of Rajab and will be inaugurated on 13th of Rajab. We have worked hard to please the Living Imam a.s. as per His a.s. indication and are achieving miracles at the Husainiyah by the co-operation of His a.s. followers. All the Momineen and Mominaath of Toronto and North America are requested to attend this special Moment in the history of followers of Holy Ahl al-Bayth a.s. Please contribute in the Musalla program of $1000 for each Musalla for Marhomeen also to complete the ladies side of the Husainiyah as the Mominath are having difficulty due to lack of space and other facilities. Heating, Ceiling and Carpet are needed now. Heating and Kitchen project has begun and please donate generously. Please join in the monthly donation for Masjid/Imambargha monthly maintenance by providing void cheque/bank details or credit/debit card number for deduction on the 5th of every month. Currently we have 35 members and our target is 200. Please contribute for the Qarza-a-Hasanah for a year to pay-off the loans of the Husainiyah and contribute Khums to gain the pleasure of Imam-a-Zamana a.s. for the project started with His a.s. blessings. 5 DAILY PRAYERS ARE HELD IN JAMATH, A UNIQUE CHANCE FOR MOMINEEN OF TORONTO TO BENEFIT IN THIS BUSY WORLD. PLEASE ATTEND WHEN POSSIBLE. WILL BE HELD ON FRIDAY SEPT. 1, 2017 AT 8:30 A.M. AND 10 A.M. I.A. AT THE HUSAINIYAH LED BY MOULANA MUSHTAQ HUSSAIN SHAHIDI SAHEB. Majlis of Martyrdom of 5th Imam a.s. will be held on Monday August 28,2017 at 8:00 p.m. Moulana Syed Farhath Hussain Moosavi Saheb will recite the Majlis after Maghrabain prayers. Majlis of Martyrdom of Hazrath Muslim ibn-Aqeel a.s. will be held on Wednesday August 30,2017 at 8:00 p.m. Moulana Syed Farhath Hussain Moosavi Saheb will recite the Majlis after Maghrabain prayers. Aamaal of Arafath will begin after Zohrain prayers on Thursday August 31, 2017 at 1:18 pm. Doas of Hazrath Imam Husain a.s. and Imam Zainul-Abideen a.s. will be recited during Aamaal. Majlis of safar a Imam Husain a.s. From Holy Madinah to Holy Karbala will be held on Tuesday April 25, 2017 at 7:30 p.m. recited by Allama Javed Jaffri Saheb. Jumayrath program on Thursday April 27, 2017 will start at 7:30 p.m. with Doas and Aamaal with Majlis. Hazri of Hazrath Abbas a.s. and Niaz will be served. Jumah prayer at Husainiyah Masjid will be held on Friday April 28, 2017 at 1:30 p.m.
MAJLIS WILL BE HELD AT HUSAINIYAH ON THURSDAY JUNE 29, 2017 NAWCHANDI JUMYRATH AT 7:30 P.M. RECITED BY MOULANA MUSHTAQ HUSSAIN SHAHIDI SAHEB. HAZARI OF HAZRATH ABBAS A.S. AND NIAZ WILL BE SERVED AFTER THE AAMAAL. THE NAMES OF THOSE PLANNING TO ATTEND THE PROTEST ON JULY 8, 2017 IN OTTAWA WILL BE FINALIZED IA. THIS IS A ONE DAY BUS TRIP TO OTTAWA AND THE EXPENSES ARE $20 PER PERSON OR $50 PER FAMILY. PLEASE CONTACT MR. M. A. HUSSAIN FOR INCLUDING YOUR NAME IN THIS IMPORTANT LIST. Majlis of Martyrdom of the sons of Hazrath Muslim ibn-Aqeel a.s. will be held on Wednesday Sept. 13, 2017 at 7:30 p.m. Moulana Syed Farhath Hussain Moosavi will recite the Majlis after Maghrabain prayers. Jumayrath program on Thursday September 14, 2017 will start at 7:30 p.m. with Doas and Aamaal and address by Moulana Mushtaq Hussain Shahidi Saheb. Hazri of Hazrath Abbas a.s. and Niaz will be served. Well known Shair Janab Prof. Ainul Hasan Saheb from India will present his poetry at this occasion. WILL BE LED BY MOULANA MUSHTAQ HUSSAIN SHAHIDI SAHEB ON FRIDAY SEPTEMBER 15, 2017 AT 1:13 P.M. ANNUAL JASHAN OF MUBAHELA WILL BE CELEBRATED AT HUSAINIYAH ON FRIDAY SEPTEMBER 15th, 2017 AT 7:30 P.M. QASEEDA KHANI FOLLOWED BY MOULANA'S SPEECH AND MEHMAN SHAIR JANAB SYED HADI ALI RAZVI ALAMDAR SAHEB FROM INDIA. THIS IS AN IMPORTANT EVENT FOR THE SUCCESS OF ISLAM BY THE GREATNESS OF HOLY AHL AL-BAYTH A.S. WHEN ARGUMENTS OF HOLY QURAN COULD NOT CONVINCE. NIAZ WILL BE SERVED. PRAYERS ARE HELD AT HUSAINIYAH MASJID DAILY FOR THE ADDED SAWAAB OF JAMATH SALATH. Jashn of Imam Ali un-Naqi a.s.
Jumayrath program on Thursday September 7, 2017 will start at 7:30 p.m. with Doas and Aamaal with Jashan of Imam Ali un-Naqi a.s. recited by Moulana Mushtaq Hussain Shahidi Saheb. Hazri of Hazrath Abbas a.s. and Niaz will be served. FRIDAY JUMAH PRAYERS WILL BE LED BY MOULANA MUSHTAQ HUSSAIN SHAHIDI SAHEB ON SEP. 8, 2017 AT 1:16 P.M. ANNUAL JASHAN OF GHADEER WILL BE CELEBRATED AT HUSAINIYAH ON SATURDAY SEPTEMBER 9th, 2017 AT 7:30 P.M. QASEEDA KHANI FOLLOWED BY MOULANA'S SPEECH AND MEHFIL-A-TARH WITH RENOWNED GTA SHOARA AND MEHMAN SHOARA JANAB SYED HADI ALI RAZVI ALAMDAR SAHEB FROM INDIA AND JANAB SYED ALI HYDER RIZVI SAHEB FROM ILLINOIS, U.S.A.
SYED NAQI MOOSAVI AND FAMILY IS REQUESTING YOUR PARTICIPATION IN THIS SPECIAL EVENT OF DECLARATION OF WILAYATH OF HAZRATH ALI A.S.
MAJLIS OF SHAHADATH OF IMAM JAFAR AS-SADIQ A.S.
WILL BE HELD ON THURSDAY JULY 20, 2017 AT 7:30 P.M. SHARP RECITED BY MOULANA MUSHTAQ HUSSAIN SHAHIDI SAHEB. PLEASE ATTEND WITH FAMILY AND FRIENDS ON THIS IMPORTANT OCCASION TO OFFER CONDOLENCES TO MASOOMEEN A.S. THE EID PRAYERS AT THE HUSAINIYAH WILL BE ON MONDAY JUNE 26, 2017 AT 8:30 A.M. AND 10 A.M. MOULANA HUSSEIN SHIRAZI SAHEB WILL LEAD THE PRAYER. MOULANA LED SOME OF THE BIGGEST GROUP OF MOMINEEN IN DAILY IFTAAR AND AAMAAL WITH THE PRESENCE OF DEDICATED YOUTH. IFTAAR IS BEING SERVED TODAY, SUNDAY ON JUNE 25, 2017 AFTER SHAB-A-EID SPEECH AND MAGHRIBAIN PRAYERS. EID MUBARAK TO MUQALLIDIN OF AYATOLLAH KHOEI R.A., AYATOLLAH IMAM KHOMEINI R.A. AND AYATOLLAH KHAMANEI H.A. PRAYERS WERE HELD THROUGHOUT NORTH AMERICA FOR THESE MOMINEEN. VISUAL SIGHTING OF THE MOON WAS REPORTED IN PENNSYLVANIA, VIRGINIA AND CALIFORNIA AND MANY COUNTRIES OF SOUTH AMERICA BY ULAMA AND MOMINEEN, ALHAMDOLILAAH. Majlis of Shahadath of Imam Moosa al-Kazim a.s. on Saturday April 22, 2017 at 7:30 p.m. addressed by Allama Javed Jaffri Saheb. Tabooth will be brought out to remember the troubles of Imam a.s. during imprisonment and the abandoning of the Janaza similar to what the Muslims and Sahaba did to our Holy Prophet sawas. Wafath of Hazrath Abu Talib a.s., the protector and supporter of Holy Prophet sawas will be commemorated in this Majlis. Please attend with children and youth to give pursa to Imam-a-Zamana a.s.
Jashan of Mayraaj and Day of Baysath will be celebrated with Aamaal on Sunday April 23,2017 at 7:30 p.m.
Nazar of Imam Jaffer as-Sadiq a.s. (Koonday of 22nd Rajab) will be on Wednesday April 19, 2017 from 6 to 9 p.m. at Husainiyah. Jumayrath program on Thursday April 20, 2017 will start at 7:30 p.m. with Doas and Aamaal with Majlis recited by Allama Javed Jaffri Saheb. Hazri of Hazrath Abbas a.s. and Niaz will be served. Jumah prayer at Husainiyah Masjid will be held on Friday April 21, 2017 at 1:30 p.m. Allama Javed Jaffri Saheb will lead the prayers. Nawchandi Jumayrath program on March 30, 2017 will start at 7:30 p.m. with Doas , Prayers and Aamaal with Majlis recited by Moulana Syed Farhath Hussain Moosavi. Hazri of Hazrath Abbas a.s. and Niaz will be served. Jumah prayer at Husainiyah Masjid will be held on Friday March 31, 2017 at 1:30 p.m. Moulana Syed Farhath Hussain Moosavi will lead the prayers. Jumayrath program on March 16, 2017 will start at 7:30 p.m. with Doas and Aamaal with Majlis recited by Moulana Hussain Sherazi Saheb. Hazri of Hazrath Abbas a.s. and Niaz will be served. Jumah prayer at Husainiyah Masjid will be held on Friday March 17, 2017 at 1:30 p.m. Moulana Hussain Sherazi Saheb will lead the prayers. JASHAN OF WILADATH OF HAZRATH FATIMA S.A. will be recited by Moulana Hussain Shirazi Saheb on Saturday March 18,2017 after Maghrabain prayers. Nawchandi Jumayrath Aamaal and Hazri of Hazrath Abbas a.s. on January 26, 2017 at 7:30 p.m. Important details about enhancements to the Husainiyah will be announced and we will appreciate suggestions and comments to make this Masjid and Imambargah unique for the Shiahs of Toronto and Momineen all over the world. Jumah prayer at Husainiyah Masjid will be held on Friday January 27, 2017 at 12:30 p.m.
Jashan of Wiladath of Hazrath Bibi Zainab s.a. will be held on February 3, 2017 at 7:30 p.m. Well-known Shoara and Manqabat Khawn of GTA have accepted to participate. Allama Sakhawat Huusain Saheb Sandralvi Saheb will recite this important Jashan of Hazrath Zainab s.a.
Nawchandi Jumayrath Aamaal and Hazri of Hazrath Abbas a.s. on January 5, 2017 at 7:30 p.m. Majlis of barsi of Shaheed Ayatullah Nimr will be held. His efforts for Shiaism in Hijaz will be presented and Fateha for his soul will be recited. Jumah prayer at Husainiyah Masjid will be held on Friday January 6, 2017 at 12:30 p.m.
Jashan of Wiladath of Imam Hasan al-Askari a.s. will be held after Maghribain prayers at 5:15 p.m. Shoara and Manqabat Khawn of GTA will participate. Majlis of Chehlum of Marhooma Khursheed Haidri Bano Binte Syed Ayaz Hussain Kazmi (Mother of Shair a Ahlay Baith a.s. Janab Akhtar Asif Zaidi) will be held on Saturday February 4th , 2017. Quran Khawani begins at 4:45 p.m. and after Maghribain prayers at 5:47 pm Majlis will start. Allama Dr. Sakhawat Hussain Sandralwi Saheb will recite the Hadees. MAJALIS FOR HAZRATH FATIMA ZAHRA S.A.
MAJLIS OF HAZRATH BIBI FATIMA S.A.
Majlis-a-Ayyam-a-Fatimiyya s.a. will be held on Thursday Feb. 9, 2017 at 7:30 p.m. Jumayrath Aamaal and Hazri of Hazrath Abbas a.s. and Niyaz will be served. Jumah prayer at Husainiyah Masjid will be held on Friday February 10, 2017 at 12:35 p.m. led by Moulana Hussain Shirazi Saheb. MAJLIS AND TABOOTH OF HAZRATH BIBI FATIMA S.A.
will be held on Friday February 10, 2017 at 7:30 p.m. Moulana Hussain Shirazi Saheb will recite the Majlis. Janab Zafar Abbas Zafar Saheb will recite the Soz and Naoha. Shabeeh-a-Tabooth will be taken out in the ladies side. Momineen and Mominaath are requested to come and give Pursa to the Holy Prophet sawas, Hazrath Ali a.s., Hasnain a.s. and Ahl al-Bayth a.s. on this tragic event of Islamic history. MAJALIS OF HAZRATH BIBI FATIMA S.A.
Majalis-a-Ayyam-a-Fatimiyya s.a. will be held from Wednesday March 1 to Sunday March 5, 2017 recited by Dr. Salman Turabi Saheb at 7:30 p.m. for the first 4 days and on Sunday at 3 p.m. SHABEEH-A-TABOOTH IN THE LADIES SIDE WILL BE BROUGHT OUT ON SATURDAY MARCH 4, 2017. Momineen and Mominaath are requested to come and give Pursa to the Holy Prophet sawas, Hazrath Ali a.s., Hasnain a.s. and Ahl al-Bayth a.s. on this tragic event of Islamic history. MEELAD-UN-NABI SAWAS AND JASHN-A-SADIQAIN A.S.
TABOOTH BIBI MASOOMA A QUM ON DEC 4, 2016. MOULANA SYED ALIRAZA KAZMI SAHEB WILL DELIVER THE MAJLIS ON NOV 29, 2016 AT 8:15 P.M. MAJLIS BEGINS AT 7:30 P.M. WITH DUAS. 6TH ASHRA STARTS FROM NOV 21, 2016 TO NOV 30, 2016 AT 7:30 P.M.
ALLAMA SAKHAWAT HUSSSAIN SAHEB IS RECITING MAJLIS ON NOV 21, 2016 AT 8:30 P.M. MAJLIS BEGINS AT 7:45 P.M. WITH DOAS AND MARSIA. MOULANA ABID BILGRAMI SAHEB WILL BE RECITING MAJALIS FROM TUESDAY NOV 22, 2016 TO NOV 28, 2016 AT 7:30 P.M. SHARP. MAJLIS BEGINS AT 7 P.M. FOR THIS ASHRA. Shabeeh of Tabooth of Hazrath Bibi Zainab s.a. will be taken out in the Ladies section during Matam on Thursday Nov. 24, 2016. 5TH ASHRA STARTS FROM NOV 11, 2016 TO NOV 20, 2016 AT 7:30 P.M. THE TOPIC FOR THIS ASHRA IS ZEENATH OF MAJALIS IS ZIKR OF HAZRATH ALI A.S. FROM THE HOLY QURAAN AND AHADEES. ARBAEEN PROGRAM ON NOV 20, 2016 STARTS WITH AAMAAL AT 11:15 A.M. IA. AND THE MAQSOOS MAJLIS BEGINS AFTER ZOHRAIN PRAYERS. TO NOV 10, 2016 AT 8:30 P.M. ANNUAL SHAB-BAYDARI WILL BE ON SATURDAY NOV. 5, 2016 AT 9:30 P.M.
WELL KNOWN SHOARA AND NAOHA KHAWN FROM AROUND THE WORLD WILL PARTICIPATE. DR. REHAN AZMI, DR. PAYAM AZMI, JANAB HADI ALI KHAN MUSLIM AND NORTH AMERICAN AND GTA SHOARA ARE EXPECTED TO ATTEND IN THIS YADGAAR MATAM FOR IMAM HUSAIN A.S. AT HUSAINIYAH. ALLAMA SYED JAVED JAFRI SAHEB WILL RECITE MAJLIS TODAY MONDAY NOV 1, 2016 ABOUT HAZRATH BIBI SAKINA S.A.
AFTER THE EXCELLENT MAJALIS ABOUT THE KHUTBA OF HAZRATH ZAINAB S.A. THAT SPREAD THE NEWS OF THE TRAGEDY OF KARBALA TO THE WHOLE KNOWN WORLD BY MOULANA SYED LUQMAN HUSSAIN MOOSAVI SAHEB THE 2ND ASHRA AT HUSAINIYAH CAME TO A CONCLUSION. SHABEEH OF TABOOTH OF IMAM ZAINUL ABIDEEN A.S. WILL BE BROUGHT OUT ON THURSDAY OCT 27, 2016 AFTER THE MAJLIS. SPECIAL NIAZ OF IMAM SAJJAD A.S. WILL BE SERVED. MOULANA MUMTAZ ALI SAHEB FROM DELHI WILL RECITE HADEES AT 8:30 P.M. IA ON THE IMPORTANCE OF HAZRATH ALI A.S. FOR THE MUSLIM UMMAH AND THE IJMA (CONSENSUS) WHEN WORLDLY ADMINISTRATION WAS BEING FORCED ON HIM A.S.
2nd ASHRA STARTS FROM OCT. 15, 2016 TO OCT. 22, 2016 AT 7:30 P.M.
JANAB MOHAMMAD ALI WAFA SAHEB WILL RECITE HIS KALAAM ON SATURDAY OCT. 15 AND SUNDAY OCT. 16 , 2AS HE HAS DURING MUHARRAM . MOULANA SHIRAZI WILL START AT 9:30 P.M. - SORRY FOR THE CHANGE , AS IT IS HARD FOR THE MOULANA TO COME EARLIER. Jashan-a-Aqd of Hazrath Ali a.s. and Hazrath Fatima s.a. will be held on Nawchandi Jumayrath Sept. 17, 2015 with Qaseedas and Shairy on this grand occasion at 7:30 p.m.
WITH JANAB MOHAMMED ALI WAFA SAHEB FROM INDIA AND MOHSEN SHAUKAT ALI SAHEB FROM PAKISTAN. MOULANA SYED FARHATH HUSSAIN MOOSAVI ADDRESSED THE JASHAN ON THE IMPORTANCE OF MUBAHELA AND THE LINK WITH THE EVENT OF KARBALA. IT WAS POINTED OUT THAT ONLY HOLY AHL AL-BAYTH A.S. CAME OUT WITH THE HOLY PROPHET SAWAS. ON THURSDAY SEPT. 29, 2016 AT 7:20 P.M. WITH PRAYERS AND AAMAAL AND HADEES BY MOULANA MUSHTAQ HUSSAIN SHAHIDI SAHEB. HAZARI AND NIAZ WILL BE SERVED. FRIDAY PRAYERS WILL BE LED BY MOULANA MUSHTAQ HUSSAIN SHAHIDI SAHEB AT 1:20 P.M.
JANAB MOHAMMED ALI WAFA SAHEB FROM INDIA AND MOHSEN SHAUKAT ALI SAHEB FROM PAKISTAN WILL RECITE MANQABAT AND QASEEDAS ALONG WITH GTA SHOARA. MOULANA SYED FARHATH HUSSAIN MOOSAVI WILL ADDRESS THE JASHAN ON THE IMPORTANCE OF MUBAHELA AND THE LINK WITH THE EVENT OF KARBALA. MAJLIS AT HUSAINIYAH ON FRIDAY SEPT. 23, 2016 AT 7:30 P.M. WITH PRAYERS AND HADEES BY MAULANA HUSSAIN SHIRAZI SAHEB. MOMINEEN AND MOMINATH ARE PERSONALLY REQUESTED TO KINDLY ATTEND BY SHAHIDA ALIKHAN, KAZIM(HUSSAIN) ALIKHAN AND MUJAHED ALIKHAN. MAJLIS WILL BE AT HUSAINIYAH ON SATURDAY THE 24TH OF SEPTEMBER, 2016 AT 7:30 P.M. WITH PRAYERS AND ADDRESSED BY MOULANA SYED MUHAMMAD RIZVI SAHEB. THE FAMILY OF MARHUM REQUESTS YOUR PRESENCE FOR ISAAL-A-SAWAAB MAJLIS FOR BARSI. EID AL-GHADEER PROGRAM WILL BE HELD AT HUSAINIYAH MASJID ON TUESDAY SEPT. 20, 2016 AT 7 P.M. FOR THIS SPECIAL OCCASION SPECIAL GUEST SHIAR JANAB MOHD. ALI WAFA AND RENOWNED SHIAR SYED RAZI JAFRI SAHEB WILL BE RECITING THEIR WELL-KNOWN POETRY ALONG WITH THE GTA SHOARA. WILADATH-A-PUR-NOOR 0F IMAM ALI UN-NAQI A.S.
Jashan of Wiladath of Imam Ali un-Naqi a.s. will be held. on Saturday Sept 17, 2016 after the Maghribain prayers at 7 p.m. The contribution of the 10th Imam a.s for the noble faith of Islam and the patronage of the Shias will be celebrated. Poetic compositions by the Shoara of GTA will be presented. JUMAYRATH PROGRAM WILL START AT 7:30 P.M. ON SEPT 15, 2016 WITH PRAYERS, DUAS AND MAJLIS FOLLOWED BY HAZARI OF HAZRATH ABBAS A.S.
JUMAH PRAYERS WILL BE LED BY MOULANA MUSHTAQ HUSSAIN SHAHIDI SAHEB AT 1:25 P.M. ON FRIDAY SEPT 16, 2016.
amaal of Arafah are an important part of Hajj and we will be performing them at Husainiyah on Sunay Sept 11 after Zohrain prayers to join the millions of Hajis in Holy Arafah fortunate to be present there. Majlis of Shahadath of Hazrath Muslim Bin Aqeel a.s. will be held after Aamaal. Eid al-Adzha (Baqr'eed) prayers will be held at Husainiyah on Monday Sept 12, 2016 at 8:30 a.m. led by Moulna Mushtaq Hussain Shahidi Saheb. The second prayers will be at 10 a.m.
SHAHADATH OF IMAM MOHD. AL-BAQIR A.S.
Majlis for the Martyrdom of the 5th Imam a.s., whose knowledge of the earliest and the later was well known among Muslims and benefitted the Deen of Islam will be held on Nawchandi Jumayrath Thursday September 8th , 2016 at 7:30 p.m. Marsia, Soz and Naohas related to the Imam a.s. and his shahadath will be recited. Moulana Mushtaq Hussain Shahidi Saheb will recite the Majlis. Niaz and Hazari of Hazrath Abbas a.s. will be served. The relatives of Anwar Ali Mirza Marhoom S/O Mirza Mustafa Hussain are sponsoring the Majlis for Isal-e-Sawaab of the Marhoom. MOULANA MUSHTAQ HUSSAIN SHAHIDI SAHEB. Jashan-a-Aqd of Hazrath Ali a.s. and Hazrath Fatima s.a. will be held on Friday Sept. 2, 2016 at 8:00 p.m.after Maghribain prayers with Qaseedas and Shairy followed by a speech on this grand occasion. SHAHADATH OF IMAM MOHD. AT-TAQI A.S.
Majlis for the Martyrdom of the 9th Imam a.s., whose piety was well known among Muslims and benefitted the Momineen will be held on Thursday September 1st , 2016 at 7:30 p.m. Marsia, Soz and Naohas related to the Imam a.s. and his shahadath will be recited. ALLAMA FAZIL MOSAVI SAHEB WILL BE AT THE HUSAINIYAH FOR THE FULL MONTH OF HOLY RAMADZAN BY THE GRACE OF ALMIGHTY SWT. THE FIRST PROGRAM BEGINS ON MONDAY JUNE 6, 2016. MAGHRIBAIN PRAYERS AND IFTAAR/DINNER AND EVERYONE IS PERSONALLY INVITED WITH FAMILY AND FRIENDS EVERYDAY. THIS WILL BE A VERY SPECIAL EXPERIENCE FOR ALL THE MOMINEEN AND MOMINATH OF GTA AS WE HAD EARLIER BENEFITTED FROM THE PRESENCE OF ALLAMA SAHEB. THE IMPORTANT DAYS ARE COMING ON A WEEKEND TO REMEMBER WITH MAJALIS, AAMAAL AND JULOOS ON JUNE 26, 2016 IA. PLEASE CONTRIBUTE FULLY TO MAKE THIS UNIQUE NOBLE OCCASION AN EXEMPLARY SUCCESS. IFTAR/DINNER SPONSORSHIP IS AVAILABLE BY CONTACTING 905-471-4180. Majlis for Mir Raza Hussain Saheb Marhoom and Bilquis Jehan Marhooma will be held on Thursday August 11, 2016 at 7:30 p.m. with Marsia and Hadees at 8 p.m. Niyaz will be served after Maghribain prayers. Nawchandi Jumayrath Aamaal with Hazari will be performed. An indoor activity camp during the summer holidays is being held with Islamic activities, Arts and Crafts, Baking, Cooking and Indoor games for your kids. Doctors, Dentists and other Professionals will be invited to talk about health and safety. Please join us in this camp and make it a success. Islamic dress Code applies and Snacks are provided. Cost of the program is $20 per child for ages 4 to 12. Children under 6 should be accompanied by an adult. Hot lunches are available upon request for $3.00 per lunch. Thursday August 11 – 12 to 5 p.m.
Friday August 12 – 12 to 5 p.m.
Saturday August 13 – 12 to 5 p.m.
Esaal-a-Sawaab Majlis for Marhoom Syed Shafi Ahmed Jafri will be held on Thursday August 25, 2016 at 7:30 p.m. with Quran Khawani and Duas followed by Prayers and Majlis. SHAHADATH OF IMAM JAFAR AS-SADIQ A.S.
Majlis for the Martyrdom of the 6th Imam a.s., who spread the knowledge of the Deen and Fiqah for Momineen will be held on Saturday July 30th , 2016 at 7 p.m. sharp to finish before Maghrib. Marsia, Soz and Naohas related to the Imam a.s. and his shahadath will be recited. Majlis wil be recited By Moulana Syed Farhath Hussain Moosavi about the propagation of truth through actions (amal) by followers of 6th Imam a.s. and their need for action in the current times. The role of Tawalla and Tabarra in spreading the Deen of Islam will be discussed. Please attend with family and friends to offer condolences to Holy Ahl al-Bayth a.s. at this sorrowful occasion. Wida-i-Majlis of Holy Month will be on Sunday July 3, 2016 at 7:30 pm and will finish before Maghribain. Shab-a-Eid Aamaal will be on Tuesday July 5, 2016 after Iftaar. Jumatul Wida prayers will be held on July 1, 2016 at 1:22 pm led by Allama Fazil Mosavi Saheb. Eid prayers will be held IA on Wednesday July 6, 2016 at 8:30 am and 10:00 am led by Allama Syed Fazil Mosavi Saheb. Fitra per person is $8.00. AAMAAL OF SHAB-A-BARATH AND TAWASSUL OF IMAM-A-ZAMANA A.S. WILL BE ON SATURDAY MAY 21, 2016 AT 8:30 P.M. BY ALLAMA DR. SAKHAWAT HUSSAIN SANDRALWI SAHEB. IFTAAR/DINNER WILL BE SERVED. JASHAN OF IMAM-A-ZAMANA A.S. WILL BE HELD ON SUNDAY 15TH SHABAAN - MAY 22, 2016 AT 6:30 P.M. JANAB SYED HAIDER RAZA OF UK AND JANAB ALAMDAR RIZVI OF HYDERABAD WILL RECITE MANQABAT. PLEASE ATTEND THE SPECIAL WILADATH OF OUR LIVING IMAM A.S. WITH FAMILY AND FRIENDS. JASHAN OF HAZRATH ALI AKBAR A.S. WILL BE HELD ON THURSDAY MAY 19, 2016 AT 7:30 P.M. RECITED BY MOULANA MUSHTAQ HUSSAIN SHAHIDI SAHEB. HAZARI OF HAZRATH ABBAS A.S. WILL BE SERVED. JASHAN OF IMAM ZAINUL ABIDEEN A.S. WILL BE HELD ON THURSDAY MAY 12, 2016 AT 7:30 P.M. RECITED BY MOULANA MUSHTAQ HUSSAIN SHAHIDI SAHEB. JANAB SYED RAZA RIZVI OF UK AND JANAB ALAMDAR RIZVI OF HYDERABAD WILL RECITE MANQABAT. HAZARI OF HAZRATH ABBAS A.S. WILL BE SERVED. FRIDAY PRAYERS ON MAY 13, 2016 AT 1:15 PM. LED BY MOULANA MUSHTAQ HUSSAIN SHAHIDI SAHEB. JASHAN OF HAZRATH ABBAS A.S. WILL BE HELD ON SATURDAY MAY 14, 2016 AT 7 P.M. JANAB SYED RAZA RIZVI OF UK AND JANAB ALAMDAR RIZVI WILL RECITE MANQABAT. MOULANA SYED HUSSEIN SHIRAZI SAHEB WILL RECITE THE SPECIAL JASHAN FOR GHAZI ALAMDAR-A-HUSAIN A.S.
BIRTHDAY CELEBRATIONS OF HAZRATH ALI A.S. WILL BE HELD ON SATURDAY APRIL 23,2016 STARTING AT 7:30 P.M. WITH ZIARATH AND DOAS. WELL KNOWN SHOARA JANAB PROF. AINUL HASAN SAHEB AND JANAB IRFAN MIR SAHEB HAVE ARRIVED TO ATTEND THIS FUNCTION. POETS OF GTA AND NORTH AMERICA ARE ALSO INVITED. NIAZ WILL BE SERVED AT THE JASHAN. AAMAAL-A-UMM-A-DAWOOD WILL BE HELD FROM ZOHRAIN PRAYERS ON SATURDAY APRIL 23, 2016 BY MOULANA SYED FARHATH HUSSAIN MOOSAVI. JASHAN OF WILADATH OF BIBI SAKINA A.S. WILL BE HELD ON THURSDAY APRIL 28, 2016 AT 7:30 P.M.
KOONDAY OF IMAM JAFAR AS-SADIQ A.S. WILL BE SERVED ON SATURDAY APRIL 30, 2016 FROM 2 TO 6 P.M.
THURSDAY AAMAAL ON MAY 5, 2016 AT 7:30 P.M. AND MAJLIS BY MOULANA MUSHTAQ HUSSAIN SHAHIDI SAHEB. JANAB ALAMDAR RIZVI SAHEB WILL RECITE THE NOAHAS. FRIDAY PRAYERS AT 1:15 PM. LED BY MOULANA MUSHTAQ HUSSAIN SHAHIDI SAHEB. MAJLIS OF SAFAR OF IMAM HUSAIN A.S. WILL BE HELD ON FRIDAY MAY 6, 2016 AT 7:30 P.M. RECITED BY MOULANA SYED HUSSEIN SHIRAZI SAHEB. JANAB ALAMDAR RIZVI SAHEB WILL RECITE THE NOAHAS. THIS IS THE START OF MASAIB OF IMAM HUSAIN A.S. AND HIS NOBLE FAMILY. MAJLIS OF SHAHADATH OF IMAM MOOSA AL-KAZIM A.S. WILL BE HELD ON MONDAY MAY 2, 2016 AT 8:00 P.M. RECITED BY MOULANA SYED FARHATH HUSSAIN MOOSAVI. MAJLIS OF WAFATH OF HAZRATH ABU TALIB A.S. WILL BE HELD ON TUESDAY MAY 3, 2016 AT 8:00 P.M. RECITED BY MOULANA SYED FARHATH HUSSAIN MOOSAVI. JASHAN OF MAYRAAJ / BAYSATH WILL BE HELD ON WEDNESDAY MAY 4, 2016 AFTER MAGHRIBAIN PRAYERS AT 8:30 P.M.
Jashan of Wiladath of Imam Mohammed al-Baqir a.s. will be held on Saturday April 9, 2016 at 7:30 p.m. and recited by Moulana Syed Farhath Hussain Moosavi. Majlis of Shahadath of Imam Ali un-Naqi a.s. will be held on Sunday April 10, 2016 at 7:30 p.m. recited by Moulana Mushtaq Hussain Shahidi Saheb. Aamaal of Shab-a-Jumah on April 14, 2016 at 7:30 p.m. and Jashan-a-Wiladath of Imam Ali-un-Naqi a.s.
by Moulana Mushtaq Hussain Shahidi Saheb. Hazari of Hazrath Abbas a.s. will be served. Jumah prayer at Husainiyah Masjid will be held on Friday April 15, 2016 at 1:30 p.m. with Moulana Mushtaq Hussain Shahidi Saheb. Jashan of Wiladath of Imam Mohammed at-Taqi a.s. will be held on Thursday April 21, 2016 at 7:30 p.m.
JASHAN-A-WILADATH HAZRATH FATIMA ZAHRA S.A.
BIRTHDAY CELEBRATIONS OF BIBI FATIMA S.A. WILL BE HELD ON MARCH 25,2016 AT 7:30 P.M.
WELL KNOWN QASIDA KHAWN AND SHOARA ARE EXPECTED TO ATTEND THIS FUNCTION. MUFASSIR-A-QURAN MOULANA MUSHTAQ HUSSAIN SHAHIDI SAHEB WILL ADDRESS THE JASHAN. PRESENCE IN THESE CELEBRATIONS OF HOLY AHL AL-BAYTH A.S. IS EXPECTED FROM ALL MOMINEEN AND MOMINATH. NIAZ WILL BE SERVED AFTER THE JASHAN. Hara Dastarkhawn of Imam Hasan a.s. will be served at Husainiyah on Saturday April 2, 2016 from 2 to 6 p.m. All the Momineen and Mominath are invited with their family and friends. MAJALIS OF HAZRATH FATIMA ZAHRA s.a.
Thursday at 7:30 p.m. recited by Moulana Syed Farhath Hussain Moosavi. Friday at 7:30 p.m. recited by Moulana Inayat Ali Shakir Saheb. Saturday at 6:30 p.m. sharp recited by Dr. Salman Turabi Saheb. Shabeeh of Tabooth will be taken out in the ladies side. Niyaz will be served after the Majalis. Please attend with family and friends on this important mourning time for condolences to Holy Ahl al-Bayth a.s.
Majlis of Eesaal-a-Sawaab on Thursday March 3,2016 at 7:30 p.m. for the well-known and respected Moulana Ather Saheb is being held at the Husainiyah, where he had recited majalis for many years and we request Momineen to attend this gathering for this major tragedy for the Momineen all over the world. Majlis of Eesaal-a-Sawaab for Moulana Hasan Jafar Naqvi Saheb, the son of Moulana Razi Jafar Naqvi Saheb will also be held at the same time. Please recite Fateha for the Marhoomeen and attend on Thursday (Shab-a-Jumah). ALLAMA DR. SAKHAWAT HUSSAIN SANDRALVI AT HUSAINIYAH FOR MAJALIS OF HAZRATH FATIMA ZAHRA s.a.
Majalis-a-Khamsa of Shahadath of Bibi Fatima Zahra s.a. will be held from Monday Feb. 22, 2016 to Friday Feb. 26, 2016 at 7 p.m. Allama Sakhawat Hussain Saheb will enumerate the excellences of most noble lady in this world and the heaven, from the Holy Quran and authentic Ahadees. The difficulties faced by the dearest person to the Holy Prophet sawas in her short life will be described in detail. Please attend regularly and get immense Sawaab and protection in this world and the hereafter from Almighty Allaah SWT. Please attend this important event with family and friends to give condolences to Holy Ahl al-Bayth a.s.
Jumayrath Aamal on Feb 18, 2016 at 7:30 p.m.
Aamaal with Soorah-a-Yaseen, Ziarath-a-Warisa and Doa-a-Kumail will be recited followed by a Majlis. Moulana Syed Farhath Hussain Moosavi will address the important topic of helping the youth to fulfill their responsibility in the changing times. Jumah prayers at Husainiyah Masjid will begin at 12:30 p.m.
MAJALIS OF HAZRATH FATIMA s.a.
Majlis of Shahadath of Bibi Fatima Zahra s.a. will be held on Sunday Feb. 21, 2016 at 7 p.m. Shabeeh of Tabooth will be taken out in the ladies side. Moulana Syed Riyaz Akber Abedi Saheb will recite the Majlis about the noble life and suffering inflicted by 'muslims' on the family of the Holy Prophet sawas. Jashan of Wiladath of Hazrath Zainab s.a. will be held at the Husainiyah on Friday Feb. 12, 2016 at 7:30 p.m.
Shoara and Manqabat Khawn of GTA will attend the Jashan IA. Jashan of Bibi Zainab s.a. will be held in the Ladies section at the same time. Please attend this important event with family and friends. will be held on Thursday Jan. 21, 2016 at 7:30 p.m.
Special function to send our congratulations to the Living Imam a.s. on this auspicious and noble occasion. Manqabat and Shairy will be recited and the life and teachings of the Imam a.s. will be presented by Moulana Syed Farhath Hussain Moosavi. Moulana Syed Farhath Hussain Moosavi will recite the Majlis about the life and achievements of the martyr for Islam and the worldwide implications of spilling the blood of an Alim dedicated to truth and justice. WILL BE HELD TO CELEBRATE THE AUSPICIOUS ZUHOOR OF THE NOOR OF THE HOLY PROPHET SAWAS AND IMAM JAFAR AS-SADIQ A.S. IN THIS WORLD WITH FULL MAGNIFICENCE, AUGUSTNESS, GLORIOUSNESS AND MAJESTY ON SATURDAY JANUARY 2, 2016 AT 7:30 P.M. WITH THE PARTICIPATION OF SCHOLARS AND POETS OF DISTINCTION. WILL BE PRESENTING HIS SPECIAL NAZRANA TO SADIQAIN A.S.
MOULANA SYED IMAM HAIDER ZAIDI SAHEB WILL RECITE THE JASHAN IN HIS EXEMPLARY MANNER. NIYAZ WILL BE SERVED AND SPECIAL TREATS FOR THE CHILDREN AND ADULTS WILL BE PROVIDED I.A. SINCERE CONDOLENCES TO HOLY AHL AL-BAYTH A.S.
Moulana Syed Imam Haider Saheb will recite Majalis from 1st to 8th Rabi-ul-Awwal (Dec. 13 to 20, 2015) at 8 p.m.
Tabooth of Imam Hasan Askari a.s. will be brought out on Friday Dec. 18, 2015. Majlis of Shahadath of 11th Imam a.s. also on Saturday Dec. 19, 2015. Speech of Moulana on Sunday Dec. 20, 2015 at 7:30 p.m.
Jashan of Eid-a-Zahra s.a. on Monday Dec. 21, 2015 at 7:30 p.m. Eid dinner will be served. Tabooth of the Holy Prophet sawas of Islam will be brought out on Thursday Dec. 10, 2015. Majlis starts at 9 p.m. and Moulana Abid Bilgrami will recite at 9:30 p.m.
Moulana Abid Bilgrami Saheb is reciting memorable Majalis from Dec. 6 to 10, 2015 at 9 p.m.
Tabooth of Imam Hasan a.s. will be brought out on Wednesday Dec. 9, 2015 and Hara Dastarkhan and Niaz will be served. Majlis starts at 9 p.m. and Moulana Abid Bilgami will recite at 9:30 p.m.
Majlis of Chehlum of Marhoom Syed Iqbal Husain Rizvi will be held on Friday Dec. 11, 2015 at 7:30 p.m. Moulana Syed Mohammed Rizvi Saheb will recite the Majlis. Allama Dr. Sakhawat Hussain Sandralwi Saheb is reciting majalis from Nov. 23rd to Dec. 2nd , 2015 at 7:30 p.m. about the Seerath of Masoomeen a.s. and their behaviour with friends and enemies. Moulana Syed Husain Shirazee Saheb will recite Majalis from Safar 21st to 23rd (Dec. 3 to 5, 2015). TABOOTH OF IMAM RAZA A.S. WILL BE TAKEN OUT IN THE MAJLIS ON SUNDAY, NOV. 29TH, 2015 AT 5:30 P.M. AFTER MAGHRABAIN PRAYERS. MAJLIS WILL START RIGHT AFTER THE JULOOS OF ARBAEEN. NIAZ WILL BE SERVED. Moulana Syed Shauzab Kazmi Jarwali Saheb is reciting majalis from Nov. 9th to 12th , 2015 at 7:30 p.m. about the Noor and Kitaab and the behaviour of the Muslims with both of them. TABOOTH OF BIBI SAKINA S.A. WILL BE TAKEN OUT IN THE LADIES ON NOV. 14, 2015 SATURDAY FOLLOWED BY SHAB BAYDARI AT 10:00 P.M.
Allama Syed Fazil Husain Mosavi Saheb will recite Majalis from 1st to 8th Safar 1437 , Nov. 13 to Nov. 20, 2015 also at the Husainiyah on Lanath in Holy Quraan and the Khutba of Ghadeer. Moulana Ghulamus Sayyedian Saheb will recite from Safar 9th to 10th. TABOOTH OF 4TH IMAM ZAIN-UL-ABIDEEN A.S. WILL BE TAKEN OUT ON NOV. 8TH SUNDAY AFTER MAJLIS AT 7:30 P.M. NIYAZ WILL BE SERVED AFTER THE MAJLIS. Moulana Syed Rais Ahmad Jarchavi Saheb is reciting Majalis till Nov. 8th, 2015 at 7:30 p.m. on the topic of the Kuffar who want to extinguish the Noor of Allaah SWT and the completion of Noor. Moharram Majalis will start from Oct. 14, 2015 at 7:30 p.m. with Yaseen, Hadees-a-Kisa with Sowz and Marsia and Allama Syed Fazil Husain Mosavi Saheb will address the Majalis at 8 p.m. as in the previous years IA. Moulana Syed Luqman Hussain Saheb will recite in the second Ashra from Moharram 13th to 20th. ALLAMA DR. SAKHAWAT HUSSAIN SANDRALWI SAHEB WAS AT THE HUSAINIYAH FOR THE MEMORABLE SHAB-A-BARATH AAMAAL AND JASHAN-A ZAHOOR PURNOOR-A-WILADATH OF IMAM-A-ZAMANA A.S. ON JUNE 2ND AND 3RD, 2015. ALLAMA DELIVERED HIS JASHAN WITH DETAILS OF THE BIRTH AND EXPECTED ZUHOOR OF THE 12TH IMAM A.S. IN HIS KNOWLEDGEABLE SPEECH AND WAS APPRECIATED BY MOMINEEN. THE FUND RAISING FOR THE LADIES SIDE OF HUSAINIYAH AZA KHANA-A-ZAHRA A.S. WAS AN ANTICIPATED SUCCESS AND WORK WILL BEGIN IMMEDIATELY I.A. This event was an amazing success with participation of many Mominath and Momineen all through the occasion and enjoyment for people of all ages. May Allaah Taala Reward the organizers, Sr. Fatima Rizvi and her dedicated team and all those who came out in large numbers, the ladies and gents and the children with family and friends and the Masoomen a.s. bless them with health and prosperity in this world and the Hereafter for helping the oldest Holy Ahl al-Bayth a.s. organization in North America established in the name of Imam Husain a.s. The stalls were nicely arranged with a lot of items and the food court had many tasty dishes eagerly finished by those who came, in spite of the other unexpected events and the funds were raised to help in the construction of Aza-Khana-a-Zahra s.a. and the noble Lady of Light Hazrath Fatima s.a. will reward everyone who sincerely helped in this fund raising effort. We will be looking forward to such events at Eid and during summer. We thank the sponsors for the unique Shabaan Jashns with exemplary praise of Holy Ahl al-Bayth a.s. and noble personalities of Holy Karbala by Allama Syed Fazil Hussain Mosavi Saheb at the Husainiyah. Holy Ramadzan program will be sent in detail soon and Moulana Syed Ahmed Raza Husaini will be performing the daily Tafseer, Holy Quran Tajweed, Jashan and Majalis. ON THURSDAY OCT 8 , 2015 WILL BE RECITED BY MOULANA MUSHTAQ HUSSAIN SHAHIDI SAHEB. SHOARA AND MANQABAT KHAWN FROM GTA AREA WILL OFFER THEIR RESPECT TO THE HOLY PANJATAN A.S.
AFTER PRAYERS AND AAMAAL, HAZARI WILL BE SERVED. MAJLIS OF SHAHADATH OF PISARAN-A-MUSLIM A.S.
Majlis will be held on Monday Oct. 5, 2015 and will start with Maghribain prayers and Doas at 7:30 p.m.
Moulana Syed Farhath Hussain Moosavi will address the majlis with the details about the beginning of the tragedy of Holy Karbala and the mentality of hatred of the hyprocites amongst the Muslims towards the Holy Prophet sawas. The importance of Tawalla and Tabarrah in the Holy Quraan and Ahadees will be analyzed with ramifications for the faith of a true Momin (momin-a-haqqah). JASHAN WILL START AT 7:30 PM WITH RECITATION OF MANQEBATS AND GTA SHOARA ALONG WITH THE GUEST SHAYER Ustad Raza Ali Khan. Moulana Syed Husain Sherazee will address the Jashan. Eid Dinner will also be served. Jumayrath Oct. 1, 2015 Aammal and Hazri with prayers at 7:30 p.m. Moulana Shahidi Saheb will address the Jashan IA about the event of Ghadeer. Friday Jumah prayers will be led by Moulana Shahidi Saheb at 1:25 p.m. on Oct. 2, 2015. Majlis of Shahadath of Imam Mohammed al-Taqi a.s. will be held on Sunday September 13, 2015 at 7:00 p.m. recited by Moulana Syed Farhath Hussain Moosavi about the noble 9th Imam a.s. and his Divine life of 25 years and Imamath of 17 years. Jashan Eid-a-Ghadeer and Eid-a-Mubahila will be held by Imam-e-Zamana Centre of West Toronto at Lions Banquet Hall on Sept. 18, 2015 at 8 p.m. addressed by Ulama and Shoara of GTA. Majlis a Isal-e-Sawaab for Marhooma Samina Moosavi binte Syed Abbas Hussain Moosavi wife of Mir Fiaz Ali Khan will be held at Husainiyah on Saturday Sept. 19, 2015 at 7 p.m.with Quran Khwani , Prayers, Marsiya and Hadees by Moulana Syed Ahmed Raza Husaini Saheb followed by Niyaz. Majlis of Shahadath of Hazrath Muslim a.s. will be held on Tuesday Sept. 22, 2015 at 7:35 p.m with Namaz of Maghribain. Aamaal of Shab-a-Eid on Wednesday Sept. 23, 2015 at 7:30 p.m.
Jumayrath Sept. 24, 2015 Aammal and Hazri with prayers at 7:30 p.m.
Friday Jumah prayers will be led by Moulana Shahidi Saheb at 1:25 p.m. on September 25, 2015. Second Namaz at 10:00 a.m. and third at 11:00 a.m.
Jumayrath Aamaal will start on Thursday September 10, 2015 at 7:30 p.m. with prayers and speech by Moulana Mushtaq Hussain Shahidi Saheb about Dahwul Ardz. The attendance at the Husainiyah has increased since the Holy Month and indicates the effect of the Blessings of prayers and fasting. Holy Ramadzan fund is open for final contributions and we need to pay the bills and other expenses.Holy Ramadzan fund is open for final contributions and we need to pay the bills and other expenses. DONATIONS FOR THE CONSTRUCTION HAVE BEEN PLEDGED ON THE HAPPIEST OCCASION FOR MOMINEEN AND MOMINATH IN THE JASHAN FOR IMAM MAHDI A.S. PLEASE SEND THE PLEGDED AMOUNT OF $1000 FOR EACH MUSALLA AS THE RENOVATION IS STARTING SOON. DONATIONS FOR THE CONSTRUCTION HAVE BEEN PLEDGED ON THE HAPPIEST OCCASION FOR MOMINEEN AND MOMINATH IN THE JASHAN FOR IMAM MAHDI A.S.
Moulana Syed Ahmad Raza Hussaini Saheb has been at the Husainiyah for the Holy Month for Jashan/Majalis and conducting workshops for Prayers, Tajweed, Holy Quraan and Doas recitation. The functions were well attended and the Husainiyah was overflowing on important nights. Daily program starts with Holy Quran recitation at 7:30 pm, Urdu lecture till Maghrib followed by Iftar and Dinner and then a brief Question/Answer session in Urdu/English. This program is being held at the Husainiyah regularly for many years with appreciation and success. Jamath prayers are being held at Fajr, Zohrain and Maghribain times at Husainiyah Masjid. Husainiyah Management and the sponsors personally invite you and request all the Momineen and mominath for their kind attendance with family and friends for the Daily Iftar and Dinner from June 18, 2018 till the end of the Holy Month. Majlis of Wida of Holy Month and Khatam-a-Quran will be held on Wednesday July 15, 2015 at 8 p.m. Depending on the sighting of the new moon, if the Eid is on Friday the prayers will be held at 8 a.m. and 9:30 a.m. and there will be an Eid dinner on Friday. If the Eid is on Saturday the Eid prayers will be at 8:30 a.m. and 10 a.m. IA. Moulana Syed Ahmad Raza Hussaini Saheb will lead the Eid prayers at the Husainiyah. The calendar for the activities of this Holy Month has been published and available. Majlis of Yaum-a-Zarbath on July 6, 2015. at 8 p.m.
Majlis of Shab-a-Shahadath on July 7, 2015 and Aamaal. Majlis of Shahadath on July 8, 2015. Procession will be at Milliken Mills at 5 p.m.
Aamaal of Shab-a-Qadr on July 9, 2015. Jashan Imam Hasan a.s will be on July 2, 2015 at 8 p.m. recited by Moulana Syed Ahmad Raza Husaini Saheb. The Tabooth of Hazrat Bibi Khadija s.a. will be brought out on Friday June 26, 2015 in the ladies side. The well-known Manqabet Khawn Janab Sayyed Zaire Naqvi Saheb will be reciting at the Husainiyah on July 3, 2015 at 8 p.m. Iftaar and Dinner will be served after Maghribain prayers at 9:19 p.m.
FOR THE SHAB-A-BARATH AAMAAL AND JASHAN-A ZAHOOR PURNOOR-A-WILADATH OF IMAM-A-ZAMANA A.S.
SHAB-A-BARATH AAMAAL ON TUESDAY JUNE 2, 2015 WILL BEGIN WITH MAGHRABAIN PRAYERS AND ISTEGHASA-A-IMAM AL-ASR A.S. WITH DUAS WITH THE NOBLE NAMES OF IMAM AL-MAHDI A.S.
JASHAN-A-WILADATH OF IMAM SAHEB-AZ-ZAMAN A.S. WILL BE ON WEDNESDAY JUNE 3, 2015 AT 7:30 P.M. WITH MANQABATH, SHAIRY, PRAYERS AND SPECIAL ADDRESS BY ALLAMA DR. SAKHAWAT HUSSAIN SAHEB. ALL THE MOMINEEN AND MOMINATH ARE REQUESTED TO ATTEND. Neema-a-Shabaan Annual Qadeem Celebration of the Birth of Imam-a-Zamana a.s. is recited by Allama Dr. Sakhawat Hussain Saheb for more than 20 years with Special Nazr and Niaz. Please attend in large numbers to obtain the Maarifah of the Living Imam a.s. and to prepare for his Reappearance I.A. at this juncture. Sunday May 31, 2015 3 to 8 p.m. Please call Sr. Fatima at (905) 940-4585 for booking stalls. This will be a special event in Toronto with many activities and items for Mominaath to take part in with expected large attendance in the newly renovated premises of Husainiyah Masjid where prayers for ladies is also starting shortly I.A. Kids activities have also been planned with food court of special and unique dishes from many countries for a noble cause. Please see/click the flyer on the left for details. We expect Mominath and Momineen to attend in large numbers as this is a unique function held in Toronto on Sunday May 31, 2015. Jumah Salath will be led by Moulana Mushtaq Hussain Shahidi Saheb on Friday May 15, 2015 at 1:20 p.m.
JASHAN OF MAYRAAJ AND BAYSATH WILL BE HELD ON SATURDAY MAY 16, 2015 AT 7 P.M. FOLLOWED BY MAGHRABAIN PRAYERS AND MAJLIS OF SAFAR-A-IMAM HUSAIN A.S. TOWARDS KARBALA AFTER MAGHRIB AT 9 P.M. ADDRESSED BY MOULANA SYED FARHATH HUSSAIN MOOSAVI. THURSDAY MAY 21, 2015 7 P.M. JASHAN-A-WILADATH OF HAZRATH BIBI ZAINAB S.A.
FRIDAY MAY 22, 2015 8 P.M. ZUHOOR A PURNOOR WILADATH OF IMAM HUSAIN A.S.
SATURDAY MAY 23, 2015 8 P.M. WILADATH OF HAZRATH GHAZI ABBAS A.S.
SUNDAY MAY 24, 2015 7 P.M. ZUHOOR A PURNOOR WILADATH OF IMAM ZAINUL ABIDEEN A.S. Please attend on time for the celebrations of the highly honourable personalities of Karbala with family and friends. Allama Saheb will be addressing the Jashans in his unique knowledgeable manner. Memorable Jashan with Janab Mir Hasan Mir at Husainiyah was celebrated with amazing response and peak attendance of the Momineen and Mominath of GTA. We thank Mir Hasan Mir Saheb for completing his tour of Canada with the Hazari at Husainiyah Masjid and pray for his health and safety and for his family and friends. TABOOTH OF IMAM MOOSA AL-KAZIM A.S. AND MAJLIS OF WAFATH OF HAZRATH ABU TALIB A.S. ON THURSDAY MAY 14, 2015 WILL BE HELD AT 8:00 P.M. ADDRESSED BY MOULANA MUSHTAQ HUSSAIN SHAHIDI SAHEB. Koonday (Sufra) of Imam Jafar as-Sadiq a.s. on Sunday, May 10, 2015. AMAL-A-UMM-A-DAWOOD will be held at the Husainiyah on Monday May 4, 2015 from 2 p.m. till Maghribain prayers followed by Iftaar. This Amal is well-known for immediate results by personal experience of Ulama and Momineen. Jashan Zuhoor a Noor of Imam Mohammed al-Taqi a.s. will be on Wednesday April 29, 2015 at 7:30 p.m. recited by Allama Sakhawat Huusain Saheb about the piety of 9th Imam a.s.
Jumayrath program with Dr. Allama Sakhawat Hussain Saheb will begin at 7 p.m. on Thursday April 30, 2015 with Aamaal, prayers and Speech on the Importance of the month of Rajab al-Murajjab. Jashan-a-Mawlood-a-Kaaba Hazrath Ali a.s. will be held in the magnificent and memorable Noble atmosphere of the Husainiyah Masjid on Friday May 1, 2015 at 7 p.m. sharp. Niyaz will be served before the Jashan on May 1, 2015. Aza Khana-a-Zahra s.a. will be inaugurated on this noble date. Jumah Salath will be led by Allama Sakhawat Hussain Sandralwi Saheb on Friday May 1, 2015 at 1:20 p.m.
Poets from overseas will be attending the Jashan-a-Mawlood-a-Kaaba a.s. on Friday May 1, 2015. Janab Mir Hasan Mir will recite poetry IA. xNawchandi Jumayrath Aamaal will start on Thursday April 23 2015 at 7:30 p.m. with prayers and speech by Moulana Mushtaq Hussain Shahidi Saheb on the Wiladath of Imam Ali un-Naqi a.s.
Eid Mubarak for the Zuhoor of Noor of Imam Mohammed al-Baqir a.s. on 1st Rajab (April 20, 2015) Please recite the Ziarath of 5th Imam a.s. and 2 Rakat Namaz for Ziarat. Hara Dastarkhawn of Imam Hasan a.s. will be served at Husainiyah on Sunday April 12, 2015 from 2 to 6 p.m. All the Momineen and Mominath are invited with their family and friends. JASHAN FOR ZUHOOR OF HAZRATH FATIMA S.A. WILL BE ON FRIDAY APRIL 10, 2015 AT 7:30 P.M. with Qaseedas and Manqabath about the Noble Lady of Light s.a.
MAJALIS FOR HAZRATH FATIMA S.A. FROM TUESDAY MARCH 24 TO THURSDAY MARCH 26, 2015 AFTER MAGHRIBAIN PRAYERS. Niyaz will be served on Wednesday and Thursday. TABOOTH ON THE LADIES SIDE ON THURSDAY MAR 26, 2015. Jumah Salath will be led by Allama Fazil Mosavi Saheb on Friday March 20, 2015 at 1:25 p.m.
Majalis of the shahadath of Hazrath Fatima Zahra s.a. will be held from Wednesday, March 4 to Sunday, March 8, 2015 at 7:30 p.m.
Tabooth will be taken out on Saturday March 7, 2015 in the ladies side. Niaz will be served on March 6 and March 7, 2015. Jumah Salath will be led by Allama Fazil Mosavi Saheb on Friday March 6, 2015 at 12:30 p.m. NOTE :- THE DATES HAVE BEEN MOVED DUE TO THE TRAVEL ARRANGEMENTS OF ALLAMA FAZIL MOSAVI SAHEB. SATURDAY FEB. 21, 2015 AT 7:30 P.M.
Moulana Mushtaq Hussain Shahidi Saheb will recite the Jashan. Niaz will be served after the Jashan. FOR LADIES WILL ALSO BE HELD ON FEB. 21 AT 7:30 P.M. IN THE LADIES SECTION. Jumayrath Aamaal will be on Thursday Feb. 19 at 7:30 p.m.
Jumah Salath will be led by Moulana Mushtaq Hussain Shahidi Saheb on Friday Feb. 20, 2015 at 12:30 p.m.
Marhooma Raza bano Binte Iqbal Hussain will be held at the Husainiyah on Saturday Feb. 7, 2015 at 7p.m. Allama Syed Javed Jafri Saheb will address the majlis. Niaz will be served after the Majlis. RENOVATIONS ON THE LADIES SIDE - AZA-KHANA-A-ZAHRA S.A. YOUR GENEROUS DONATIONS ARE REQUESTED. We are thankful for the Momineen and Mominath for their co-operation for the construction on the ladies side. Some of the items in kitchen and electrical work has been sponsored already. We need to get donors for the Musalla, roof and tiles, electrical lights, heating and AC, sprinklers, kitchen hood and fan, carpet , doors and final finishing. Please contact volunteers for this noble cause. We need 100 families to make $60 monthly donation to cover expenses and we have about 25 at present. Please join us soon by contacting 905-471-4180 or 416-988-8166 to support the Husainiyah Masjid / Azakhana Zahra s.a. Imambargah in any monthly donation starting from $15 per month. Please contribute in the Musalla program of $1000 and monthly donation for Masjid/Imambargah maintenance by providing void cheque or credit/debit card number for deduction on the 5th of every month. The current expenses of $6000 can be covered by 100 families by donating $60 per month ($2 per day only). We are thankful to the Momineen for attending the memorable spiritual programs for 2 months and 8 days and the Eid-a-Nahum and their support of the Noble cause. Please watch the earlier functions on syed2841 on youtube OR G + Alimraza on Google . Many Momineen have accepted the enrollment/membership of the foremost organization of North America providing Majalis by the best scholars and useful literature since 1968. Please provide a void cheque for deductions on the 5th of every month IA. Qarza-a-Hasanah and Khums cheques to I.H.A. can be handed over to the Management. Shukriya. WE PRAY FOR THE SAFETY OF SHIAHS OF HOLY PROPHET SAWAS AND MASOOMEEN A.S. ALL OVER THE WORLD ESPECIALLY MALAYSIA, INDONESIA, PAKISTAN, SYRIA, IRAQ, EGYPT, BAHRAIN AND HIJAZ. PLEASE PROVIDE THE BANK DETAILS FOR MONTHLY CONTRIBUTION OF $15 PLEDGED OR PROVIDE A VOID CHEQUE OR CREDIT/DEBIT CARD NO. PLEASE SUPPORT THE NOBLE CAUSE OF PAYING OFF THE LOANS AT HUSAINIYAH THROUGH KHUMS AND QARZA-A-HASANAH AND PREPARE FOR THE EXPANSION AND RENOVATION IA. BOOKS ARE TO BE PUBLISHED IA. PRESENTING THE TRUE IDEOLOGY OF ISLAM AND REFUTING THE FALSE ACCUSATIONS AGAINST THE TRUTH. RENOVATIONS WILL START SOON AS DRAWINGS HAVE BEEN OBTAINED - PLEASE CONTRIBUTE FOR A NICE HUSAINIYAH FOR OUR LIVING IMAM A.S. PLANS FOR THE CHANGES ARE AVAILABLE WITH THE MANAGEMENT VOLUNTEERS. WE NEED TO RETURN QARZA NOW AND THIS IS A NOBLE OPPORTUNITY TO JOIN THE 313 FORTUNATE MOMINEEN AND MOMINAATH TO CONTRIBUTE $1000 AS QARZA-A-HASANAH FOR A YEAR AND TO PAY OFF THE LOAN. 313 WILL BE THE COMPANIONS OF IMAM-A-ZAMANA A.S. AND IS THE NUMBER OF THOSE PRESENT AT BADR WITH THE HOLY PROPHET SAWAS. PLEASE MAKE CHEQUES PAYABLE TO I.H.A. AND PASS IT TO THE VOLUNTEERS. WE HAVE ABOUT 35 PLEDGES AT THIS TIME. THIS IS NOT A DONATION BUT LOAN WITHOUT INTEREST FOR A SPECIFIC TIME AND IT WILL BE RETURNED AFTER 6 MONTHS OR A YEAR IA. EARLIER MAJALIS ARE AVAILABLE FROM YOUTUBE SYED2841 OR G+ALIMRAZA. LINK 2 IS AVAILABLE FOR ONLINE VIEWING WHEN LINK 1 IS BUSY AND HAS EXCEEDED THE VIEWERS. PLEASE DONATE TO ADD SERVERS FOR LARGER NUMBER OF MOMINEEN TO SEE THE MAJALIS. 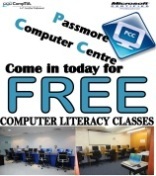 COMPUTER LITERACY CLASS WILL BE FROM APRIL 2014 - PLEASE REGISTER FOR THE COURSE WITH PCC - FREE EDUCATION FOR THE COMMUNITY IN COMPUTER USAGE, INTERNET ACCESS AND USEFUL WEBSITES - GENERAL AND ISLAMIC INFORMATION FOR ALL. GOOD OPPORTUNITY TO INCREASE YOUR IT KNOWLEDGE AND MOVE AHEAD IN THE CAREER. FREE COMPUTER CHECK-UP IS AVAILABLE FOR ESTIMATES OF REPAIRS FOR YOUR PCS AND LAPTOPS. May Allaah Taala Give us the Tawfeeq to preach the true Islaam at the Husainiyah, which has been established with the Special Indication of the Present and Living Imam a.s. Let us all join hands to pay-off the Loans and Present this Gift to Imam Husain a.s. for his a.s. noble sacrifice of family and companions. To receive E-mail of programs please send your E-mail address to the webmaster at 'Contact Us'. Nawchandi Jumayrath Aamaal on Thursday Jan. 29, 2015 at 7:30 p.m. Speech by Moulana Mushtaq Hussain Shahidi Saheb. Jumah prayers on Friday January 30, 2015 led by Moulana Shahidi Saheb at 12:29 p.m.
Registrations will open for KG to Grade 6 and school will start as soon as classes are filled in the FIRST ONTARIO CERTFIED Shia School in Scarborough/Markham area. Enroll your children and teens to provide the best Education in an Islamic environment. Private school education improves chances for an excellent career. Please contribute your Khums as IJAZA for using the Khums for this noble purpose has been received from Ayatullah al-Uzma Agha Sistani Saheb. Daycare admissions will open at Al-Ali School. Enroll your children from KG to Grade 6 for excellent Ontario Curriculum education and religious teaching and environment for protection and safety of your young children. It is important to provide the children a unique Islamic environment. Please support the school to fulfill the obligation of training our children, the Amanath of Imam-a-Zamana a.s. We have a subsidy program so that everyone interested can send their children without too much difficulty of fees or transportation. Imam Amir-ul-Mu'mineen Ali (as) said: "The most beloved deed on the earth with Allah (swt), Almighty & Glorious, is invocation, and the best worship is modesty and piety." Jashan of Wiladath of Hazrath Bibi Umm-a-Kulsoom S.A. was on Jan 9, 2015. Allama Dr. Sakhawat Hussain Saheb was reciting Melaad-un-Nabi and Jashan-s-Sadeqain on Jan 8, 2015. Allama Dr. Sakhawat Hussain Saheb was in Toronto for the Azakhana Zahra S.A. Project at Husainiyah on Jan 8 and 9, 2015. Tabooth of Holy Prophet S.A.W.A.S. was brought out on Sunday Dec 21, 2014. Tabooth of Imam Hasan A.S. was brought out on Saturday Dec 20, 2014. Hara Dastakhawn Niaz was served. Maulana Syed Ahmad Raza Husaini was reciting the Majalis from Dec 17 to Dec 21, 2014. Tabooh of Hazrat Zainab S.A. was brought out in the Ladies section on Dec 17, 2014. Maulana Syed Ijmal Asghar Naqvi was reciting the Majalis from Dec 14 to Dec 16, 2014. Allama Dr. Sakhawat Hussain Sandralwi Saheb was at Husainiyah from Dec 8 to Dec 13, 2014. Arbaeen Majalis program was on Saturday Dec 13, 2014 with Aamaal at 11 a.m.
Zohrain Prayers at Fazilat time. Majalis started after prayers. Moulanda Syed Ijmal Asghar Naqvi Saheb was reciting the Majalis from Dec 6, 2014 at 8:00 p.m.
Dr. Payam Azmi Saheb was reciting the Majalis from Dec 4, 2014 at 8:00 p.m.
Moulana Syed Aoun Naqvi Saheb was reciting the Majalis from Dec 1, 20214 at 8:00 p.m.
Maulana Syed Fazil Mosavi was reciting the Majalis from Nov 24, 2014 at 8:00 p.m.
Shab-Badari for youth was on Nov 22, 2014 at 10:00 p.m. after the Majalis. Maulana Ghulam-us-Sayyedain was reciting the 3 Majalis from Nov 21, 2014 at 8:20 p.m.
Maulana Syed Luqman Moosavi was reciting the Majalis from Nov 14, 2014 at 8:30 p.m.
Maulana Syed Rais Ahmad Jarchawi Saheb was reciting the Majalis from Nov 7, 2014 at 8:00 p.m.
Maulana Shauzab Kazim Jarwali (Son of Moulana Tahir Jarwali Marhoom , the famous Zakir of Lucknow) was reciting the Majalis for the first Ashra. English speech was held at 8:30 p.m. followed by the Urdu Zakiry IA. EID AL-MUBAHELA PROGRAM WAS HELD AT HUSAINIYAH MASJID ON SATURDAY OCT. 18, 2014 AT 6:45 P.M. WITH MOULANA SYED HUSSAIN SHIRAZEE SAHEB AND POETRY BY GTA SHOARA. EID AL-GHADEER PROGRAM AND INAUGURATION OF THE MASJID WAS HELD AT HUSAINIYAH MASJID ON SUNDAY OCT. 12, 2014 AT 7 P.M. WITH ALLAMA DR. SAKHAWAT HUSSAIN SANDRALWI ARRIVING FOR THE SPECIAL OCCASION. GUEST SHOARA JANAB REHAN AZMI SAHEB, JANAB HASAN ABBAS AHSAN AND JANAB SHAEQ HUSSAIN SAHEB WAS RECITING WITH THE GTA SHOARA. EID AL-ADZHA (BAQ'R-EID) PRAYERS WAS HELD AT HUSAINIYAH MASJID EXACTLY AT 9 A.M. LED BY MOULANA MUSHTAQ HUSSAIN SHAHIDI SAHEB. THE WHOLE MASJID WAS FULL AND THE EXCITEMENT OF HOLDING THE EID PRAYERS IN THE MASJID WAS EVIDENT. MOMINEEN WERE HAPPY TO HAVE THE 5 DAILY PRAYERS IN JAMATH, WHICH IS RARE AND UNIQUE IN NORTH AMERICA A.H.
MASJID PROJECT AT HUSAINIYAH IS NEARING COMPLETION A.H. AND A MUSALLA CAN BE DONATED FOR $1000 BY CONTACTING MUTAWALLI BR. JAFAR JAFRI SAHEB AT 416-568-2642 TO PAY-OFF THE SHORTFALL. MOMINEEN CAN JOINTLY DONATE A MUSALLA AND CAN PAY IN 2 INSTALLMENTS BY CHEQUE, CASH OR CARDS. JUMAYRATH AAMAAL ON THURSDAY OCT. 9, 2014 AT 7 P.M. AND JASHAN OF ZAHOOR OF IMAM ALI UN-NAQI A.S. BY MOULANA MUSHTAQ HUSSAIN SHAHIDI SAHEB. JUMAH PRAYERS IN HUSAINIYAH MASJID AT 1:15 PM LED BY MOULANA MUSHTAQ HUSSAIN SHAHIDI SAHEB. MASJID PROJECT AT HUSAINIYAH HAS STARTED AND A MUSALLA CAN BE DONATED FOR $1000 BY CONTACTING MUTAWALLI BR. JAFAR JAFRI SAHEB AT 416-568-2642 OR ANY MEMBER OF MASJID COMMITTEE. MOMINEEN CAN JOINTLY DONATE A MUSALLA AND CAN PAY IN 2 INSTALLMENTS BY CHEQUE, CASH OR CARDS. NAWCHANDI JUMAYRATH AAMAAL ON THURSDAY OCT. 2, 2014 AT 7:15 P.M. AND MAJLIS OF SHAHADATH OF IMAM MOHD. AL-BAQIR A.S BY MOULANA MUSHTAQ HUSSAIN SHAHIDI SAHEB. EESAAL-A-SAWAB FOR SYED WAFI AHMED SAHEB MARHOOM. JUMAH SALATH CONDUCTED BY MOULANA MUSHTAQ HUSSAIN SHAHIDI SAHEB ON OCT. 3 AT 1:25 P.M. IN THE NEW MASJID AREA I.A. MAJLIS FOR SHAHADATH OF HAZRATH MUSLIM IBN-AQEEL A.S. BY MOULANA MUSHTAQ HUSSAIN SHAHIDI SAHEB ON FRIDAY OCT. 3 AT 7:15 P.M.
SHAB-A-EID AL-ADZHA AAMAAL AT HUSAINIYAH MASJID WILL START ON SATURDAY OCT 4 AT MAGHRIBAIN 7:15 PM CONDUCTED BY MOULANA SYED FARHATH HUSSAIN MOOSAVI. EID AL-ADZHA (BAQ'R-EID) PRAYERS AT HUSAINIYAH MASJID WILL START ON SUNDAY OCT 5 AT 9 A.M. BY MOULANA MUSHTAQ HUSSAIN SHAHIDI SAHEB. JUMAYRATH AAMAAL ON THURSDAY SEP. 25, 2014 AT 7:30 P.M. AND JASHAN AQD OF HAZRATH ALI A.S. AND HAZRATH FATIMA S.A. BY MOULANA MOOSAVI AND MOULANA MUSHTAQ HUSSAIN SHAHIDI SAHEB. JUMAYRATH AAMAAL ON THURSDAY SEP. 18, 2014 AT 7:30 P.M. AND MAJLIS OF SHAHADATH OF IMAM RAZA A.S. BY MOULANA MUSHTAQ HUSSAIN SHAHIDI SAHEB. MATAMDARI WILL START AFTER MAJLIS. NAWCHANDI JUMAYRATH AAMAAL ON THURSDAY AUG. 28, 2014 AT 7:30 P.M. AND JASHAN OF BIRTHDAY OF MASOOMA-A-QUM S.A. BY MOULANA MUSHTAQ HUSSAIN SHAHIDI SAHEB. SPECIAL LECTURE BY AGHA AMEEN JAFFARI ON TUESDAY AUG. 26, 2014 AT 7 P.M. ON "PROBLEMS OF YOUTH IN SOCIETY" AT HUSAINIYAH. PLEASE ATTEND IN LARGE NUMBERS FOR THIS IMPORTANT EVENT WITH YOUR FAMILY AND YOUNGSTERS. MAJLIS SOYEM OF MARHOOMA ZAHIDA ALI BINTE QASIM ALI KHAN MARHOOM ON THURSDAY AUG. 21, 2014 AT 7 P.M. WITH MAJLIS BY MOULANA HUSSAIN SHIRAZI SAHEB FOLLOWED BY TABARRUK AND HAZARI OF HAZRATH ABBAS A.S.
AN IMPORTANT UPDATE AND REPORT ON HUSAINIYAH MASJID PROJECT WILL BE PRESENTED TO THE MOMINEEN IN THE PRESENCE OF THE ULAMA OF GTA ON SUNDAY AUG. 17. 2014. PROGRAM WILL BEGIN AT 5 P.M. WITH DARS-A-QURAN, MAJLIS OF 6TH IMAM A.S. BY ALLAMA DR. SAKHAWAT HUSSAIN SAHEB AT 6 P.M. FOLLOWED BY START OF THE MASJID PROJECT DETAILS. MOULANA MUSHTAQ HUSSAIN SHAHIDI SAHEB WILL RECITE THE MAJLIS AT 8:20 P.M.
MAJLIS DESTRUCTION (INHEDAM) OF JANNAT-UL-BAQEEH ON SUNDAY AUGUST 3, 2014 AT 6 P.M.
ALLAMA SYED IMAM HAIDER SAHEB WILL RECITE THE SPECIAL MAJLIS ABOUT THE MASAIB OF HOLY AHL AL-BAYTH A.S. AT THIS TRAGIC EVENT. PLEASE ATTEND IN LARGE NUMBERS TO GIVE CONDOLENCES TO THE HOLY PROPHET SAWAS ON THIS TRAGEDY FOR THE NOBLE FAMILY AND COMPANIONS. WE JOIN THE PROTESTS BEING HELD ALL OVER NORTH AMERICA AND UNIVERSALLY ON THIS IMPORTANT OCCASION. EID PRAYERS AT 8:30 A.M. SECOND PRAYER IS AT 9:30 A.M. DOA-A-NUDBA STARTS AT 8 A.M.
Fitra is set at $8 and recommended to pay $10 as a precaution to cover personal habits of consuming food. ALLAMA SAKHAWAT HUSSAIN SANDRALVI SAHEB WILL CONDUCT THE PRAYERS AT HUSAINIYAH. MASJID PROJECT AT HUSAINIYAH HAS STARTED AND MUSALLA CAN BE DONATED FOR $1000 BY CONTACTING MUTAWALLI BR. JAFAR JAFRI SAHEB. Jumah Salath on Friday July 11, 2014 at 1:30 p.m. will be led by Allama Sakhawat Hussain Saheb with 2 Khutbas about piety and the current events as related to Imam Mahdi a.s. Please attend with family and friends and get the blessings at the Husainiyah established on the indication of Imam Mahdi a.s. This is a personal invitation to all the Momineen and Mominaath of GTA and elsewhere from the Trustees of Imam Husain a.s. Association. FAJR - 4:10 A.M., ZUHRAIN - 1:30 P.M., HOLY QURAN TAFSEER - 7 P.M., SPEECH 8 P.M., MAGHRIBAIN 9:10 P.M., IFTAAR 9:25 P.M., DUA-A-IFTITAH 10 P.M., QUESTION AND ANSWER SESSION 10:15 P.M.
TABOOTH MAJLIS SATURDAY JULY 19, 2014 WILL START AT 7:30 P.M.
SPECIAL SHAB-A-QADR AAMAAL AT HUSAINIYAH ON SUNDAY JULY 20, 2014 WILL START AT 10 P.M.
ALLAMA SAKHAWAT HUSSAIN SANDRALVI SAHEB WILL CONDUCT THE AAMAAL TILL SAHR TIME. SAHR WILL BE SERVED AFTER THE AAMAAL. MASJID PROJECT AT HUSAINIYAH HAS STARTED AND WE NEED CO-OPERATION OF EVERY MOMIN AND MOMINAH. AAMAAL OF NEEMA-A-SHABAN , 15TH NIGHT WILL START AFTER MAGHRIBAIN AND THURSDAY PROGRAM. ALL THE MOMINEEN SHOULD BENEFIT FROM THIS IMPORTANT NIGHT IA. AAMAAL WILL START AFTER 10:30 PM WITH DUAS, PRAYERS AND ZIARAATH AS MANY IMPORTANT MATTERS RELATED TO EACH MOMIN ARE DECIDED TONIGHT. NAWCHANDI THURSDAY AAMAAL ON JUNE 5, 2014 WILL START AT 7:30 PM WITH DOAS AND JASHAN OF WILADATH OF HAZRATH QASIM A.S. BY MOULANA MUSHTAQ HUSSAIN SHAHIDI SAHEB. Jumah Salath on Friday June 6, 2014 at 1:30 p.m. will be led by Moulana Mushtaq Hussain Shahidi Saheb. We are thankful to the Momineen for attending the memorable spiritual programs and their support of the Noble cause. Please watch the earlier functions on syed2841 on youtube OR G + Alimraza on Google . ALLAMA DR. SAKHAWAT HUSAIN SANDRALVI WILL RECITE THE JASHAN OF IMAM HUSAIN A.S., HAZRATH ABBAS A.S. AND IMAM ZAINUL ABIDEEN A.S. ON FRIDAY MAY 30, 2014 AT 7 P.M. AGHA SAROSH WILL RECITE MANQABAT AND QASEEDA DURING THESE FUNCTIONS I.A. ALLAMA DR. SAKHAWAT HUSAIN SANDRALVI WILL RECITE THE MAJLIS OF HAZRATH ABU TALIB A.S. ON MONDAY MAY 26, 2014 AT 7 P.M. MAJLIS WILL FINISH AT MAGHRIB PRAYERS. AGHA SAROSH WILL RECITE SALAAM AND SOZ. JASHAN OF MAYRAAJ AND BAYSATH OF THE HOLY PROPHET SAWAS AT HUSAINIYAH ON TUESDAY MAY 27, 2014 AT 7 P.M. WILL BE RECITED BY ALLAMA SAKHAWAT SAHEB AND AGHA SAROSH WILL PRESENT QASEEDA AT THIS SPECIAL OCCASION. MAJLIS OF SAFFAR OF IMAM HUSAIN A.S. TOWARDS KARBALA WILL BE ON WEDNESDAY MAY 28, 2014 AT 7 P.M.
ALLAMA DR. SAKHAWAT HUSAIN SANDRALVI WILL RECITE THE JASHAN OF BIBI ZAINAB S.A ON THURSDAY MAY 29, 2014 AT 7 P.M. AGHA SAROSH WILL RECITE MANQABAT AND QASEEDA DURING THESE FUNCTIONS I.A. Jumayrath Aamaal on May 29, 2014. Hadees-a-Kisa, Dua-a-Kumail and Ziarath of Imam Husain a.s. Nazr of Hazrath Abbas a.s. and Haziri will be served after Aamaal. Jumah Salath on Friday May 30, 2014 at 1:30 p.m. will be led by Allama Dr. Sakhawat Hussain Sandralvi Saheb. ALLAMA DR. SAKHAWAT HUSAIN SANDRALVI WILL RECITE THE MAJLIS OF IMAM MOOSA AL-KAZIM A.S. ON SUNDAY MAY 25, 2014 AT 7 P.M. WELL-KNOWN POET AGHA SAROSH HAS BEEN INVITED FOR MAJLIS AND JASHAN MAHAFIL AT HUSAINIYAH. NAZAR OF IMAM JAFAR AS-SADIQ A.S. (KOONDAY) WILL BE ON THURSDAY MAY 22, 2014 FROM 6 P.M. AND ALL THE MOMINEEN WITH FAMILY AND FRIENDS ARE INVITED TO PARTICIPATE. JASHAN OF MAWLOOD-A-KAABA HAZRATH IMAM ALI A.S.
JASHAN OF ZUHOOR OF HAZRATH IMAM ALI A.S. AT HUSAINIYAH ON FRIDAY MAY 16, 2014 AT 7 P.M. MOHAMMED ALI RAZVI WAFA SAHEB OF INDIA WILL RECITE IN HIS SPECIAL MANNER WITH POETS AND QASEEDA KHAWN OF GTA. NIAZ WILL BE SERVED AT THE BEGINNING OF THE PROGRAM. JASHAN OF ZUHOOR OF HAZRATH IMAM MOHAMMED AT-TAQI A.S. AT HUSAINIYAH ON THURSDAY MAY 8, 2014 AT 7:30 P.M. MOULANA MUSHTAQ HUSSAIN SHAHIDI SAHEB WILL RECITE THE JASHAN WITH POETS AND QASEEDA KHAWN OF GTA RECITING THE SUBLIME IDEALS OF THE 9TH IMAM A.S.
Hadees-a-Kisa, Dua-a-Kumail and Ziarath of Imam Husain a.s. Nazr of Hazrath Abbas a.s. and Haziri will be served after Aamaal. Aamaal of Lailatul Raghaib - First Thursday of Rajab between Maghribain prayers and Nawchandi Aamaal will be performed IA. MAJLIS OF SHAHADATH OF IMAM ALI UN-NAQI A.S. WILL BE HELD ON FRIDAY MAY 2, 2014 AFTER MAGHRIBAIN PRAYERS. A SPECIAL MEETING TO FINALIZE THE DESIGN FOR RENOVATIONS OF THE HUSAINIYAH WILL BE HELD ON SUNDAY MAY 4, 2014 AT 6 P.M. FOLLOWED BY JASHAN OF ZUHOOR OF IMAM ALI UN-NAQI A.S.
JASHAN OF ZUHOOR OF HAZRATH IMAM MOHAMMED AL-BAQIR A.S. AT HUSAINIYAH ON THURSDAY MAY 1, 2014 AT 7:30 P.M. MOULANA MUSHTAQ HUSSAIN SHAHIDI SAHEB WILL RECITE THE JASHAN WITH POETS AND QASEEDA KHAWN OF GTA RECITING THE EXCELLENCE OF THE 5TH IMAM A.S.
We are thankful to the Momineen and Mominaath for an excellent Jashan and Hara Dastarkhwan and appreciate the co-operation. Moulana Mehboob Mehdi Saheb delivered a memorable well informed speech on Hadees-a-Kisa and the Niaz for Imam Hasan a.s. was attended by hundreds of youth and adult Momineen A.H.
JASHAN OF ZUHOOR OF HAZRATH FATIMA S.A. AT HUSAINIYAH ON APRIL 19, 2014 AT 7:30 P.M.
MOULANA SYED MEHBOOB MEHDI ABIDI SAHEB WILL RECITE THE MEMORABLE JASHAN WITH SHOARA AND QASEEDA KHAWN OF GTA. Niaz will be served. DASTARKHAN OF IMAM HASAN A.S. (HARA DASTARKHWAN) WILL BE HELD ON SUNDAY APRIL 20, 2014 FROM 2 TO 6 P.M.
MAJALIS OF HAZRATH FATIMA S.A. AT HUSAINIYAH FROM APRIL 2, 2014 TO APRIL 4,2014 AT 7:30 P.M.
Nawchandi Jumayrath Aamal on APRIL 3,2014 AT 7:30 P.M.
TABOOTH OF HAZRATH FATIMA S.A. WILL BE BROUGHT IN THE LADIES SIDE ON FRIDAY APRIL 4, 2014. NIAZ WILL BE SERVED AFTER MAJLIS. MAJALIS OF HAZRATH FATIMA S.A. AT HUSAINIYAH FROM MARCH 13, 2014 TO MARCH 15,2014 AT 7:30 P.M.
MOULANA MUSHTAQ HUSSAIN SHAHIDI SAHEB WILL RECITE THA MAJALIS. TABOOTH OF HAZRATH FATIMA S.A. WILL BE BROUGHT IN THE LADIES SIDE ON SATURDAY MARCH 15, 2014. NIAZ WILL BE SERVED AFTER MAJLIS. JASHAN OF SAYYEDA BIBI ZAINAB S.A. ON SATURDAY MARCH 8 , 2014 AT 7:30 P.M.
NAWCHANDI JUMAYRATH AAMAAL WILL START AT 7:30 P.M. ON MARCH 6, 2014. MOULANA MUSHTAQ HUSSAIN SHAHIDI SAHEB WILL DELIVER A SPEECH. NIAZ AND HAZARI WILL BE SERVED. BRIEF ENGLISH SPEECH ON ISLAMIC TOPICS BY MOULANA SYED FARHATH HUSSAIN MOOSAVI AFTER AAMAAL IA. MAY ALLAH TAALA ACCEPT THE AZADARI OF IMAM HUSAIN A.S. AND MASOOMEEN A.S. BLESS ALL THE MOMINEEN AND MOMINATTH FOR 2 MONTHS AND 8 DAYS OF MOURNING. THE JASHAN OF EID-A-NAHUM WAS CELEBRATED WITH SINCERITY AND EXPRESSED THE BARAATH FROM THE KILLERS OF MASOOMEEN A.S.
NAWCAHNDI JUMAYRATH AAMAAL WILL START AT 7:30 P.M. ON FEBRUARY 6, 2014. MOULANA MUSHTAQ HUSSAIN SHAHIDI SAHEB WILL RECITE A JASHAN OF ZUHOOR OF IMAM HASAN AL-ASKARI A.S. Please recite Soorah al-Fateha and 3 times Soorah al-Ikhlaas for the Shia pilgrims martyred in Mastung from the Hazara community of Quetta. THURSDAY AAMAAL WILL START AT 7:30 P.M. ON JANUARY 30, 2014. MOULANA MUSHTAQ HUSSAIN SHAHIDI SAHEB WILL DELIVER A MAJLIS ABOUT HAZRATH ABU TALIB A.S.
Mir Aijaz Alikhan's mother Ashruff Unissa Begum, daughter of Syed Hadi Ali Saheb passed away in Hyderabad, India, on January 24th, 2014. Marhooma was buried in Hyderabad today, Please recite Namaz-e-Wahshat tonight. Please recite a Surah Fatiha and three times Surah Ikhlas for the marhooma. May Allah Bless her soul and give her the opportunity to be with Prophet Muhammad (PBUH) and his Ahl al-Baith (A.S.) on the Day of Judgement. Isaal-a-Sawaab Majlis for the Marhooma will be held on Sunday January 26, 2014, at 2:00 PM at the Husainiyah. MOULANA MUSHTAQ HUSSAIN SHAHIDI SAHEB WILL DELIVER A SPEECH. MEELAD-UN-NABI SAWAS AND JASHAN-A-WILADATH OF IMAM JAFAR AS-SADIQ A.S WILL BE CELEBRATED ON FRIDAY JANUARY 17, 2014 AT 7:30 P.M.
MOULANA IMAM HAIDER ZAIDI SAHEB WILL DELIVER A SPEECH ON FRIDAY JANUARY 17, 2014. NAATH AND QASEEDAS WILL BE RECITED BY JANAB ZEESHAN TAQVI SAHEB, THE WELL-KNOWN GUEST FROM HOUSTON AND WELL-KNOWN GTA MANQABATH KHAWN. MOULANA IMAM HAIDER ZAIDI SAHEB WILL RECITE MAJALIS DURING RABI-UL-AWWAL FROM JANUARY 3RD, 2014 TO JANUARY 9TH, 2014 FROM 8:30 P.M. SPECIAL TOPIC OF THE MOULANA IS ABOUT THE TAWEEL OF HOLY QURAN FROM HOLY AHL AL-BAYTH A.S.
TABOOTH OF IMAM HASAN AL-ASKARI A.S. WILL BE BROUGHT FOR ZIARAT ON WEDNESDAY JAN 8, 2014. NIAZ WILL BE SERVED. MOULANA IMAM HAIDER ZAIDI SAHEB WILL DELIVER A SPEECH ON FRIDAY JANUARY 10TH, 2014 AT 8:30 P.M. IA. JANAB ZEESHAN TAQVI THE WELL-KNOWN GUEST FROM HOUSTON WILL RECITE MANQABATHS BEFORE THE SPEECH. SPECIAL EID-A-ZAHRA S.A. (EID-A-NAHUM) CELEBRATIONS AT THE HUSAINIYAH WILL START ON SATURDAY JAN. 11, 2014 AT MAGHRIB 5:30 P.M. WITH GTA MANQABATH KHAWN AND JANAB ZEESHAN TAQVI FOLLOWED BY UNIQUE JASHAN SPEECH BY MOULANA SYED IMAM HAIDER ZAIDI SAHEB. MAJALIS OF HOLY MOHARRAM BEGIN ON NOV. 4, 2013 AND CONTINUE TILL 8TH RABI-UL-AWWAL. PLEASE PRAY FOR HEALTH AND SAFETY OF ALL MOMINEEN AND MOMINATH IN YOUR DAILY PRAYERS. TABOOTH OF BIBI MASOOMA-A-QUM WILL BE BROUGHT FOR ZIARAT IN THE LADIES SIDE ON SUNDAY JAN 5, 2014. NIAZ WILL BE SERVED. IMPORTANT MESSAGE - SPECIAL MAJLIS STARTS AT 7:30 P.M. ON JANUARY 3RD, 2014 FOR THE BURNING OF THE DOOR OF THE RESPECTED HOUSE OF HAZRATH FATIMA S.A. AND THE MARTYRDOM OF HAZRATH MOHSIN A.S. IN ENGLISH WITH SHEIKH ABDULLAH. TABOOTH OF IMAM HASAN A.S. WILL BE BROUGHT FOR ZIARAT ON MONDAY DEC 30, 2013. NIAZ OF DASTAR KHAWN WILL BE SERVED. TABOOTH OF HOLY PROPHET S.A.W.A.S. WILL BE BROUGHT FOR ZIARAT ON TUESDAY DEC 31, 2013. NIAZ WILL BE SERVED. MOULANA SYED ALI RAZA RIZVI SAHEB WILL RECITE MAJALIS FROM DEC. 24 TO JAN. 2 DURING THE THIRD ASHRA OF SAFAR IA. MAJALIS WILL BEGIN AT 8:30 P.M. SHARP AND MOULANA WILL RECITE AT 9 P.M.
TABOOTH OF BIBI ZAINAB S.A. WILL BE BROUGHT FOR ZIARAT IN THE LADIES SIDE ON FRIDAY DEC 27, 2013. Jumah Salath on Friday Dec 27, 2013 led by Allama Sakhawat Hussain Saheb. MAJALIS WILL BEGIN AT 7:30 P.M. SHARP AND MOULANA WILL START SOON AFTER MARSIA. DOAS BEGIN AT 7 P.M.
ALLAMA DR. SAKHAWAT HUSSAIN SAHEB WILL RECITE MAJALIS FROM DEC. 16 TO DEC. 23 DURING THE ASHRA-A-ZAINABIYA ARBAEEN OF SAFAR IA. MAJALIS WILL BEGIN AT 7:30 P.M. AND ALLAMA WILL START AROUND 8:30 P.M.
TABOOTH OF IMAM RAZA A.S. WILL BE BROUGHT FOR ZIARAT ON FRIDAY DEC 20, 2013. NIAZ WILL BE SERVED. JULOOS OF ARBAEEN WILL BE ON SUNDAY DEC 22, 2013 AT 1:30 P.M. STARTING FROM MILLIKEN MILLS PARK 4325 MCCOWAN ROAD, SCAR. TABOOTH OF BIBI SAKINA S.A. WILL BE TAKEN OUT IN THE LADIES SIDE ON FRIDAY DEC. 6. DR. SALMAN TURABI SAHEB WILL RECITE MAJALIS FROM DEC. 4 TO DEC. 8 DURING THE FIRST ASHRA OF SAFAR IA. MOULANA SYED RAIS AHMED JARCHAVI SAHEB WILL RECITE MAJALIS FROM DEC. 9 TO DEC 13 IA. MOULANA RIAZ AKBER ABEDI SAHEB WILL RECITE MAJALIS FROM NOV. 25 TO NOV. 29 DURING THE THIRD ASHRA OF MOHARRAM IA. MOULANA SYED HUSSEIN SHERAZEE SAHEB WILL RECITE MAJALIS FROM NOV. 30 TO DEC 3 IA. TABOOTH OF IMAM ZAINUL ABIDEEN A.S. ON FRIDAY NOV. 29. NIAZ NWILL BE SERVED. Jumah Salath is at 12:15 p.m. on Friday Nov 8, 2013 led by Allama Fazil Mosavi Saheb. MOULANA IMAM HAIDER ZAIDI SAHEB WILL RECITE MAJALIS DURING THE SECOND ASHRA ON MAFHOOM-A-AQEEDAH AUR MAREFATH-A-AHLAL-BAYTH A.S. IA. ALLAMA SYED FAZIL HUSAIN MOSAVI SAHEB WILL RECITE MAJALIS DURING THE FIRST ASHRA ON MAREFATH OF DEEN IA. MAJALIS OF HOLY MOHARRAM BEGIN ON NOV. 4, 2013 AT 7:30 PM BY ALLAMA SYED FAZIL HUSAIN MOSAVI SAHEB. Jashan of Eid-a-Mubahela will be today Thursday Oct 31, 2013 at 7:30 P.M.
Prof. Ainul Hasan Saheb will present his poetry which is highly acclaimed and appreciated by Momineen all over the world. Majlis for Farzandan-a-Muslim a.s. will be on Sunday Oct 27, 2013 at 7:30 P.M.
EID-UL-ADHA PRAYERS ON WEDNESDAY OCTOBER 16, 2013 AT 8:30 A.M. AND 10 A.M. AT HUSAINIYAH IA. 20TH WORLD CONFERENCE OF IMAM MAHDI A.S. AND NABI EESA A.S. WILL BE HELD ON SATURDAY OCT. 19. 2013 FROM 1 P.M. TO 7 P.M. AT THE HUSAINIYAH WITH LECTURES ON THE PRESENT CONDITIONS OF THE WORLD AND END TIMES BY PROMINENT INTERNATIONAL SCHOLARS. JASHAN OF AQD OF HAZRATH ALI A.S. AND HAZRATH FATIMA ZAHRA S.A. WILL BE ON SUNDAY OCT. 6, 2013 AT 7:00 P.M. RECITED BY MOULANA SYED FARHATH HUSSAIN MOOSAVI. MAJLIS OF SHAHADATH OF IMAM MOHAMMED TAQI A.S. ON SATURDAY OCT. 5, 2013 AT 7:00 P.M. RECITED BY MOULANA MUSHTAQ HUSSAIN SHAHIDI SAHEB. SHEIKH ABDULLAH WILL BE SPEAKING ON THURSDAY AFTER MAJLIS AND FRIDAY AFTER MAGRIBAIN PRAYERS PRESENTING THE PERSPECTIVE OF ISLAM FROM A WESTERN POINT OF VIEW AND MATTERS OF IMPORTANCE FOR THE YOUTH. VARIOUS TOPICS WILL BE PRESENTED TO INCREASE KNOWLEDGE AND UNDERSTANDING OF ISLAM FOR THE COMMUNITY. SHEIKH ABDULLAH HAS SPENT MANY YEARS ACQUIRING THE ILM OF HOLY MASOOMEEN A.S. AND WITHOUT AN OPPORTUNITY TO ATTEND HOLY QUM AND HOLY NAJAF HAS ACQUIRED KNOWLEDGE TO TEACH HAWZA COURSES. MOULANA IMAM HAIDER ZAIDI SAHEB WILL RECITE THE MAJLIS ON THE DESTRUCTION (INHAYDAM) OF THE HOLY PLACES OF MAKKAH AND MADINAH BY THE ENEMIES OF HOLY AHL AL-BAYTH A.S. MAJLIS WILL START WITH NAWCHANDI AAMAAL AT 7:30 P.M. AND MOULANA WILL ADDRESS THE MAJLIS AFTER MAGHRIBAIN PRAYERS IA. LET US ALL PRAY FOR THE RECONSTRUCTION OF JANNAT-UL BAQEEH AND PROMISE TO TAKE PART IN IT SOON I.A. AFTER THE ACCEPTANCE OF DEEN OF AHL AL-BAYTH A.S. IN MILLIONS AROUND THE WORLD , THE PRINCIPLES OF JUSTICE AND TRUTH WILL BE ACCEPTED BY OUR EFFORTS IN INCREASING NUMBERS. AFTER THE DAILY SPIRITUAL AND ENLIGHTENING PROGRAMS AT HUSAINIYAH PRESENTED BY SCHOLARS LET US CELEBRATE THE CHANGE IN OUR PERSONALITY. VARIOUS TOPICS WERE PRESENTED TO INCREASE KNOWLEDGE AND UNDERSTANDING OF ISLAM. ALLAMA SYED MASOOM ABIDI SAHEB WILL LEAD THE EID PRAYERS AT 8:30 A.M. AND 10 A.M. IA. ALLAMA SYED MASOOM ABIDI SAHEB WILL BE HERE FROM 16TH OF RAMADZAN TILL EID PRAYERS. EID BAZAR WILL BE ON SATURDAY AUG 3, 2013. STALLS ARE AVAILABLE ON THE LADIES SIDE. SALATHUL JUMATUL WIDA WILL BE ON FRIDAY AUGUST 2, 2013 AT 1:24 P.M. BY ALLAMA SYED MASOOM ABIDI SAHEB. DAILY PROGRAM STARTS FROM JULY 10TH at 7 P.M. WITH RECITATION OF HOLY QURAN, TAFSEER, SPEECH/MAJLIS, PRAYERS, IFTAAR, DINNER AND DOA-A-IFTETAH. VARIOUS TOPICS ARE BEING PRESENTED IN THE MAJALIS AND LECTURES. EVERY DAY THE PROGRAM WILL BEGIN AT 7 P.M. AND DAILY IFTAAR WILL BE SERVED. YOU CAN SPONSOR IFTAAR AND DINNER FOR THE IMMENSE SAWAAB DURING THIS HOLY MONTH BY CALLING 905-471-4180. REGULAR PROGRAM FOR TAJWEED TRAINING, MAJALIS, SPEECHES, MASAIL, TAFSEER AND AAMAAL HAS BEEN PREPARED TO PROVIDE THE YOUTH AND ELDERS WITH KNOWLEDGE OF THE HOLY QURAN AND HOLY AHL AL-BAYTH A.S. FOR PREPARATION AS HELPERS OF 12TH IMAM A.S. QUESTION/ANSWER SESSIONS IN URDU, ENGLISH, ARABIC AND PERSIAN WILL FOLLOW THE LECTURES IA. JASHAN OF IMAM HASAN A.S. WILL BE ON WEDNESDAY JULY 24, 2013. SALATHUL JUMA ON FRIDAY JULY 19, 2013 AT 1:20 P.M. BY MOULANA SYED AQEEL SHAH SAHEB. TABOOTH OF HAZRATH KHADIJA S.A. WILL BE TAKEN OUT IN THE LADIES SIDE ON FRIDAY JULY 19, 2013. AFTER THE SPECIAL NEEMA-A-SHABAN JASHAN AND AAMAAL LET US BENEFIT FROM THE HOLY MONTH OF RAMADZAAN WITH THE PRESENCE OF A WELL-KNOWN AALIM MOULANA AQEEL SHAH SAHEB. We pray for the early reappearance of the Living Imam a.s. to solve the immense problems faced by the world and the inability of human beings to solve them as we saw in Egypt with immense loss to the Shia world. The community is going through difficult times with most of those managing the affairs do not have the wisdom and sincerity to serve the noble cause. May Allah Taala Grant Wisdom and sincerity to all the Momineen and Mominaath. We seek co-operation of all the friends and supporters of Husainiyah in the effort to improve the facilities to better serve the Momineen. Ilahi Aameen. QARZA-A-HASANAH IS REQUIRED IMMEDIATELY FOR 6 MONTHS TO 1 YEAR TO PAY THE MOMINEEN WHO HAD HELPED US EARLIER. THURSDAY AAMAAL ON JULY 4, 2013 WILL START AT 7:30 PM. MOULANA MUSHTAQ HUSSAIN SHAHIDI SAHEB WILL ADDRESS THE MAJLIS ABOUT THE ARRIVAL OF HOLY MONTH AND ITS IMPORTANCE FOR FASTING AND READING HOLY QURAN. ZIARATH OF ALAM-A-MUBARAK OF HAZRATH ABBAS A.S. AND HAZARI WILL FOLLOW. Daswaan (10th day) Majlis for Eesal-a-Sawaab of Marhoom Imtiaz Hussain Tirmizi s/o Altaf Hussain Tirmizi will be held on Tuesday July 2, 2013 at 7:30 P.M. Hadees will be recited before Maghribain prayers. Niaz will be served. PLEASE RECITE SOORAT AL-HAMD AND 3 TIMES SOORAT AL-IKHLAS FOR THE DEPARTED MOMIN AND ALL MARHOOMEEN. MAY ALLAAH FORGIVE THEIR SINS AND ELEVATE THE POSITION AND CLOSENESS TO MASOOMEEN A.S. AND SABR TO THE RELATIVES. THURSDAY AAMAAL ON JUNE 27 , 2013 WILL START AT 7:30 PM. MOULANA MUSHTAQ HUSSAIN SHAHIDI SAHEB WILL ADDRESS THE MAJLIS ABOUT THE DIFFICULT TIMES FOR MOMINEEN. EGYPTIANS HAVE MASSACRED SHIAS RECENTLY IN AN UN-ISLAMIC MANNER. PLEASE ATTEND THIS IMPORTANT MAJLIS WITH FAMILY AND FRIENDS AND SUPPORT THE NOBLE CAUSE. Jashan of Wiladath of Imam-a-Zamana a.s. will be on Sunday June 23, 2013 at 7:00 pm with Soorah-a-Yaseen, Hadees-a-Kisa, Qasiday and Manqabath. Allama Dr. Sakhawat Saheb will recite the Jashan at 8:15 p.m. and finish by Maghribain prayers. Please arrive on time with family and friends for this Qadeem Jashan of 12th Imam a.s. Special Dua for tawassul with Living Imam a.s. will be recited by Allama Saheb. Niaz will be served. Eesal-a-Sawaab Majlis for Surriyah Begum (mother of Ali Mirza) and Akhtar Ali Mirza (Father-in-law of Ali Mirza) on Thursday June 20, 2013 AT 7:30 P.M. Hadees will be recited before Maghribain prayers by Mufassir-a-Quran Moulana Mushtaq Hussain Shahidi Saheb. Niaz will be served. Jashan of Imam Zainul Abideen a.s. on Friday June 14, 2013 at 7:30 pm with Soorah-a-Yaseen, Hadees-a-Kisa, Qasiday/Manqabath and Maghribain Prayers. Allama will recite Hadees after Prayers. Niaz will be served. It is with a heavy heart that we inform you all of the sad demise of a lover of Ahl al-Bayth a.s. and senior member of our community. The aunt of Qasim Hussain (Hussaini) and Qasim Hasan has passed away this morning at Fajr. Marhooma Wajihun Nisa Binte Wazir Hussain was a pillar of the community and devoted lover of the commemoration of the tragedy of Imam Hussain a.s. The funeral will be held at Bathurst Jaffari Centre after Juma Namaaz today. We humbly request you to remember the Marhooma with a fateha and May Allaah Taala Grant her proximity to Ahl al-Bayth a.s. and Patience to the family and relatives of Marhooma. Jashan of Imam Husain a.s. on Wednesday June 12, 2013 at 7:30 pm. Niaz will be served. MAJLIS OF WAFATH OF HAZRATH ABU TALIB A.S. ON THURSDAY JUNE 6, 2013 WILL FINISH BEFORE MAGHRIBAIN PRAYERS RECITED BY MOULANA MUSHTAQ SHAHIDI SAHEB. Jashan of Mairaaj and Baisath of Holy Prophet sawas on Friday June 7, 2013 at 7:30 pm to finish before Maghribain prayers. MAJLIS OF SHAHADATH OF IMAM MOOSA AL-KAZIM A.S. ON WEDNESDAY JUNE 5, 2013 AT 7:30 PM WILL FINISH BEFORE MAGHRIBAIN PRAYERS RECITED BY MOULANA SYED FARHATH HUSSAIN MOOSAVI. Majlis of Safar-a-Imam Husain a.s. will be held on Friday JUNE 7, 2013 after Maghribain prayers at 9:30 pm. Eesal-a-Sawaab Majlis for Surriyah Begum (mother of Ali Mirza) and Akhtar Ali Mirza (Father-in-law of Ali Mirza) on Thursday June 20, 2013. KOONDAY NAZR OF IMAM JAFAR AS-SADIQ A.S. WILL BE ON SUNDAY JUNE 2, 2013 FROM 2 TO 6 P.M.
FIRST BARSI MAJLIS (EESAL-A-SAWAB) FOR MARHOOM MIRZA MEHDI ALI BAIG (FATHER OF TALAB BAIG) WILL BE HELD ON THURSDAY MAY 30, 2013 AT 7:30 PM RECITED BY MUFASSIR-A-QURAN MOULANA MUSHTAQ HUSSAIN SHAHIDI SAHEB. MAJLIS WILL BE FOLLOWED BY NAMAZ, DUA AND NIAZ. JUMAYRATH AAMAAL WILL BE COMPLETED. PLEASE RECITE SOORAT AL-FATEHA AND 3 TIMES SOORAT AL-IKHLAS FOR MARHOOM Sami Raza s/o Ameer Raza (brother of RETD. Immig Judge Syed Abid Raza Naqvi). WE REQUEST NAMAZ-A-WAHSHAT FOR MARHOOMA Qamer-Unnisa Begum w/o Mir Sajjad Ali Rizvi (mother of Mir Abbas Ali NJ and mother-in-law of Abid Mirza Toronto) TO BE BURIED IN HOUSTON ON MAY 22. PLEASE RECITE NAMAZ-A-WAHSHAT FOR MARHOOM Syed Ahsan (Chaman) Raza Jafri brother-in-law of Br. Jaffar Jafri TO BE BURIED IN TORONTO ON MAY 22. MAY ALLAAH TAALA ELEVATE THE POSITION OF MARHOOMEEN AND BRING THEM CLOSE TO HOLY AHL AL-BAYTH A.S. AND GIVE PATIENCE TO THE FAMILIES. TODAY FRIDAY MAY 24, 2013 AT 7:00 P.M.
JASHAN OF MOULOOD-A-KAABA HAZRATH ALI A.S. WILL BE CELEBRATED ON FRIDAY MAY 24, 2013 AT 7:00 P.M. NAAT AND QASEEDAS WILL BE RECITED AND RENOWNED POETS JANAB SHAHAB KAZMI , JANAB SIBTAIN KAZMI AND JANAB RAZI JAFRI SAHEB OF NORWAY WILL BE GUEST SHAYERS FOR TARHI MUQASADA "BAJUZ HAIDER KISI SE FATHE KHIABER HO NAHI SAKTA". MOULANA MUSHTAQ HUSSAIN SHAHIDI SAHEB WILL ADDRESS THE JASHAN. AAMAAL-A-UMMAY-DAWOOD A.S. AFTER ZOHRAIN PRAYERS ON SUNDAY MAY 26, 2013 AT 1:20 P.M. PLEASE RECITE SOORAT AL-FATEHA AND 3 TIMES SOORAT AL-IKHLAS FOR MARHOOM MIR HEMAYETH ALI NAQVI S/O MARHOOM SYED MIR MOHAMMED ALI KHAN NAQVI WHO PASSED AWAY ON MAY 14 AND WILL BE BURIED ON MAY 16, 2013 IN MARYLAND. MAY ALLAAH TAALA ELEVATE HIS POSITION AND BRING HIM CLOSE TO HOLY AHL AL-BAYTH A.S. WE PRAY FOR PATIENCE FOR THE FAMILY OF BR. ABBAS MEHDI CEIZAR AND REQUEST NAMAZ-A-WAHSHAT ON THURSDAY AFTER MAGHRIB PRAYERS. NAWCHANDI JUMAYRATH AAMAAL AND JASHAN OF WILADATH OF IMAM ALI-UN-NAQI A.S. AND IMAM MOHD. AT-TAQI A.S. ON THURSDAY MAY 16, 2013 WILL BE STARTING AT 7:30 PM RECITED BY MUFASSIR-A-QURAN MOULANA MUSHTAQ HUSSAIN SHAHIDI SAHEB. HAZARI AND NIYAZ WILL BE SERVED AFTER ZIARATH OF ALAM OF HAZRATH ABBAS A.S.
MAJLIS OF SHAHDATH OF IMAM AL UN-NAQI A.S. WILL BE HELD ON MONDAY MAY 13, 2013 WHICH STARTS AT 7:30 P.M. RECITED BY MOULANA MUSHTAQ HUSSAIN SHAHIDI SAHEB. JASHAN OF BIRTHDAY OF IMAM MOHAMMED AL-BAQIR A.S. WILL BE CELEBRATED ON SATURDAY MAY 11, 2013 AT 7:30 P.M. NAAT AND QASEEDAS WILL BE RECITED WITH SPEECHES IN URDU BY MOULANA MUSHTAQ HUSSAIN SHAHIDI SAHEB. PLEASE RECITE SOORAT AL-FATEHA AND 3 TIMES SOORAT AL-IKHLAS FOR MARHOOMEEN SYED NAWID HASAN RIZVI IBNE SYED HAMID RAZVI AND MARHOOM SYED ABUL HASAN ASIF IBNE SYED ZAINUL ABIDEEN SAHEB WHO PASSED AWAY RECENTLY. MAY ALLAAH TAALA ELEVATE THEIR POSITION AND OF ALL THE MARTYRS AND BRING THEM CLOSE TO HOLY AHL AL-BAYTH A.S.
JUMAYRATH AAMAAL AND MAJLIS ON THURSDAY MAY 9, 2013 WILL BE STARTING AT 7:30 PM RECITED BY MUFASSIR-A-QURAN MOULANA MUSHTAQ HUSSAIN SHAHIDI SAHEB. HAZARI AND NIYAZ WILL BE SERVED AFTER ZIARATH OF ALAM OF HAZRATH ABBAS A.S.
HARA DASTER-KHAWAN OF IMAM HASAN A.S. AT HUSAINIYAH ON SATURDAY MAY 4, 2013 FROM 4 TO 7 P.M. SPECIAL NIYAZ WILL BE SERVED ON GREEN TABLECLOTH WITH GREEN COLOURED FOODS, SWEETS, VEGETABLES AND FRUITS. MOMINEEN AND MOMINAATH ARE REQUESTED TO ATTEND WITH FAMILY AND MUSLIM FRIENDS. JASHAN AND THURSDAY AAMAAL ON MAY 2, 2013 WILL START AT 7:30 PM. MOULANA MUSHTAQ HUSSAIN SHAHIDI SAHEB WILL ADDRESS THE JASHAN OF THE NOBLE LADY OF LIGHT, THE CHIEF OF THE WOMEN OF THE WORLD AND PARADISE. NIYAZ WILL BE SERVED AFTER THE JASHAN. PLEASE RECITE SOORAT AL-FATEHA AND 3 TIMES SOORAT AL-IKHLAS FOR MARHOOMEEN IN ATTACKS AND EARTHQUAKES ESPECIALLY SYED SIBTE JAFAR ZAIDI IBNAY SYED AHMED MIAN ZAIDI AS HIS CHEHLUM IS COMING NEAR. A MAJLIS ON APRIL 20TH IS BEING HELD IN WINDSOR. MAY ALLAAH TAALA ELEVATE HIS POSITION AND OF ALL THE MARTYRS AND BRING THEM CLOSE TO HOLY AHL AL-BAYTH A.S. THE ATTACKS AND KILLING OF SHIAHS IN PAKISTAN, IRAQ AND OTHER PARTS OF THE WORLD IS A MAJOR PROBLEM TODAY. MAJLIS OF EESAL-A-SAWAAB for USTAD SYED SIBTE JAFAR ZAIDI on SATURDAY APRIL 20, 2013 AT 8:30 PM IN WINDSOR, ONTARIO RECITED BY MOULANA SYED FARHATH MOOSAVI SAHEB. NAWCHANDI JUMAYRATH AAMAAL AND MAJLIS ON THURSDAY APRIL 18, 2013 WILL BE STARTING AT 7:30 PM RECITED BY MUFASSIR-A-QURAN MOULANA MUSHTAQ HUSSAIN SHAHIDI SAHEB. HAZARI AND NIYAZ WILL BE SERVED AFTER ZIARATH OF ALAM OF HAZRATH ABBAS A.S.
MAJALIS OF SHAHADATH OF BIBI FATIMA ZAHRA S.A WILL BE HELD FROM APRIL 12 TO 14, 2013 STARTING AT 7:30 PM RECITED BY MUFASSIR-A-QURAN MOULANA MUSHTAQ HUSSAIN SHAHIDI SAHEB ABOUT THE LIFE AND ACHIEVEMENTS OF THE NOBLE LADY AND THE HISTORY OF PERSECUTION OF MUSLIMS AGAINST HOLY AHL AL-BAYT A.S. SHABEEH OF TABOOTH WILL BE BROUGHT OUT IN THE LADIES SIDE ON SUNDAY APRIL 14TH. PLEASE ATTEND THESE IMPORTANT MAJALIS WITH FAMILY AND FRIENDS AND SUPPORT THE NOBLE CAUSE THROUGH KHUMS AND QARZA-A-HASANAH. MONTHLY DEDUCTIONS FROM ANY TD CANADA TRUST BANK CAN BE ARRANGED BY AN AUTHORIZATION FORM AT HUSAINIYAH WITH A VOID CHEQUE. THURSDAY AAMAAL ON APR 11, 2013 WILL START AT 7:30 PM. MOULANA MUSHTAQ HUSSAIN SHAHIDI SAHEB WILL ADDRESS THE MAJLIS ABOUT THE HISTORY OF PERSECUTION OF MUSLIMS AGAINST HOLY AHL AL-BAYT A.S. ZIARATH OF ALAM-A-MUBARAK OF HAZRATH ABBAS A.S. AND HAZARI WILL FOLLOW. THURSDAY AAMAAL ON APR 4, 2013 WILL START AT 7:30 PM. MOULANA MUSHTAQ HUSSAIN SHAHIDI SAHEB WILL ADDRESS THE MAJLIS ABOUT THE DIFFICULT TIMES FOR MOMINEEN. PLEASE ATTEND THIS IMPORTANT MAJLIS WITH FAMILY AND FRIENDS AND SUPPORT THE NOBLE CAUSE. MAJLIS OF SHAHADATH OF BIBI FATIMA ZAHRA S.A WILL BE HELD FROM MARCH 25 TO 28, 2013 STARTING AT 7:30 PM RECITED BY ALLAMA SAKHAWATH HUSSAIN SAHEB ABOUT THE LIFE AND DIFFICULT TIMES. PLEASE ATTEND THESE IMPORTANT MAJALIS WITH FAMILY AND FRIENDS AND SUPPORT THE NOBLE CAUSE. THE MASAIB OF JANAB-A-FATIMA S.A. WERE THE BEGINNING OF THE OPEN TORTURE AND PERSECUTION BY MUSLIMS AGAINST THE HOLY AHL AL-BAYTH A.S. AFTER LEAVING THE BURIAL OF THE HOLY PROPHET SAWAS AND IS MANIFESTING TODAY WITH THE ATTACKS AND KILLING OF SHIAHS IN PAKISTAN AND OTHER PARTS OF THE WORLD. THOSE OF US WHO ARE LIVING ELSEWHERE HAVE A DUTY TO SUPPORT THEM AND PLAN FOR A SOLUTION TO THIS PROBLEM. THERE WILL BE AN EFFORT TO THINK ABOUT POSSIBLE SOLUTIONS TO STOP THESE TRAGEDIES. PLEASE RECITE SOORAT AL-FATEHA AND 3 TIMES SOORAT AL-IKHLAS FOR MARHOOMEEN ESPECIALLY SYED SIBTE JAFAR ZAIDI IBNAY SYED AHMED MIAN ZAIDI. MAY ALLAAH TAALA ELEVATE HIS POSITION AND OF ALL THE MARTYRS AND BRING THEM CLOSE TO HOLY AHL AL-BAYTH A.S.
MAJLIS OF EESAL-A-SAWAAB THURSDAY MAR 21, 2013 WILL START AT 7:30 PM RECITED BY MOULANA MUSHTAQ HUSSAIN SHAHIDI SAHEB. PLEASE RECITE SOORAT AL-FATEHA AND 3 TIMES SOORAT AL-IKHLAS FOR MARHOOM SYED SIBTE JAFAR ZAIDI IBNAY SYED SIBTE RAHI ZAIDI. HIS WELLKNOWN POETRY PRAISING HOLY PROPHET SAWAS AND HOLY MASOOMEEN A.S. WILL BE REMEMBERED BY MOMINEEN ALL OVER THE WORLD. MAY ALLAAH TAALA ELEVATE HIS POSITION AND BRING CLOSENESS TO HOLY AHLAL BAYTH A.S.
NAWCHANDI THURSDAY AAMAAL ON MAR 14, 2013 WILL START AT 7:30 PM WITH DOAS AND MAJLIS IN URDU BY MOULANA MUSHTAQ HUSSAIN SHAHIDI SAHEB. JASHAN OF WILADATH OF HAZRATH ZAINAB S.A. ON FRIDAY MARCH 15, 2013 WILL START AT 7:30 PM. MOULANA MUSHTAQ HUSSAIN SHAHIDI SAHEB WILL ADDRESS THE JASHAN. MAJLIS-E-ESALAY SAWAAB ON THURSDAY MARCH 7, 2013 WILL START AT 7:00 PM WITH QURAAN KHANI / HADEES-A-KISA. MOULANA MUSHTAQ HUSSAIN SHAHIDI SAHEB WILL ADDRESS THE MAJLIS. All Momineen and Momenaat are kindly requested to attend the Majlis E Esalay Sawaab of Br. Sajid Hemani's wife's grand mother(Nani) Marhooma Vazerunnisa Begum (Bilqees Chachi) Binte Mir Mehdi Ali Khan Razvi. Please recite Soorat al-Hamd and 3 times Soorat al-Ikhlas for Marhooma and all the Momineen and Mominath that have passed away on the Vilayath of Aal-a-Muhammed a.s.
FOR THE EESAL-A-SAWAAB OF THE SHUHADA OF THE SENSELESS SECTARIAN KILLINGS IN PAKISTAN AND RECENTLY IN QUETTA; A MAJLIS IS BEING HELD ON SATURDAY FEB 23, 2013 AT 7 PM. NIYAZ WILL BE SERVED AFTER FATEHA FOR MARTYRS. JASHAN AND THURSDAY AAMAAL ON FEB 21, 2013 WILL START AT 7:30 PM. MOULANA MUSHTAQ HUSSAIN SHAHIDI SAHEB WILL ADDRESS THE JASHAN. NAWCHANDI THURSDAY AAMAAL ON FEB 14, 2013 WILL START AT 7;30 PM WITH DOAS AND MAJLIS IN URDU BY MOULANA MUSHTAQ HUSSAIN SHAHIDI SAHEB. DOAS AND DETAILS OF ZIARATH MUQAMATH OF HAZRATH ZAINAB S.A. AND HAZRATH SAKINA S.A. WILL BE PRESENTED. JASHAN OF MEELAAD-UN-NABI SAWAS WILL BE CELEBRATED ON FRIDAY FEBRUARY 1, 2013 AT 7:30 P.M. NAAT AND QASEEDAS WILL BE RECITED WITH SPEECHES IN URDU BY MOULANA MUSHTAQ HUSSAIN SHAHIDI SAHEB AND IN ENGLISH BY MOULANA SYED FARHATH HUSSAIN MOOSAVI SAHEB. THURSDAY AAMAAL ON JAN 31, 2013 WILL START AT 7;30 PM WITH DOAS AND MAJLIS IN URDU BY MOULANA MUSHTAQ HUSSAIN SHAHIDI SAHEB AND IN ENGLISH BY MOULANA SYED FARHATH HUSSAIN MOOSAVI SAHEB FOR EESAAL-A-SAWAB FOR MARHOOMEEN. PLEASE RECITE SOORAH-A-FATEHA AND SOORAH IKHLAAS 3 TIMES FOR MARHOOMA MARIAM SULTANA BINTE SYED AHMED HUSSAIN JAFRI MARHOOM AND MARHOOMA ABIDA BILGRAMI BINTE SYED AHMED HUSSAIN JAFRI MARHOOM. MUHARRAM IS A SPECIAL TIME FOR MOURNING AND CONDOLENCES TO THE HOLY AHL AL-BAYTH A.S. ON THE MASSACRE OF IMAM HUSAIN A.S. AND HIS CHILDREN AND COMPANIONS. PLEASE UTILIZE THESE MOMENTS TO ENHANCE YOUR AQEEDAH AND DEEN DURING THE SPECIAL PROGRAMS AT HUSAINIYAH TILL 8TH RABIUL AWWAL ADDRESSED BY UNIVERSALLY WELL-KNOWN SPEAKERS. JASHAN OF EID-A-NAHUM WILL BE CELEBRATED ON SUNDAY JANUARY 21, 2013 AT 7:30 P.M. SHARP. PLEASE ATTEND THIS HAPPY OCCASION FOR HOLY AHL AL-BAYTH A.S. ON TIME. JASHAN WILL BE ADDRESSED BY MOULANA IMAM HAIDER SAHEB AND SHOARA FROM GTA ARE EXPECTED IN THIS MEHFIL. DURING THE LAST DAYS OF AYYAM-A-AZA PLEASE CONTRIBUTE TO THE MOHARRAM FUND BY CASH, DEBIT MACHINE OR CHEQUE TO I.H.A. RECEIPT WILL BE ISSUED FOR DONATION AND KHUMS. MEMBERSHIP ENROLLMENT IS $175 FROM H MOHARRAM TO ZILHAJJ. JASHAN OF EID-A-NAHUM, EID-A-ZEHRA S.A. WILL BE CELEBRATED ON SUNDAY JANUARY 20, 2013 AT 7 P.M. PLEASE ATTEND THIS HAPPY OCCASION FOR HOLY AHL AL-BAYTH A.S. ON TIME. JASHAN WILL BE ADDRESSED BY MOULANA IMAM HAIDER SAHEB IN HIS SPECIAL MANNER. MOULANA IMAM HAIDER SAHEB WILL RECITE MAJLIS ON SATURDAY JAN 19TH, 2013 FOR THE MARTYRDOM OF 11TH IMAM HAZRATH HASAN AL-ASKARI A.S.
MOULANA IMAM HAIDER SAHEB WILL RECITE MAJALIS/JASHAN FROM FRIDAY JAN 11TH, 2013 TILL SUNDAY JANUARY 20, 2013. TABOOTH OF HAZRATH IMAM HASAN AL-ASKARI A.S. WILL BE TAKEN OUT ON FRIDAY JAN 18, 2013 AT THE END OF MAJLIS. PLEASE ATTEND THE MAJLIS ON TIME. TABOOTH OF HAZRATH MASOOMA-A-QUM S.A. WILL BE TAKEN OUT ON TUESDAY JAN 15, 2013 AT THE END OF MAJLIS IN THE LADIES SIDE. PLEASE ATTEND THE MAJLIS ON TIME FOR THE ZIARATH OF THE SHABEEH. TABOOTH OF HOLY PROPHET S.A.W.A.S. WILL BE TAKEN OUT ON FRIDAY JAN 11, 2013 AT THE END OF MAJLIS WHICH STARTS AT 7:30 P.M. RECITED BY MOULANA IMAM HAIDER SAHEB PLEASE ATTEND THE MAJLIS ON TIME FOR THE ZIARATH OF THE SHABEEH. TABOOTH OF IMAM HASAN A.S. WILL BE TAKEN OUT ON JAN 10, 2013 AT THE END OF MAJLIS WHICH STARTS AT 7:30 P.M. RECITED BY MOULANA MUSHTAQ HUSSAIN SHAHIDI SAHEB PLEASE ATTEND THE MAJLIS ON TIME FOR THE ZIARATH OF THE SHABEEH. MOULANA SAFI HAIDER SAHEB WILL RECITE THE MAJLIS ON WEDNESDAY JAN 9TH, 2013 I.A. MOULANA HADI BAQUIRI SAHEB IS RECITING MAJALIS FROM JAN 4, 2013 TO JAN 8, 2013 I.A. STARTING AT 7:30 P.M. DURING THE AYYAM-A-ZAINABIYAH OF SAFAR 1434. THE TOPIC IS "HOLY PROPHET AS WARNER AND HAZRATH ALI A.S. AS GUIDE". PLEASE ATTEND THE MAJALIS ON TIME WITH FAMILY AND FRIENDS. ALLAMA SAKHAWAT HUSSAIN SANDRALVI SAHEB WILL START ARBAEEN AAMAAL AT 11:30 A.M. ON JAN 3, 2012 I.A. ZOHRAIN PRAYERS AT 12:30 P.M. AND MAJLIS WILL START AT 1:00 P.M. FOLLOWED BY SPECIAL NIAZ. PLEASE ATTEND THIS QADEEM ARBAEEN MAJALIS ON TIME WITH FAMILY AND FRIENDS. ALLAMA SAKHAWAT HUSSAIN SANDRALVI SAHEB IS RECITING MAJALIS FROM DEC 25, 2012 TO JAN 3, 2012 I.A. STARTING AT 7:30 P.M. DURING THE ASHRA-A- ZAINABIYAH OF SAFAR 1434. THE SPECIAL RESEARCH TOPIC IS "WILAYETH OF HAZRATH ALI A.S. IN GHADEER". PLEASE ATTEND THE MAJALIS ON TIME WITH FAMILY AND FRIENDS. SHAB-BAYDARI AND SHAB-A-NOHA WILL BE ON DEC 28, 2012 AT 10 P.M. ATTENDED BY JANAB DR. REHAN AZMI FROM PAKISTAN AND THE MAJLIS WILL BE RECITED BY ALLAMA SYED FAZIL HUSSAIN MOOSAVI SAHEB. NIYAZ WILL BE SERVED. ALLAMA SYED FAZIL MOOSVI SAHEB WILL BE RECITING MAJALIS FROM DEC 15, 2012 TO DEC 24, 2012 I.A. STARTING AT 7:30 P.M. DURING THE FIRST ASHRA OF SAFAR 1434. PLEASE ATTEND THE MAJALIS ON TIME WITH FAMILY AND FRIEND. MAJALIS OF MOULANA SYED RIAZ AKBER SAHEB WILL START FROM DEC 11, 2012 TO DEC 14, 2012 I.A. AT 7:30 P.M.
MAJALIS OF MOULANA GHULAMUS SAYYEDAIN SAHEB WILL START FROM DEC 5, 2012 AND CONTINUE TILL DEC 9, 2012 I.A. AT 7:30 P.M.
PURPOSE OF THE MAJALIS IS SERVED BY THE REMEMBRANCE OF THE MARTYRS AND THEIR SACRIFICES AND NOT WASTING THIS IMPORTANT TIME IN PERSONAL AND TRIVIAL MATTERS OF PERSONAL LUXURIES AND FINANCIAL DIFFICULTIES. MOULANA GHULAMUS SAYYEDAIN SAHEB WILL RECITE THE MAJLIS OF DEC 10, 2012 I.A. AT 7:30 P.M. ALSO AS MOULANA SYED RIAZ AKBER IS ARRIVING IN TORONTO ON DEC 11, 2012 I.A. MOULANA IMAM HAIDER ZAIDI SAHEB WILL RECITE MAJALIS FROM NOV 30, 2012 TO DEC 4, 2012 I.A. AT 7:30 P.M.
MAJALIS WILL CONTINUE TILL NOV 29TH THURSDAY AT 7 P.M. AND THE SPEECH OF MOULANA SYED RAIS AHMAD JARCHAVI SAHEB STARTS AT 8 P.M. DAILY FOLLOWED BY MATAM OF IMAM HUSAIN A.S.
MUHARRAM MAJALIS WILL START ON NOV 15TH THURSDAY AT 7 P.M. AND THE SPEECH OF MOULANA SYED RAIS AHMAD JARCHAVI SAHEB STARTS AT 8 P.M. DAILY FOLLOWED BY MATAM OF IMAM HUSAIN A.S.
JASHAN OF EED-A-MUBAHELA WILL BE HELD ON NOV. 9TH FRIDAY AT 7:30 P.M. WITH QASEEDAS AND SPEECH BY MOULANA MUSHTAQ HUSSAIN SHAHIDI SAHEB. MUBAHELA SHOWS THE IMPORTANCE OF HOLY AHLAY AL-BAYTH A.S.
JUMAYRATH AMAAL WITH ALAM AND HAZARI ON OCT 11. AND SPEECH AFTER MAGHRIBAIN PRAYERS AT 7 P.M. ABOUT IMPORTANCE OF HAJJ. DAHWUL ARDZ (EARTH WAS LAID) AND BIRTHDAYS OF HAZRATH IBRAHEEM A.S. AND HAZRATH EESA A.S. ON 25TH ZILQAAD. JASHAN OF HAZRATH IMAM ALI AR-RAZA A.S. WILL BE ON FRIDAY SEPT. 28TH AT 7:15 P.M. AND MOULANA MUSHTAQ HUSSAIN SHAHIDI SAHEB WILL DELIVER THE SPEECH AFTER MAGHRIBAIN PRAYERS. Please attend with family and friends to seek protection of Imam-a-Zamin a.s. during difficult times and to congratulate Masoomeen a.s. on this important noble event. NAWCHANDI JUMAYRATH WITH ALAM AND HAZARI ON SEPT 20. JASHAN OF HAZRATH MASOOMA-A-QUM S.A. WILL START AT 7:15 P.M. AND MOULANA MUSTAQ HUSSAIN SHAHIDI SAHEB WILL DELIVER THE SPEECH AFTER MAGHRIBAIN PRAYERS. THE 19TH ANNUAL CONFERENCE WILL BE ADDRESSED BY AYATULLAH AL-UZMA HAFIZ BASHIR SAHEB FROM NAJAF AL-ASHRAF ON OUR RESPONSIBILITIES AT THIS TIME. SPECIAL TOPICS ABOUT THE SIGNS OF RE-APPEARENCE OF IMAM-A-ZAMANA A.S. WILL PROVIDE THE YOUTH AND ELDERS WITH KNOWLEDGE AND MARIFAH OF THE LIVING IMAM A.S. AND ESPECIALLY THE Q/A SESSIONS IN ARABIC, PERSIAN, URDU AND ENGLISH WILL PROVIDE THE CHANCE TO CLARIFY DOUBTS ON MANY SUBJECTS. DURING THIS PERIOD OF UPHEAVAL AND AND DISTRESS FOR THE SINCERE FOLLOWERS OF HOLY AHL AL-BAYTH A.S. WE HAVE IMPORTANT DUTIES AND RESPONSIBILITIES AND THE SCHOLARS AT THE CONFERENCE WILL ADDRESS THIS SUBJECT. WELL-KNOWN SPEAKERS INCLUDE ALLAMA DR. SAKHAWAT HUSSAIN, ALLAMA SYED JAVED JAFFRI, MOULANA MUSHTAQ HUSSAIN SHAHIDI, MOULANA SYED AHMED RAZA HUSAINI, ALLAMA DR. MASOOM ABIDI, MOULANA SYED FARHATH HUSSAIN MOOSAVI. Telephonic Messages will be conveyed from Dr. Md. Ayub Khan, Br. Salman Mohammedi and Br. Abdullah Hill. ALLAMA DR. SAKHAWAT HUSSAIN SADRALVI AT HUSAINIYAH FOR THE MAJALIS OF 6TH IMAM A.S.
JUMAYRATH AAMAAL ON THURSDAY SEP 6 START AT 7:15 P.M. NIAZ AND HAZARI WILL BE SERVED. MAJLIS-A-SHAHADAT OF IMAM JAFAR AS-SADIQ A.S. WILL BE RECITED BY MOULANA MUSHTAQ HUSSAIN SHAHIDI SAHEB AFTER DOAS. JUMAYRATH AAMAAL ON THURSDAY AUG 30 START AT 7:15 P.M. NIAZ AND HAZARI WILL BE SERVED. MAJLIS-A-YAUM-A-GHAM OF JANNATUL BAQEEH RECITED BY MOULANA MUSHTAQ HUSSAIN SHAHIDI SAHEB. NAUCHANDI JUMAYRATH AAMAAL ON THURSDAY AUG 23 START AT 7:15 P.M. NIAZ AND HAZARI WILL BE SERVED. MAJLIS-A-YAUM-A-GHAM OF JANNATUL BAQEEH ON AUG 23 AT 7:15 P.M. RECITED BY MOULANA MUSHTAQ HUSSAIN SHAHIDI SAHEB. EID PRAYERS FOR FOLLOWERS OF GRAND AYATULLAH KHOI R.A. WILL BE AT HUDA CENTRE, 975 KENNEDY ROAD, SCAR. ON SUNDAY AUGUST 19, 2012 AT 10 A.M.
DAILY CONGREGATIONAL PRAYERS (SALATHUL JAMAATH) - FAJR 4:52 A.M. - ZOHRAIN 1:30 P.M. AND MAGHRIBAIN 8:27 P.M.
DAILY HOLY QURAN READING AND TAJWEED AT 6:45 P.M. WITH TAFSEER OF HOLY QURAN FOR YOUTH AND ADULTS AND SPEECH BY ALLAMA ON SPECIAL TOPIC . MAGRIBAIN NAMAAZ WITH IFTAR AND DINNER AND THEN DOA-A-IFTETAH WITH MASAIL AND QUESTION/ANSWER SESSION . PLEASE ATTEND WITH FAMILY AND FRIENDS FOR THIS UNIQUE OPPORTUNITY. WE ARE THANKFUL TO ALLAAH SWT FOR THE SPIRITUAL GUIDANCE OF THE HOLY MONTH AT HUSAINIYAH WITH THE PRESENCE OF AN EMINENT AALIM ALLAMA SAKHAWAT HUSSAIN SAHEB. SPECIAL PROGRAM FOR RELIGIOUS TAJWEED TRAINING, MAJALIS, SPEECHES, MASAIL, TAFSEER AND AAMAAL PROVIDED THE YOUTH AND ELDERS WITH KNOWLEDGE OF THE HOLY QURAN AND HOLY AHL AL-BAYTH A.S. AND ESPECIALLY THE Q/A SESSIONS IN URDU AND ENGLISH TO BE MADE AVAILABLE SOON IN DVD FORMAT. THERE WERE DAILY CONGREGATIONAL PRAYERS, A SPECIAL BLESSING FOR TORONTO AH. DAILY HOLY QURAN READING AND TAJWEED FROM 6:45 to 7:35 P.M. 8:00 TO 8:30 P.M. URDU MAJLIS/JASHAN THEN MAGRIBAIN NAMAAZ WITH IFTAR AND DINNER AND Q/A SESSION. AFTER THE SPIRITUAL NEEMA-A-SHABAN AAMAAL LET US PREPARE FOR THE HOLY MONTH OF RAMADZAAN WITH THE PRESENCE OF AN EMINENT AALIM ALLAMA SAKHAWAT HUSSAIN SAHEB. SPECIAL PROGRAM FOR RELIGIOUS TAJWEED TRAINING, MAJALIS, SPEECHES, MASAIL, TAFSEER AND AAMAAL HAS BEEN PREPARED TO PROVIDE THE YOUTH AND ELDERS WITH KNOWLEDGE OF THE HOLY QURAN AND HOLY AHL AL-BAYTH A.S. FOR PREPARATION AS HELPERS OF 12TH IMAM A.S. Q/A SESSIONS IN URDU, ENGLISH, ARABIC AND PERSIAN WILL FOLLOW THE LECTURES IA. DAILY PROGRAM WILL BEGIN AT 7 P.M. AND IFTAAR WILL BE SERVED. Next topic is about Paradise, Life of Imam Ali a.s. and Islamic Identity. Tafseer of Bismillaah and Soorahs recited during Prayers will be completed by August 12, 2012. Prayer Workshop was held with Correct manner of Kalima, Azaan, Iqamath and Tajweed of the Holy Quraan conducted by ALLAMA SAKHAWAT HUSSAIN SAHEB. MAJALIS OF SHAHADATH OF HAZRATH IMAM ALI A.S. FROM AUGUST 7TH TO 10TH RECITED BY ALLAMA SAKHAWAT HUSSAIN SAHasdfasEB AT 8:00 P.M.
DAILY HOLY QURAN READING AND TAJWEED FROM 6:45 to 8:00 P.M. ENGLISH LECTURE FROM 8:00 TO 8:20 P.M. BY ALLAMA ON SPECIAL TOPIC. 8:20 TO 8:50 P.M. URDU MAJLIS/JASHAN THEN MAGRIBAIN NAMAAZ WITH IFTAR AND DINNER AND Q/A SESSION. JASHAN OF WILADATH OF IMAM HASAN A.S. ON AUGUST 3RD AND 4TH RECITED BY ALLAMA SAKHAWAT HUSSAIN SAHEB AT 8:15 P.M. Prayer Workshop is being held with Correct manner of Kalima, Azaan, Iqamath and Tajweed of the Holy Quraan conducted by ALLAMA SAKHAWAT HUSSAIN SAHEB. Tafseer of Bismillaah and Soorahs recited during Prayers will be completed by July 25, 2012. Tabooth of Hazrath Bibi Khadija S.A. will be brought out in the Ladies Section on Saturday JULY 28th. JUMAYRATH AAMAAL ON THURSDAY JULY 19TH AT 7:30 P.M. WITH ZIARATH OF HAZRATH ZAINAB S.A. AND HAZRATH SAKINA S.A. FOR DAMSHIQ CRISIS. MAJLIS RECITED BY MOULANA MUSHTAQ HUSSAIN SHAHIDI SAHEB ABOUT HOLY RAMADZAAN AND DUTIES OF MOMINEEN/MOMINAATH. SALATHUL JUMA ON FRIDAY JULY 20TH AT 1:22 P.M.
JUMAYRATH AAMAAL ON THURSDAY JULY 12TH AT 7:30 P.M. WITH ZIARATH OF HAZRATH ZAINAB S.A. AND HAZRATH SAKINA S.A. FOR DAMSHIQ CRISIS. MAJLIS RECITED BY MOULANA MUSHTAQ HUSSAIN SHAHIDI SAHEB ABOUT RESPECT BETWEEN MOMINEEN AND CONTROL OF EMOTIONS. HURTING THE FEELING OF FELLOW HUMAN BEINGS IS A SIN. ALLAMA DR. SAKHAWAT HUSSAIN SANDRALWI SAHEB WILL BE AT THE HUSAINIYAH FOR THE HOLY MONTH OF RAMADZAAN. DAILY FUNCTIONS WILL INCLUDE SPECIAL HOLY QURAAN RECITATION WITH TAJWEED, MASAIL OF FIQH AND TAFSEER AND MAJALIS/JASHAN IA. THIS WILL BE A UNIQUE OPPORTUNITY FOR IBADATH AND MAARIFATH AT THE HUSAINIYAH. JASHAN OF WILADATH OF IMAM-A-ZAMANA A.S. IS ON SATURDAY JULY 7TH AT 6:30 P.M. RECITED BY ALLAMA DR. SAKHAWAT HUSSAIN SAHEB AND VISITING SHAIR SHAHAB KAZMI SAHEB. ALL MOMINEEN AND MOMINATH ARE INVITED TO ATTEND WITH FAMILIES. ANNUAL NEEMA-A-SHABAN JASHAN WILADATH OF IMAM-A-ZAMANA A.S. WILL BE ON SATURDAY JULY 7TH AT 6:00 P.M. RECITED BY ALLAMA SAKHAWAT HUSSAIN SAHEB AND QASEEDA/MANQABATH BY WELL-KNOWN SHOARA. SPECIAL NAZAR FOR SALAMATHY OF 12TH IMAM A.S. WILL BE SERVED. SPECIAL AAMAAL OF NEEMA-A-SHABAN (SHAB-A-BARATH) WILL BE ON THURSDAY JULY 5TH STARTING AT 7 P.M. AND MEHFIL OF QASEEDA/MANQABATH WITH GTA SHOARA AND VISITING SHAIR PROF. AINUL HASAN FAIZABADI SAHEB FROM INDIA. NAWCHANDI JUMAYRATH ON JUNE 28TH AT 7:00 P.M. AND JASHAN OF WILADATHS. HAZRI AND NIAZ WILL BE SERVED. NAWCHANDI JUMAYRATH I.A. ON JUNE 21ST AT 7:30 P.M. AND JASHAN WILADATH OF HAZRATH ZAINAB S.A. BY MOULANA AQEEL SHAH SAHEB. HAZRI AND NIAZ WILL BE SERVED. RAJAB FUNCTIONS - JUNE 16TH TO 19TH AT 7 P.M.
JUNE 16TH SATURDAY - MAJLIS SHAHADATH OF IMAM MOOSA AL-KAZIM A.S.
JUNE 17TH SUNDAY - MAJLIS WAFATH OF HAZRATH ABU TALIB A.S.
SALATHUL JUMA FRIDAY JUNE 8th AT 1:30 P.M. Prayer led by MOULANA MUSHTAQ HUSSAIN SHAHIDI SAHEB. JUMAYRATH AAMAAL ON THURSDAY JUNE 14TH START AT 7:30 P.M. WITH HOLY QURAAN AND DOAS. JASHAN FATH-A-KYAHBAR BY MOULANA MUSHTAQ HUSSAIN SHAHIDI SAHEB. NIAZ WILL BE SERVED. KOONDAY - NAZR OF IMAM JAFAR AS-SADIQ A.S. WILL BE ON WEDNESDAY JUNE 13TH FROM 6:00 P.M. TILL MAGHRABAIN PRAYERS IA. JUMAYRATH AAMAAL ON THURSDAY JUNE 7 START AT 7:30 P.M. WITH HOLY QURAAN AND DOAS. NIAZ WILL BE SERVED. MAJLIS BY MOULANA MUSHTAQ HUSSAIN SHAHIDI SAHEB. This is an important day for fasting and prayers and comes once a year. These aamaal have been gifted to us by 6th Imam a.s. and have been introduced at the Husainiyah for many years and now performed all over North America and elsewhere AH. May Allaah Taala Give us the strength to complete them with sincerity and detail as prescribed. AMAL A UMM-A-DAWOOD WILL BE HELD ON WEDNESDAY JUNE 6TH AFTER ZOHRAIN PRAYERS AT 1:20 P.M. TILL COMPLETION AT MAGHRABAIN PRAYERS IA. JASHAN MAULOOD-A-KAABA WILL BE ON JUNE 1st, 2012 AT 6 P.M. THIS YEARLY SPECIAL PROGRAM WILL HAVE WELL-KNOWN SHOARA FROM OVERSEAS AND NORTH AMERICA RECITING THEIR QASEEDAS IN PRAISE OF HAZRATH MOULA ALI A.S. IA. NIAZ WILL BE SERVED BEFORE MAGHRIB. JASHAN FOR WILADATH OF IMAM MOHAMMED AT-TAQI A.S. WILL BE HELD ON THURSDAY MAY 31ST AT 7:00 P.M. RECITED BY MOULANA MUSHTAQ HUSSAIN SHAHIDI SAHEB WITH JUMAYRATH AAMAL. SALATHUL JUMA FRIDAY JUNE 1st AT 1:30 P.M. Prayer led by MOULANA MUSHTAQ HUSSAIN SHAHIDI SAHEB. GREEN (HARA) DASTARKHAWN OF IMAM HASAN A.S. WILL BE ON SUNDAY MAY 27TH , 2012 AT 4 P.M. Momineen and Mominaath with family are invited for this Special Niyaz. JASHAN FOR WILADATH OF IMAM ALI AL-NAQI A.S. WILL ALSO BE HELD ON SUNDAY MAY 27TH AT 7:00 P.M. AFTER THE DASTARKHAWN. JUMAYRATH AAMAAL ON THURSDAY MAY 31 START AT 7:00 P.M. WITH DOAS AND ZIARATH OF ALAM-A-MUBARAK OF HAZRATH ABBAS A.S.
HAZARI AND NIAZ WILL BE SERVED. MAJLIS BY MOULANA MUSHTAQ HUSSAIN SHAHIDI SAHEB. NAUCAHNDI JUMAYRATH AAMAAL ON THURSDAY MAY 24 START AT 7:00 P.M. WITH DOAS AND ZIARATH OF ALAM-A-MUBARAK OF HAZRATH ABBAS A.S.
MAJLIS-A-SHAHADATH OF IMAM ALI UN-NAQI A.S. BY MOULANA MUSHTAQ HUSSAIN SHAHIDI SAHEB ON THURSDAY MAY 24 AFTER DOAS. AAMAL OF LAIL-ATUL RAGHAIB AFTER MAGHRIBAIN IA. SALATHUL JUMA FRIDAY MAY 25 AT 1:30 P.M. Prayer led by MOULANA MUSHTAQ HUSSAIN SHAHIDI SAHEB. JASHAN FOR WILADATH OF IMAM MOHAMMED AL-BAQIR A.S. ON TUESDAY MAY 22ND, 2012 AT 7:00 P.M.
JASHAN-A-WILADATH SATURDAY MAY 12 AT 7 P.M. ON THE GREATNESS OF THE LADY OF LIGHT S.A., THE LEADER OF THE WOMEN OF THE WORLD RECITED BY ALLAMA SAKHAWAT HUSSAIN SAHAB. SPECIAL NAMES AND MERITS OF HAZRATH BIBI SAYEDDAH S.A. WILL BE PRESENTED AND EMPHASIS ON CELEBRATING THESE HOLY DAYS WITH PROPER ENVIRONMENT AND SPIRITUAL JOY AT THE HUSAINIYAH BY THE GRACE OF ALLAAH SWT AND CONGRATULATIONS TO HOLY PROPHET SAWAS AND HOLY AHL AL-BAYTH A.S.
MOULANA MUSHTAQ HUSSAIN SHAHIDI SAHEB WILL RECITE THE MAJALIS AT THE HUSAINIYAH FROM TUESDAY APR 24, 2012 TO THURSDAY APR 26, 2012 AT 7:30 P.M.
TABOOTH OF HAZRATH BIBI FATIMA ZEHRA S.A. WILL BE BROUGHT OUT ON WEDNESDAY APR 25, 2012 IN THE LADIES SIDE. SPECIAL TOPIC WILL BE 'EXCELLENCE AND MERIT OF HAZARATH FATIMA ZEHRA S.A. OVER ALL THE WOMEN OF THE WORLD AND PARADISE'. MASAIB WILL DESCRIBE THE CRUELTY AND HATRED OF THE MUSLIMS OF H. MADINAH AND THE REACTION OF THE COMPANIONS TOWARDS THE NOBLE AHL AL-BAYTH A.S. OF THE HOLY PROPHET S.A.W.A.S. MOULANA SYED AHMED RAZA HUSAINI SAHEB WILL RECITE THE MAJALIS AT THE HUSAINIYAH FROM WEDNESDAY APR 4, 2012 TO FRIDAY APR 6, 2012 AT 7:30 P.M.
TABOOTH OF HAZRATH BIBI FATIMA ZEHRA S.A. WILL BE BROUGHT OUT ON WEDNESDAY APR 4, 2012 SHAB-A-SHAHADATH IN THE LADIES SIDE. JASHAN-A-WILADATH OF IMAM HASAN AL-ASKARI A.S. WILL BE ON SATURDAY MARCH 3, 2012 AT 7 PM RECITED BY MOULANA MUSHTAQ HUSSAIN SHAHIDI SAHEB. PARTICIPATION BY TORONTO GTA WELL-KNOWN SHOARA AND QASEEDA KHAWNS. All the Momineen and Mominaath are requested to attend to offer Mubarakbad to Imam-a-Zamana a.s. on the birthday of his holy father a.s. and request acceptance of our duas on this happy occasion. NAUCHANDI JUMAYRATH program - Thursday February 23rd AT 7:30 P.M. DOAS FOLLOWED BY MAJLIS RECITED BY MUFASSIR-A-QURAN MOULANA MUSHTAQ HUSSAIN SHAHIDI SAHEB Ziarat of Alam-e-Mubarak of Hazrath Abbas a.s. Niaz & Hazri will be served after the Majlis. MEELAAD-UN-NABI (JASHAN-A-SADIQAIN A.S.) WILL BE ON SATURDAY FEB 11, 2012 AT 7 PM RECITED BY ALLAMA DR. SAKHAWAT HUSSAIN SAHEB. ENGLISH SPEECH BY BR. ALI AL-NAJJAR FROM U.S. PARTICIPATION BY AHL AL-SUNNAH SPEAKERS AND NAAT KHAWNS. EID-A-NAHUM (EID-A-ZAHRA S.A.) WILL BE ON THURSDAY FEB 2, 2012 7:30 PM SHARP RECITED BY MOULANA IMAM HAIDER SAHEB. SACRIFICE OF IMAM HUSAIN A.S. WITH FAMILY AND COMPANIONS FOR REFORMING THE UMMAH, AMR BIL MAROOF, NAHIY ANIL MUNKAR , SUNNAH OF HOLY PROPHET SAWAS AND THE PATH OF IMAM ALI A.S. WILL BE ELABORATED AND DISCUSSED AT THE HUSAINIYAH FOR THE BENEFIT OF AUDIENCE WORLDWIDE. FINAL ASHRA - JAN 19, 2012 TO FEB 1, 2012 AT 7:30 P.M.
TABOOTH OF HAZRATH MASOOMA QUM S.A. WILL BE BROUGHT OUT ON SATURDAY JAN 28, 2012 IN THE LADIES SIDE. TABOOTH OF IMAM HASAN AL-ASKARI A.S. WILL BE BROUGHT OUT ON MONDAY JAN 30, 2012. TABOOTH OF IMAM HASAN A.S. WILL BE BROUGHT OUT ON SATURDAY JAN 21, 2012. DASTARKHAN OF IMAM HASAN A.S. WILL BE SERVED. TABOOTH OF HOLY PROPHET SAWAS WILL BE BROUGHT OUT ON SUNDAY JAN 22, 2012. FIFTH ASHRA-A-ZAINABIA - JAN 5, 2012 TO JAN 18, 2012 AT 7:30 P.M.
ALLAMA DR. SAKHAWAT HUSSAIN SANDRALWI SAHEB WILL RECITE THE MAJALIS AT THE HUSAINIYAH FROM JAN 5, 2012 TO JAN 14, 2012 ON THE TOPIC OF "SHAAN-A-RISALATH"
TABOOTH OF BIBI ZAINAB S.A. WILL BE BROUGHT OUT ON WEDNESDAY JAN 18, 2012 IN THE LADIES SIDE. TABOOTH OF IMAM AL-RAZA A.S. WILL BE BROUGHT OUT ON JAN 11, 2012. NIAZ WILL BE SERVED. FOURTH ASHRA - DEC 26, 2011 TO JAN 4, 2012 AT 8:30 P.M.
MOULANA SYED RIAZ AKBAR SAHEB WILL RECITE THE MAJLIS AT THE HUSAINIYAH FROM DEC 26, 2011 TO JAN 4, 2012 ON THE TOPIC OF "HAZRATH ALI A.S. AUR TARIKH-A-ISLAM"
SHAB-BAYDARI FOR YOUTH ON SATURDAY DEC. 25 AT 10 P.M. � FOR BOYS AND GIRLS. NIYAZ WILL BE SERVED. THIRD ASHRA - DEC 17 TO DEC 25, 2011 AT 7:30 P.M.
ALLAMA SYED JAVED JAFFRI SAHEB WILL RECITE THE MAJLIS AT THE HUSAINIYAH FROM DEC 17 TO DEC 25, 2011 ON THE TOPIC OF "QURAAN AUR TARIKH-A-ISLAM"
This topic is being presented in an intellectual and knowledgeable manner within the concept of wisdom of the Holy Quraan and is important for youth and elders. The masiab are also detailed as written in the authentic sources of Maqatil and describe the pain and suffering of the family of the Holy Prophet sawas as inflicted by 'Muslims' (hypocrites). The majalis start at 7:30 p.m. and the Allama is on the Mimbar around 8 p.m. This is an unique opportunity to increase knowledge and lament on the Holy martyrs of Karbala and gain sawab by attending and utilizing the evenings in these days of sorrow for Holy Ahl al-Bayth a.s.
Tabooth of Imam Zainul Abideen a.s. will be brought out on Tuesday Dec. 20, 2011. Niyaz will be served after the Majlis. SECOND ASHRA - DEC 9 TO DEC 16, 2011 AT 7:30 P.M.
MANQABATH , SHAIRI WILL BE FOLLOWED BY JASHAN BY ALLAMA SAHEB TO FINISH THE MAHFIL BY 8 P.M. IA. Please attend the Prayers at Fazeelath time with family and friends for the CELEBRATION of the Eid al-Mubahela where the Noor of Panjetan was shining brightly and some Ahl al-Kitaab accepted Islam and some showed respect to the 5 Infallibles a.s. and were saved from punishment in this world. MAJLIS FOR SHAHADATH OF FARZANDAN-A-MUSLIM A.S. ON THURSDAY NOV 17 2011 AT 7:00 P.M.
JASHAN FOR WILADATH OF IMAM ALI AL-NAQI A.S. ON THURSDAY NOV 10 2011 AT 7:30 P.M.
Special Islamic Calendar with Hijri and AD dates with Business Directory is available for Hadiya of $5 at Eid. It can be mailed in North America and elsewhere by request to IHA. MAJLIS FOR SHAHADATH OF IMAM MOHAMMAD AL-BAQIR A.S. & NAUCHANDI JUMAYRATH ON NOV 3 2011 AT 7:30 P.M. Please attend with family and friends for the Aza of our 5th Imam a.s. from the Noble Ahl al-Bayth a.s. May Allaah Taala Grant us knowledge and wisdom to love and follow the Holy Prophet sawas and Holy Ahl al-Bayth a.s. Please be on time for Doas and Prayers IA. MAJLIS FOR SHAHADATH OF IMAM MOHAMMAD AT-TAQI A.S. ON OCT 27 2011 AT 7:30 P.M.
MOULANA SYED FARHATH HUSSAIN MOOSAVI SAHEB WILL REFLECT ON THE CURRENT TURMOIL AND THE ADVENT OF LIVING IMAM A.S. AND ADDRESS OUR RESPONSIBILTY FOR THE BENEFIT OF THE YOUTH AND REVERTS TO ISLAM IN ENGLISH. CONFERENCE AT ISLAMIC MUSEUM FROM 1 TO 7 P.M. WITH WORLD RENOWNED SCHOLARS ADDRESSING ON IMPORTANT TOPICS. Ayatullah-ul-Uzma Hafiz Bashir Najafi will address by telephone from Najaf al-Ashraf IA. Media has reported about this Conference throughout the world AH. Speeches on important subjects and Exhibitions will be held. JASHAN on Sunday October 9th at 7:30 p.m. about the Knowledge, Teachings and Miracles of Imam Ali ibn-Moosa Raza a.s. Please attend this important functions for Shafa-a-Rowz-a-Jaza for us and our parents. DR. SALMAN TURABI SAHEB WILL RECITE DURING THE 5 MAJALIS AT HUSAINIYAH FROM TUESDAY SEP 20, 2011 TILL SATURDAY SEP 24, 2011, MAJALIS WILL BEGIN AFTER MAGHRIBAIN PRAYERS AND MOULANA WILL ADDRESS AT 8:30 P.M. Please attend with family and friends for the Aza of our 6TH Imam a.s. from the Noble Ahl al-Bayth a.s. May Allaah Taala Grant us knowledge and wisdom to love and follow the Holy Prophet sawas and Holy Ahl al-Bayth a.s. Please be on time for Doas and Prayers IA. MAJLIS FOR MOURNING OF THE DESTRUCTION OF JANNATH AL-BAQEEH AND JANNATH AL-MOALLA IN HIJAZ. MOULANA IMAM HAIDER ZAIDI SAHEB WILL RECITE THE MAJLIS AT HUSAINIYAH SEP 8, 2011 THURSDAY AT MAGHRIBAIN PRAYERS. Please attend with family and friends to protest the Destruction (Inhidam) of the Holy premises of the Noble Ahl al-Bayth a.s. by the followers of Bidath in Hijaz. The Holy Prophet sawas sent Salams on the dwellers of the Cemetry of Baqeeh and recited Fateha on the martyrs and the deceased family members and Sahaba. The people on the Day of Judgement will be raised from the graves and the doors of heaven are opened in the grave for the sincere Momineen and Mominaath. May Allaah Taala Elevate the position of marhoomeen and Grant closeness to the Holy Prophet sawas and Holy Ahl al-Bayth a.s. Please recite Soorah al-Fateha and 3 times Soorah al-Ikhlaas for the followers of Holy Masoomeen a.s.
EID PRAYERS AT THE HUSAINIYAH AUG 31, 2011 WEDNESDAY. Moon was seen by the naked eye in Memphis, Tennessee by Allama Masoom Abidi and family and by Momineen in Florida, New Jersey, etc. Information was received through Allama Sakhawat Hussain and after consultation with Moulana Mehboob Mehdi and Moulana Aqeel Shah's contact with Moulana Mohammad Rizvi Eid was announced by the Husainiyah on August 31. 2011 Wednesday. The first prayer will start at 8:30 a.m. and the second prayer at 10:00 a.m.
Moulana Syed Aqeel Shah Saheb will lead the prayer. Husainiyah administration thanks all the Momineen for attending the daily programs of Holy Quraan, Masail and Tafseer and benefitting from this unique program in this Holy Ramadzan. The full night session with youth clarified some important topics and discussion on current issues was beneficial. Please recite Fateha for the innocent martyrs in Pakistan, Bahrain, Iraq and other parts of the world. May Allaah Taala Hasten the establishment of Justice and Peace by Imam Mahdi a.s. in the world. SPECIAL JASHAN OF HAZRATH ABU TALIB A.S. WILL BE HELD ON MONDAY AUGUST 29 AT 9:30 P.M.
JASHAN WILL START AFTER IFTAR WITH QASEEDA AND MANQABATH BY SHOARA AND SPEECH BY Dr. SALMAN TURABI SAHEB TO FINISH AROUND 11:30 P.M. IA. Dr. Salman Turabi is presenting the Conditions of tanzeel of Surah al-Alaq and the historical background and an anlysis of various Tafaseer throughout the Muslim history. The programs are available on this website and Youtube for viewing and research discussion. Please attend on time with family and friends to benefit from this Special program at the Husainiyah held annually to ask the Blessings of Allaah SWT. Majlis of Shab-a-Zarbath will be on Friday August 19th recited by Dr. SALMAN TURABI SAHEB after Iftaar. Majlis of Yaum-a-Zarbath will be on Saturday August 20th recited by Dr. SALMAN TURABI SAHEB after Iftaar. Majlis of Shab-a-Shahadath will be on Sunday August 21st recited by Dr. SALMAN TURABI SAHEB after Iftaar. Tabooth will be taken out during the Majlis. Majlis of Yaum-a-Shahadath will be on Monday August 22nd recited by MOULANA SYED MD. AQEEL SHAH SAHEB before Iftaar. Tafseer Program will continue after Iftaar. AAMAAL OF SHAB-A-QADR WILL BE ON Tuesday AUG 23rd AT 11 P.M. AFTER MAJLIS/TAFSEER performed by MOULANA SYED MD. AQEEL SHAH SAHEB. Jashan Wiladath Imam Hasan a.s. will be on August 15th recited by Dr. SALMAN TURABI SAHEB after Iftaar. Majlis of Wafath of Hazrath BIBI Khadija s.a. will be on August 10th before Maghrib recited by MOULANA SYED MD. AQEEL SHAH SAHEB. Tabooth will be taken out in the Ladies section. ALLAMA DR. SAKHAWAT HUSSAIN SAHEB WILL RECITE THE ANNUAL BIRTHDAY JASHN OF IMAM-A-ZAMANA A.S. ON SATURDAY JULY 16TH 7 P.M. FOLLOWED BY NAMAAZ, NIAZ AND SPECIAL AAMAAL OF SHAB-A-BARATH AND TAWASSUL WITH IMAM-A-ZAMANA A.S.
JASHN WILL START AT 7 P.M. SHARP AND ALLAMA SAHEB WILL RECITE TILL MAGHRABAIN PRAYERS. NIAZ (IFTAR) AND THEN AAMAAL OF NEEMA-A-SHABAAN AND SPECIAL DUA TO SEEK HELP OF THE LIVING IMAM A.S. Please attend on time with family and friends to benefit from this oldest Jashan at Husainiyah held annually to ask the Blessings of Allaah SWT with the Intercession of the Living Imam a.s.
ALLAMA JAVED JAFFRI SAHEB WILL ADDRESS A JASHAN OF WILADATH OF IMAM HUSAIN a.s., HAZRATH ABBAS a.s. AND IMAM ZAINUL-ABIDEEN a.s. ON JULY 9 Saturday at 7:30 P.M.
Special Program of Jashan of 3rd Shabaan on July 9, 2011 at 7:30 P.M. with Qaseedas and Allama Syed Javed Jaffri Saheb I.A. will address after the Maghrabain prayers. Allama Saheb will address on the importance of the Lives of those present in Kerbala and being born in Shabaan including Hazrath Ali Akber a.s., Hazrath Ali Asghar a.s. and Hazrath Qasim a.s.
JASHAN WILADATH IMAM HUSAIN a.s., HAZRATH ABBAS a.s. AND IMAM ZAINUL-ABIDEEN a.s. ON JULY 6 Wednesday at 7 P.M.
Special Program of Majalis and Jashn from June 23 to June 30, 2011 at 7:30 P.M. with Moulana Hafiz Tassaduq Hussain Saheb I.A. Agha Sarosh will present his Qaseedas and Salams on some dates at the Husainiyyah. All functions will finish before Maghrib. June 23 Thursday - Jashn Hazrath Sakina s.a.
June 24 Friday - KOONDAY Jashn Imam Jafar as-Sadiq a.s.
June 26 Sunday - Jashn Fath-a-Khyber - Imam Ali a.s.
June 27 Monday - Majlis TABOOTH Shahadath Imam Moosa al-Kazim a.s.
June 28 Tuesday - Majlis Wafath Hazrath Abu Talib a.s.
June 30 Thursday - Majlis Safar-a-Imam Husain a.s.
KOONDAY Imam Jafar as-Sadiq a.s. Friday JUNE 24, 2011 from 6 P.M. to 10 P.M.
JASHN-A-MOULOOD-E-KABA A.S. SATURDAY JUNE 18, 2011 AT 7 P.M. Allama Syed Jawed Jaffri Sahab Qibla will address the Jeshan. Agha Saroosh is visiting Husainiyah for this memorable function and will present his unique Qaseedas about Moula Ali A.S. in the specially decorated environment of the husainiyyah. JASHAN-A-WILADATH SUNDAY JUNE 12TH OF IMAM MOHAMMED AT-TAQI A.S. AT 6 P.M. SPECIAL EMPHASIS ON CELEBRATING THESE HOLY DAYS WITH PROPER ENVIRONMENT AND SPIRITUAL JOY AT THE HUSAINIYAH BY THE GRACE OF ALLAAH SWT AND CONGRATULATIONS TO HOLY PROPHET SAWAS AND HOLY AHL AL-BAYTH A.S.
MAJLIS OF SHAHADATH OF IMAM ALI UN-NAQI A.S. BY MOULANA MUSHTAQ HUSSAIN SHAHIDI SAHAB ON JUNE 5, 2011 AT 6 P.M.
JASHAN-A-WILADATH MONDAY MAY 23RD AT 7 P.M. AND TUESDAY MAY 24TH AT 7 P.M.ON THE GREATNESS OF THE LADY OF LIGHT S.A., THE LEADER OF THE WOMEN OF THE WORLD RECITED BY ALLAMA SAKHAWAT HUSSAIN SAHAB. SPECIAL EMPHASIS ON CELEBRATING THESE HOLY DAYS WITH PROPER ENVIRONMENT AND SPIRITUAL JOY AT THE HUSAINIYAH BY THE GRACE OF ALLAAH SWT AND CONGRATULATIONS TO HOLY PROPHET SAWAS AND HOLY AHL AL-BAYTH A.S.
MAJLIS ON SATURDAY MAY 14TH AT 6:00 p.m. FOR LATE SYED MAJID ALI RIZVI S/O SYED ABID ALI RIZVI. PROGRAM FINISHES BEFORE MAGHRIB AND NIAZ WILL BE SERVED AFTER THE PRAYERS IA. BR. SYED NOORUL SHAMS ZAIDI HAS INVITED YOU FOR THE MAJLIS FOR HIS FATHER-IN-LAW'S ESAAL-A-SAWAB. SUNDAY MAY 8TH AT 6:00 p.m. SHARP WITH DOAS, SALAM AND MARSIA. MAJLIS BY ALLAMA AT 6:45 p.m. IA FOLLOWED BY MATAM. TABOOTH WILL BE BROUGHT OUT ON THE LADIES SIDE. NIAZ WILL BE SERVED AFTER THE MAJLIS. MAJALIS FOR THE SHAHADAT OF JANABE SAYEDA S.A. WILL BE ON MAY 7TH AND 8TH RECITED BY ALLAMA SYED JAVED JAFFRI SAHEB. HOLY MOHARRAM MAJALIS 1432 HIJRI FUND NEEDS $20,000 TO REACH THE TARGET. PLEASE CONTRIBUTE GENEROUSLY FOR SAWAAB AND PROSPERITY. MAJALIS-E-KHAMSA FOR THE SHAHADAT OF JANABE SAYEDA S.A. WILL BE FROM THURSDAY, APRIL 14, 2011 TO MONDAY, APRIL 18, 2011 AT 7:30 PM SHARP INSHA'ALLAH RECITED BY DR. SALMAN TURABI SAHEB. Please attend with family and friends on time. PLEASE CONTRIBUTE AS MUCH AS POSSIBLE TO THE MUHARRAM FUND TO REACH THE TARGET. THE EXCELLENT SCHOLARS PRESENTED THE ULOOM OF HOLY QURAAN AND HOLY AHL AL-BAYTH A.S. AND THE ASSOCIATION STILL NEEDS $20,000 FOR THE EXPENSES OF NIYAZ, TABARRUK, UTILITIES AND OTHER ARRANGEMENTS. MAJALIS HAVE BEEN HELD TILL 8TH RABI-UL-AWWAL WITH WELL-KNOWN ULEMA AND ZAKIREEN TO OFFER CONDOLENCES TO HAZRATH FATIMA S.A. AND HOLY AHL AL-BAYTH A.S. PRESENTATION OF IMPORTANT TOPICS FROM THE HOLY QURAAN WITH IMPORTANT AAYAAT ON EACH SUBJECT STARTING THIS SUNDAY FEB 27, 2011 AT 3 PM. WE WILL RECITE RELATED AAYAAT AND DISCUSS TAFSEER FROM HOLY MASOOMEEN A.S. I.A. ABOUT THE DEEN OF ISLAM, OBEYING ALLAAH TAALA, HELP FROM ALMIGHTY SWT IN THIS SESSION OF 3 TO 4 HOURS AND THEN ZIKR, SALAATH, EEMAAN, MOMIN, FASAAD, MUFSID, ETC. IN COMING WEEKS. Please attend with family and friends on time and bring your personal copy of Holy Quraan for notes. MEELAAD-UN-NABI AND JASHAN BY MOULANA SYED ZAHID AHMED RIZVI SAHEB OF INDIA WILL BE CELEBRATED ON SUNDAY FEB 20, 2011 AT 7 PM. WE WILL GATHER TO CELEBRATE THE WILADATH OF THE HOLY PROPHET SAWAS AND IMAM JAFAR AS-SADIQ A.S. WITH THE WELL-KNOWN ALIM AND PROMINENT SHORA OF TORONTO. Please attend this Eid with family and friends on time. EID-A-NAHUM PROGRAM BY MOULANA SYED IMAM HAIDER ZAIDI SAHEB WILL BE ON SATURDAY FEB 12, 2011 starting with Magribain prayers , 6 PM. We had Majalis for 2 months and 8 days and today is the Special Eid for the Momineen and Mominath. Please attend with family and friends. Majalis of MOULANA SYED MEHBOOB MEHDI SAHEB WILL BE from FRIDAY FEB 4, 2011 TO FEB 10, 2011 AT 7:30 P.M. AND THE ZAKIRY begins at 8:00 P.M. IA. JASHAN SPEECH WILL BE ON FEB. 11, 2011. Shabeeh-a-Tabooth of HAZRAT MASOOMA-A-QUM s.a. will be brought out on Monday February 7 ON THE LADIES SIDE. Shabeeh-a-Tabooth of IMAM HASAN AL-ASKARI A.S. will be brought out on Wednesday February 9. Ya Aba Abdillah al-Husain a.s. - The Momineen are Waiting for You, Your family and the Shuhahada-a-Karbala a.s.
We will InshaAllaah have the Majlis, Tabooth and Hara-Dastarkhan on Wednesday February 2nd. as per the schedule on this Important Day of the year. Shabeeh-a-Tabooth of Hazrat Imam Hasan a.s. will be brought out on Wednesday February 2. Niaz of Hara-Dastarkhan will be served after the Majlis. Majalis of MOULANA IMAM HAIDER ZAIDI SAHEB WILL BE from TUESDAY FEB 1, 2011 TO FEB 3, 2011 AT 7:30 P.M. AND THE ZAKIRY begins at 8:00 P.M. IA. Shabeeh-a-Tabooth of Hazrat ZAINAB s.a. will be brought out on Saturday Jan. 29 on the ladies side. 5 Majalis of MOULANA RIAZ AKBAR ABEDI SAHEB WILL START from THURSDAY JAN 27, 2011 AT 7:30 P.M. AND THE ZAKIRY begins at 8:00 P.M. IA. These MAJALIS will continue till JAN 31, 2011. MAJALIS WILL CONTINUE TILL 8TH RABI-UL-AWWAL WITH WELL-KNOWN ULEMA AND ZAKIREEN INCLUDING MOULANA MUSHTAQ HUSSAIN SHAHIDI, ALLAMA DR. SAKHAWAT HUSSAIN SANDRALWI, MOULANA IMAM HAIDER ZAIDI, MOULANA RAIS AHMAD JAARCHAWI, MOULANA TASADDUQ HUSSAIN, MOULANA SYED MEHBOOB MEHDI, ALLAMA SYED MASOOM ABIDI SAHEB, ETC. TO OFFER CONDOLENCES TO HAZRATH FATIMA S.A. AND HOLY AHL AL-BAYTH A.S.
ARBAEEN PROGRAM - AAMAAL AT 11:30 a.m. ZOHRAIN PRAYERS 12:30 P.M. AND MAJLIS 1:00 P.M.
Majalis of ALLAMA DR. SAKHAWAT HUSSAIN SANDRALWI SAHEB for ASHRAA-A-ZAINABIA begin from MONDAY JAN 17, 2011 AT 7:30 P.M. AND THE ZAKIRY begins at 8:00 P.M. IA. These MAJALIS will continue till JAN 26, 2011. Arbaeen Aamaal will begin on Jan. 25 followed by Zohrain prayers and Majlis IA. Shabeeh-a-Tabooth of Hazrat IMAM RAZA A.S. will be brought out on Saturday Jan. 22. Niyaz of Imam-a-Zamin a.s. will be served after the Majalis. Tabooth of Hazrat Bibi Sakina s.a. will be taken out on Friday Jan. 7 on the ladies side. ALLAMA SYED FAZIL MOOSAVI SAHEB IS RECITING MAJALIS OF THIRD ASHRA TILL JAN 5 AT 7:00 P.M. ON WILAYATH-A-TAKWINI. THE MAJALIS WILL BEGIN AT 6:45 P.M. FOLLOWED BY THE ZAKIRY OF ALLAMA SAHEB AT 7 P.M.
MUFASSIR-A-QURAN MOULANA MUSHTAQ HUSSAIN SHAHIDI SAHEB WILL RECITE MAJALIS TILL JAN 5, 2011 ON RIASALTH AL-ILAHIA, RIGHT AFTER ALLAMA FAZIL MOSAVI SAHEB. Majlis of Beeswaan of Shuhada-a-Karbala is on Jan 5.